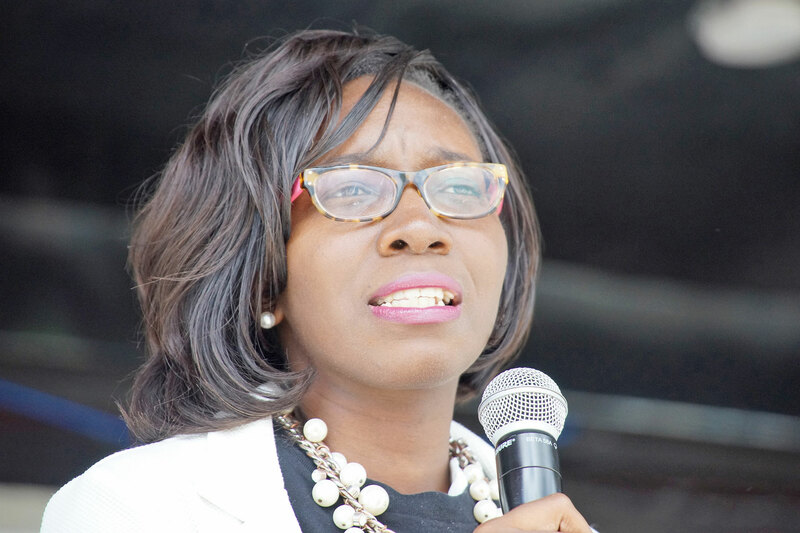 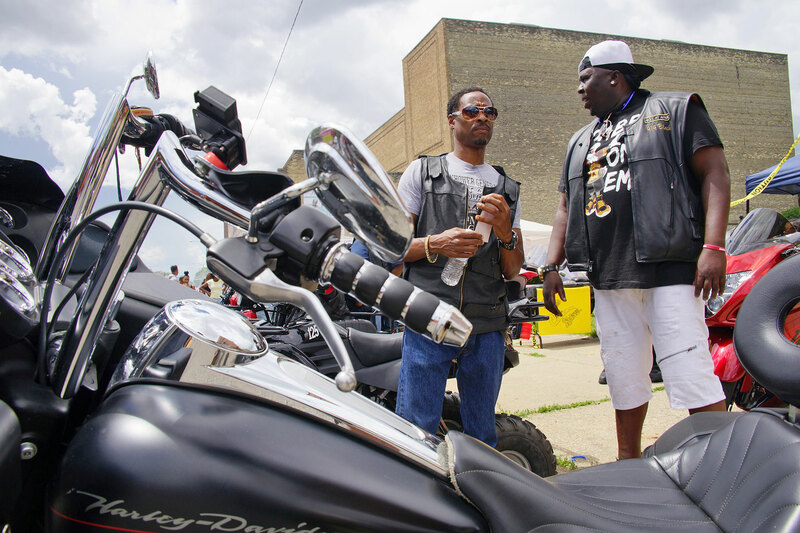 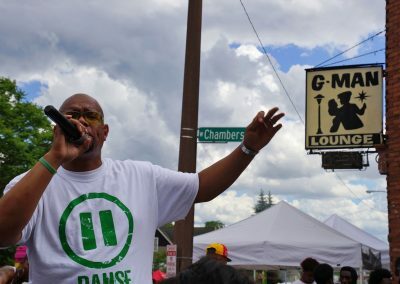 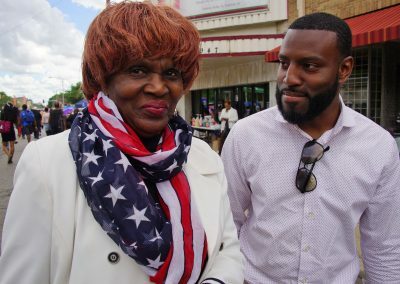 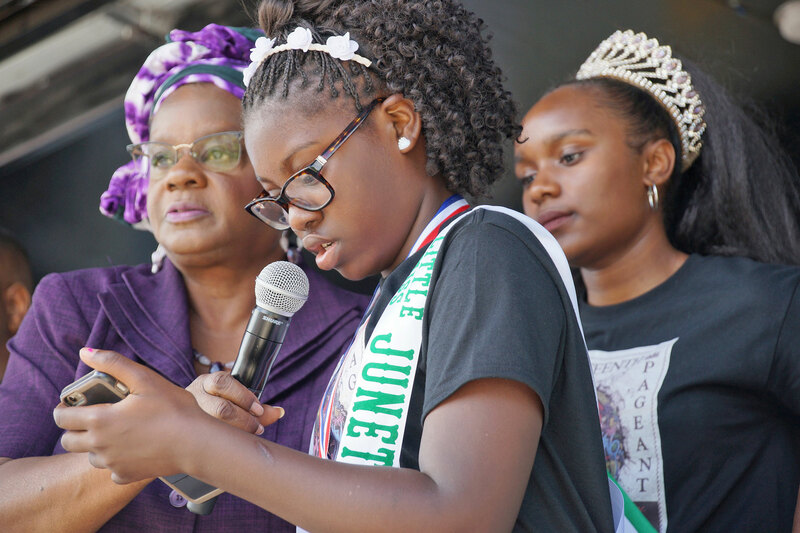 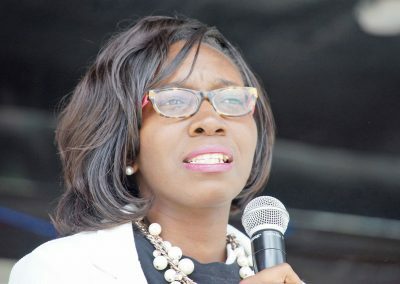 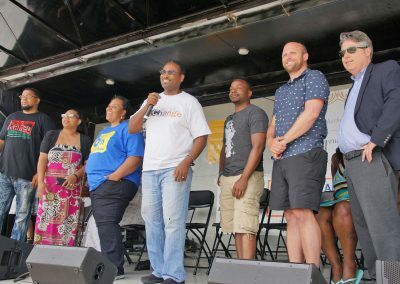 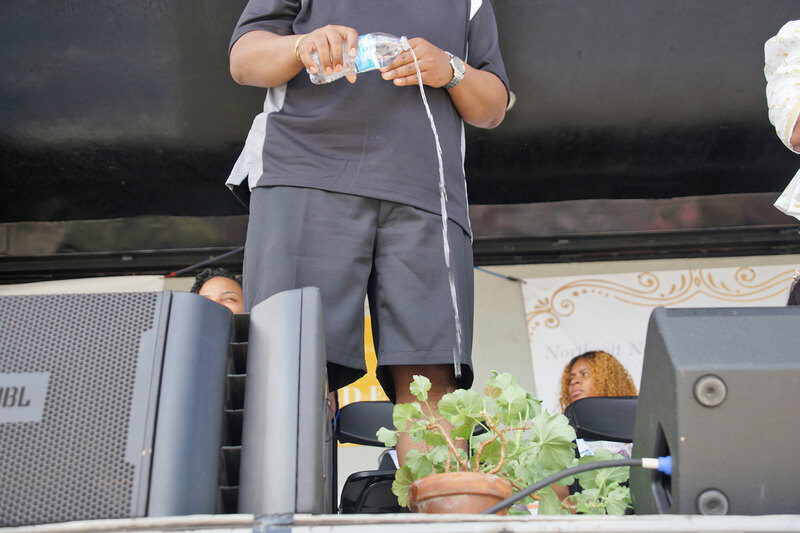 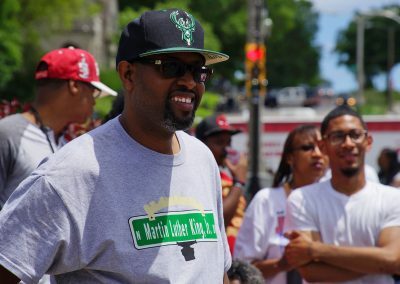 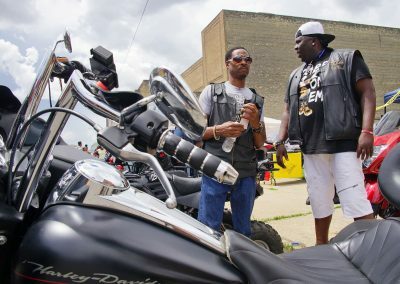 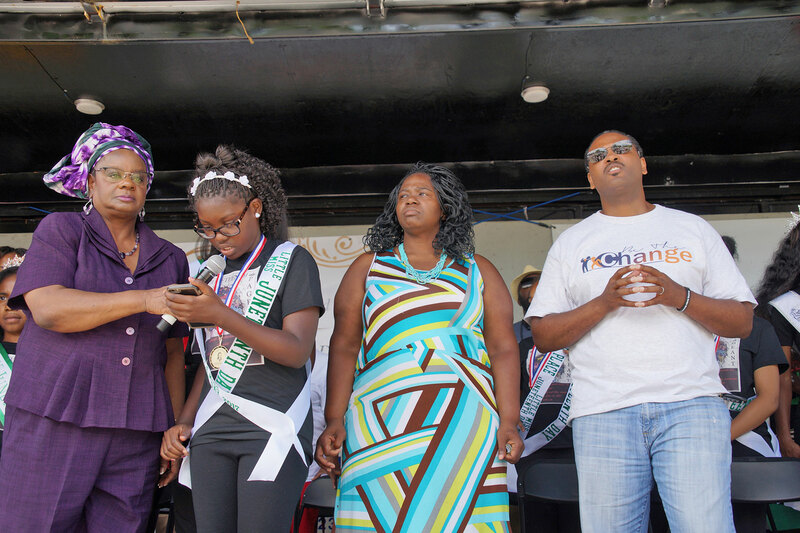 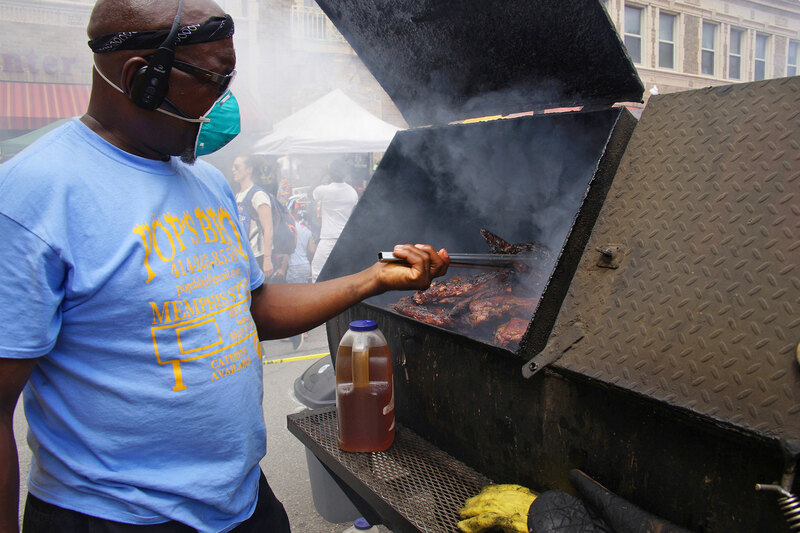 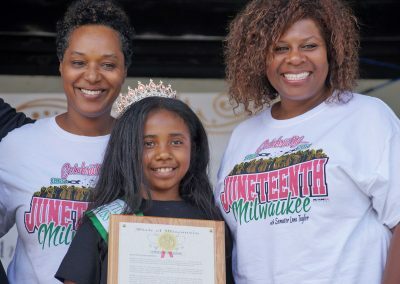 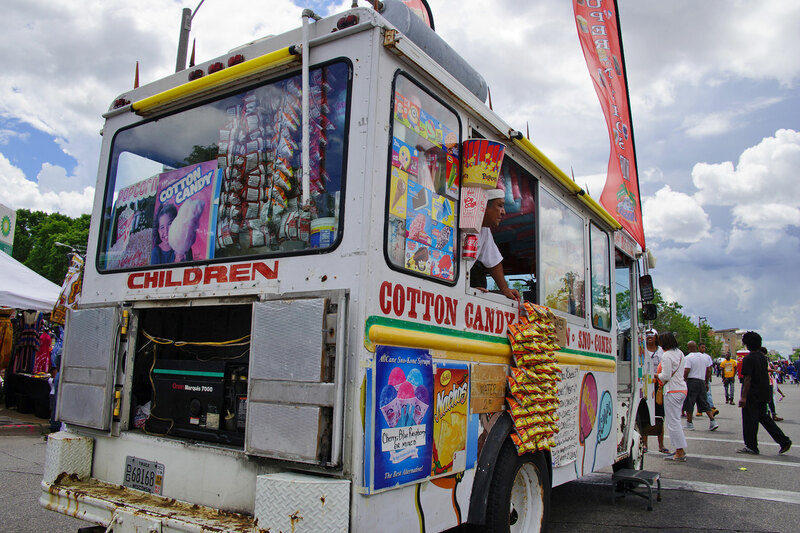 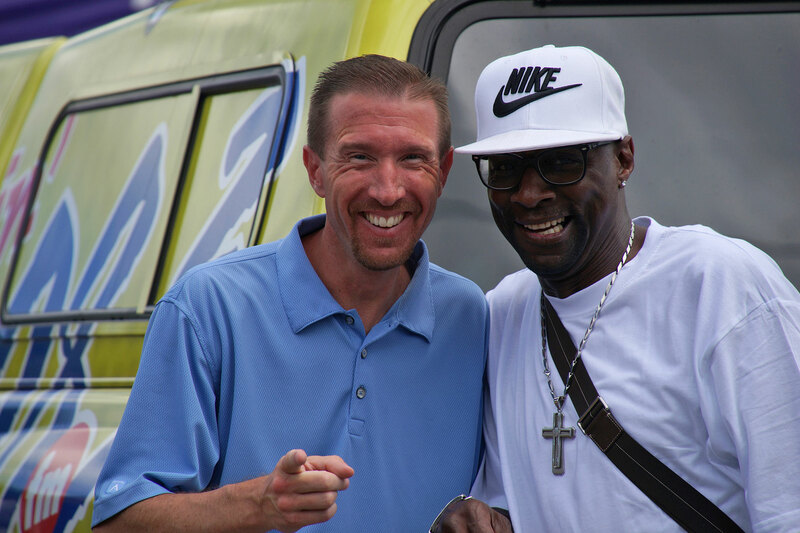 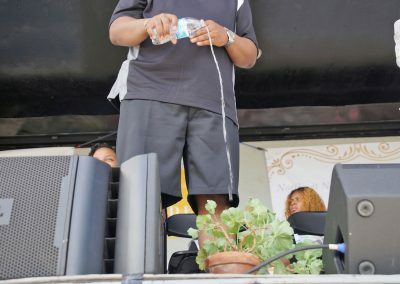 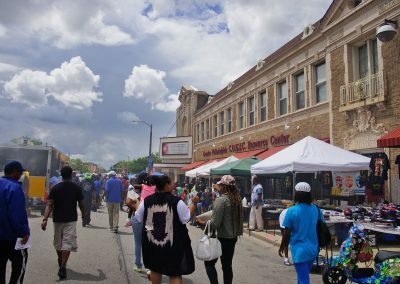 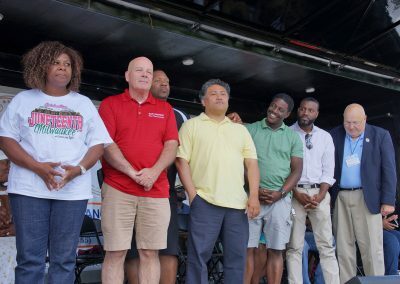 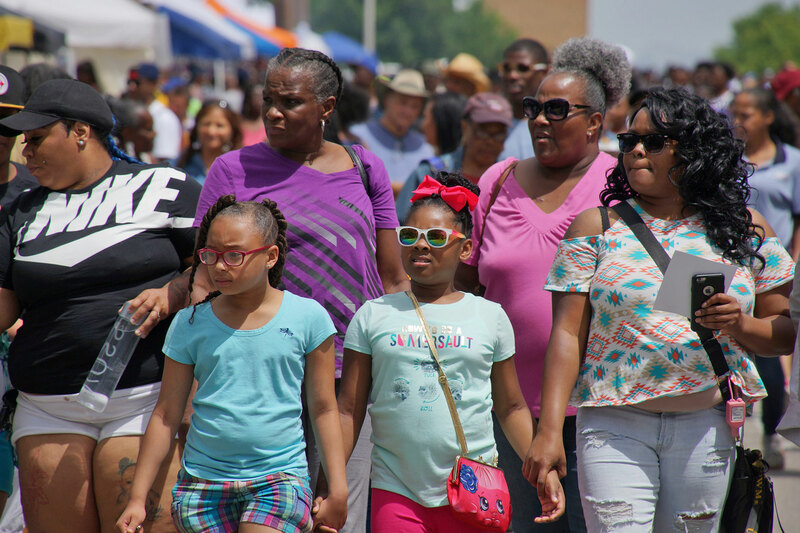 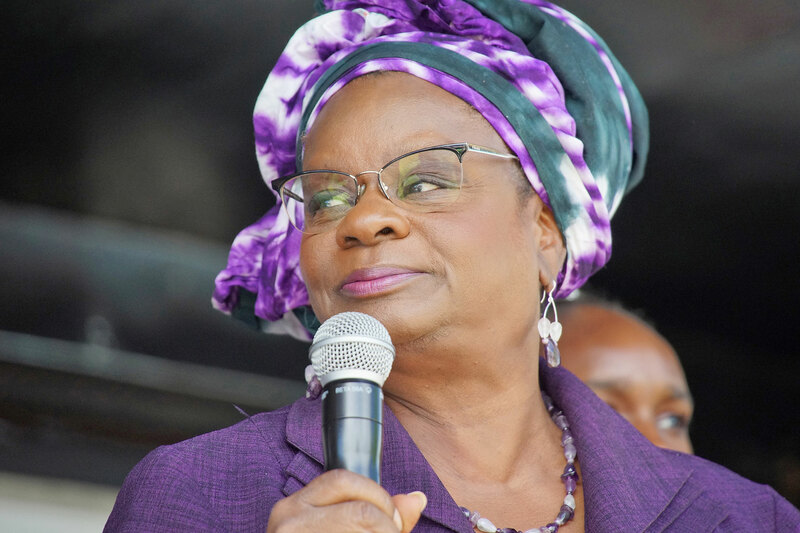 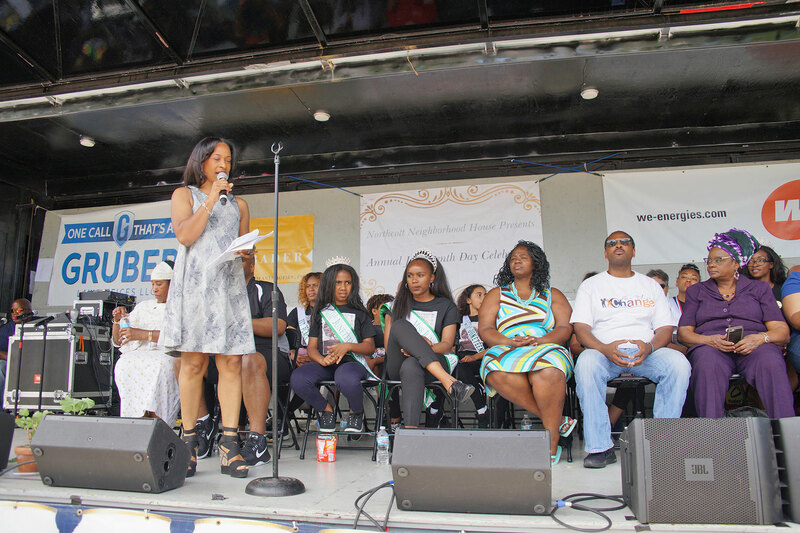 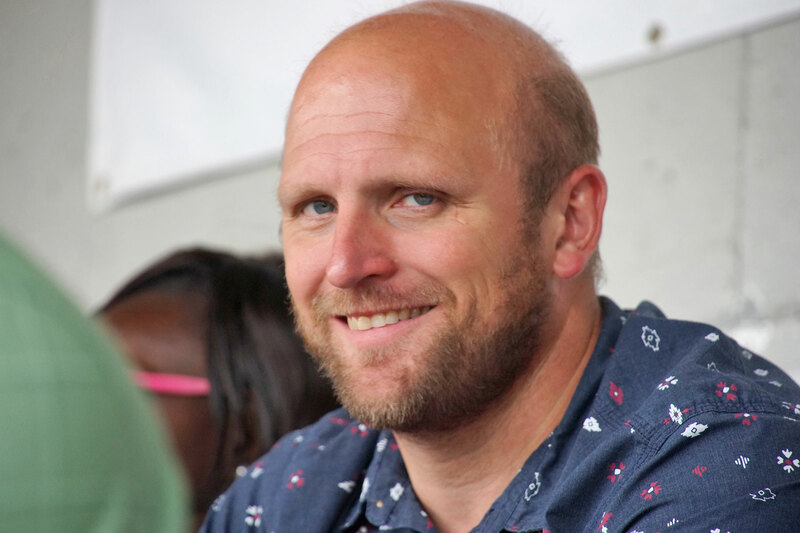 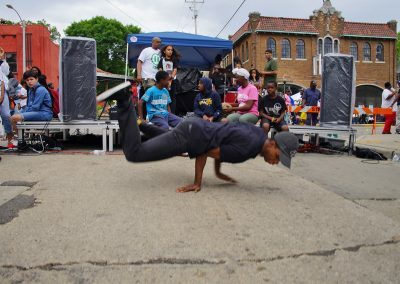 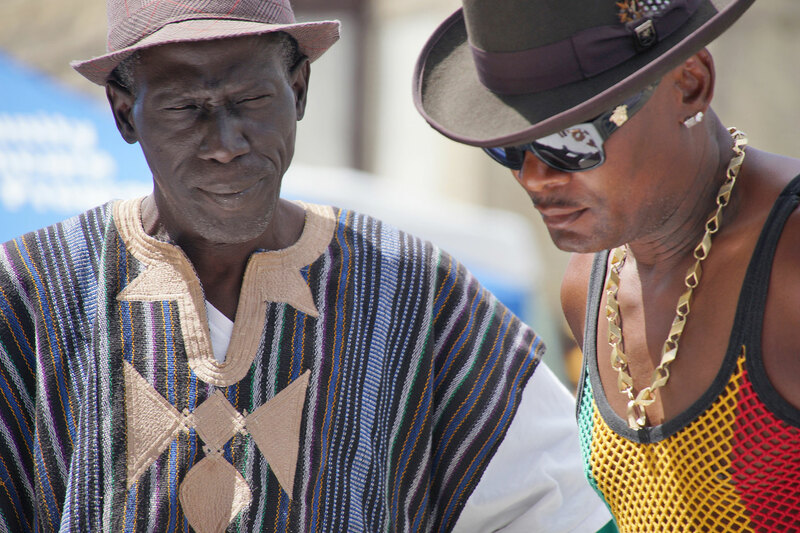 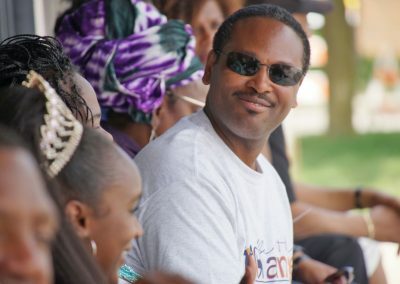 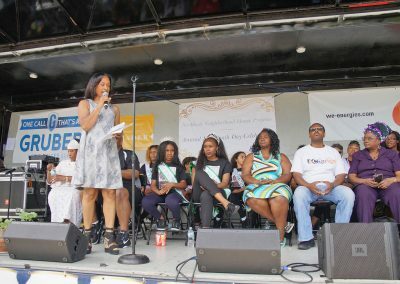 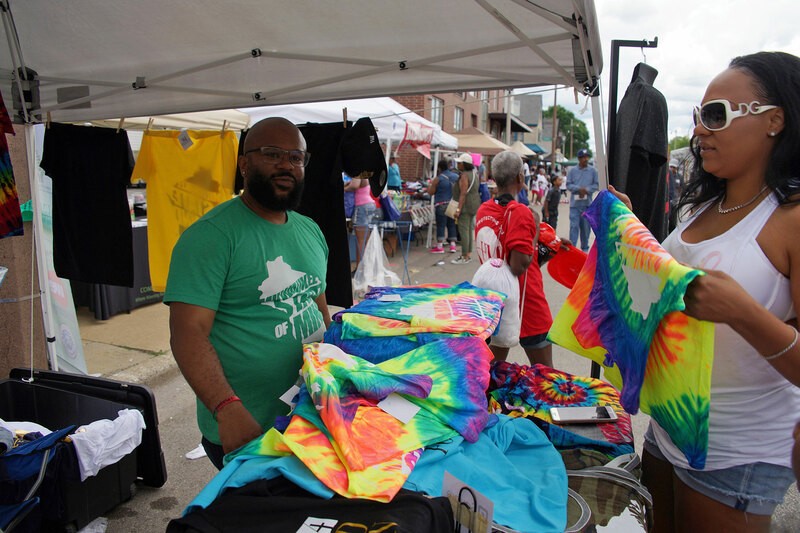 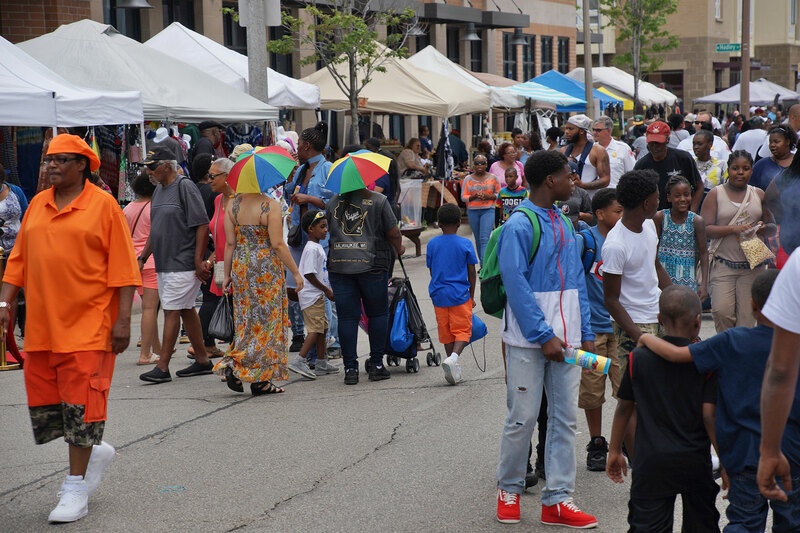 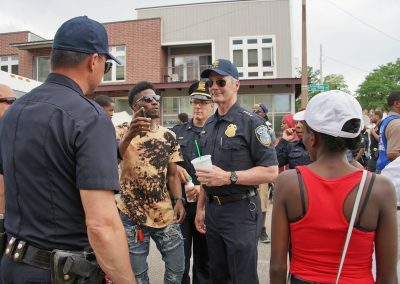 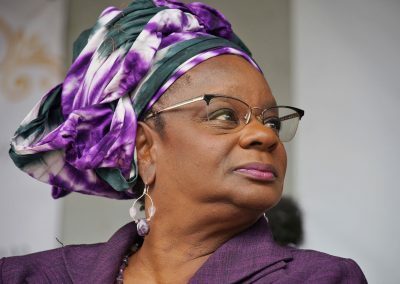 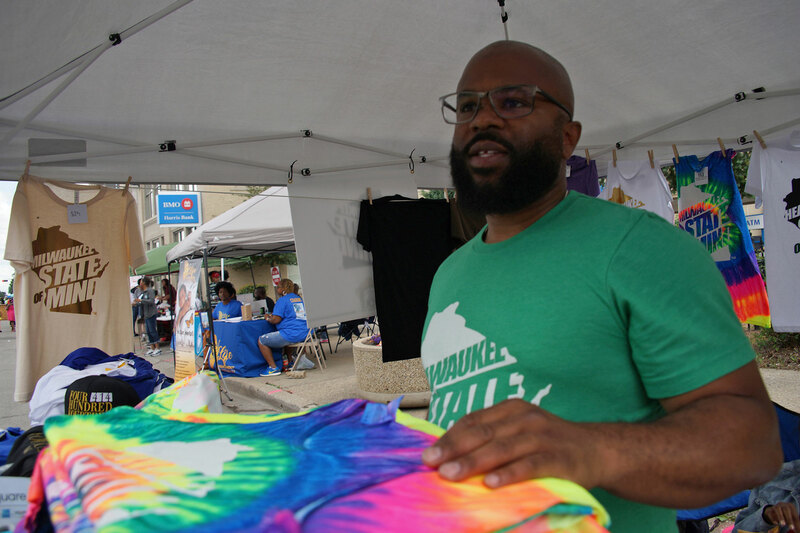 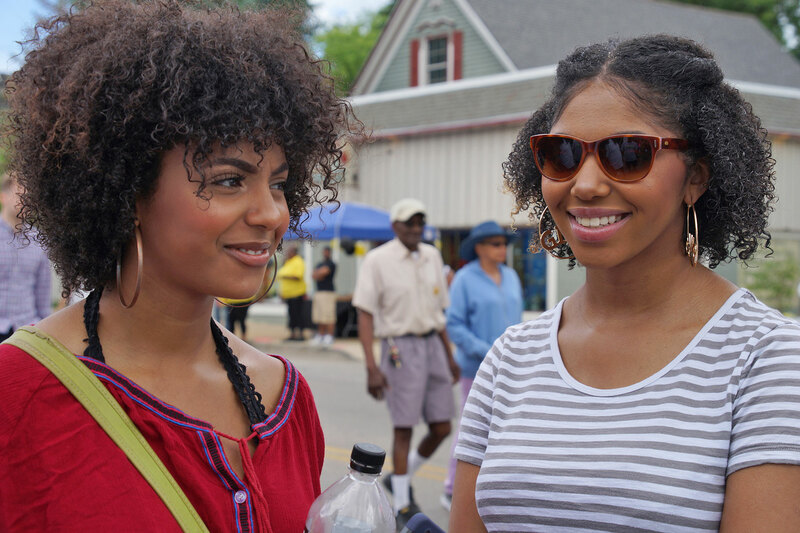 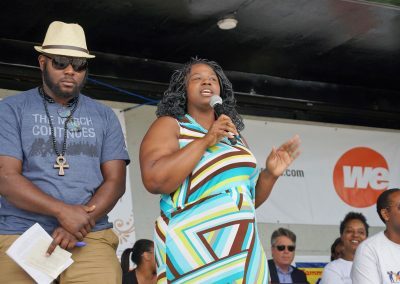 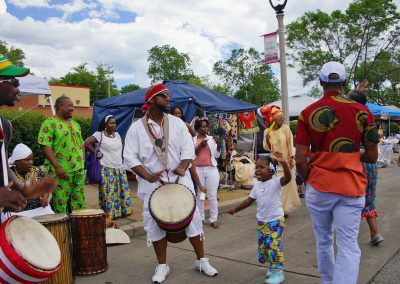 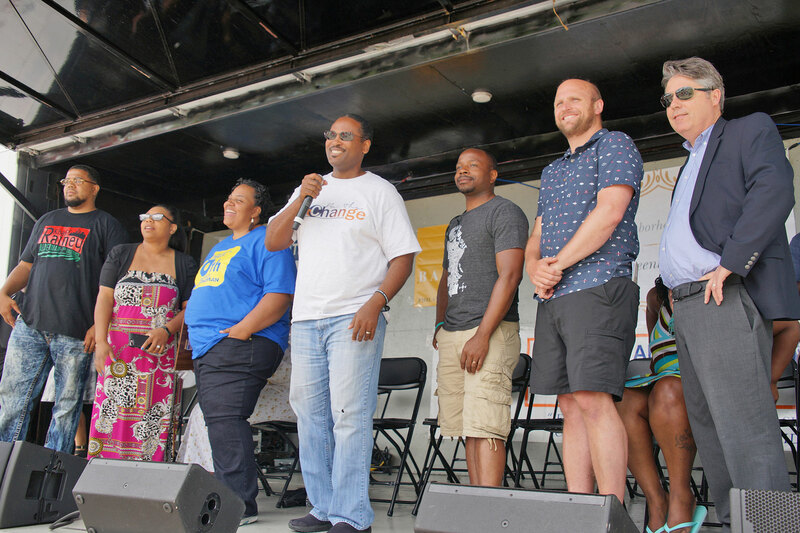 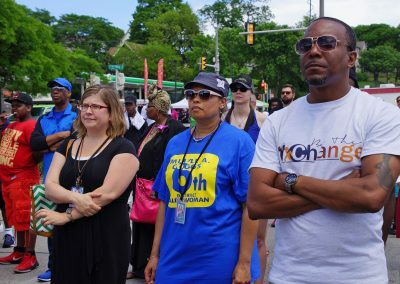 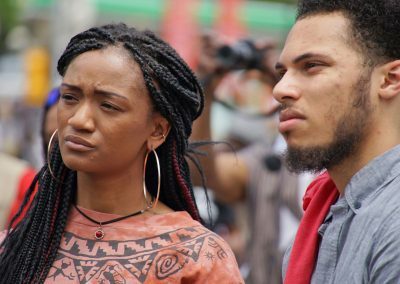 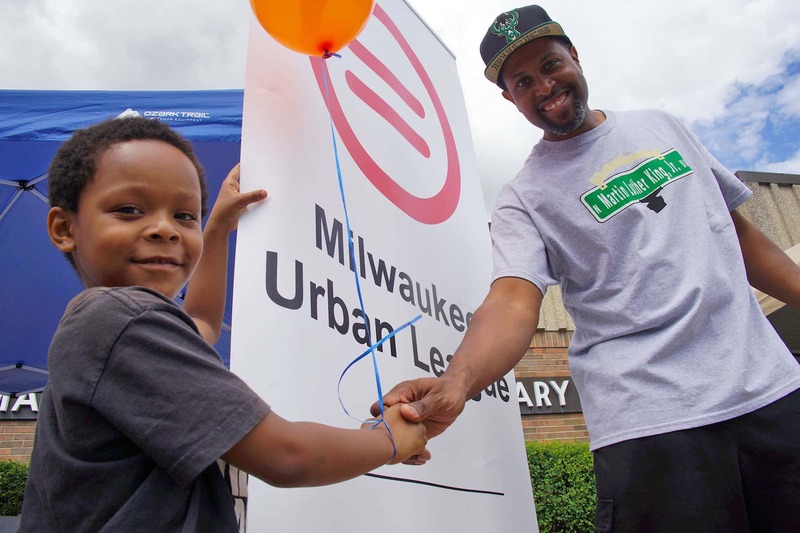 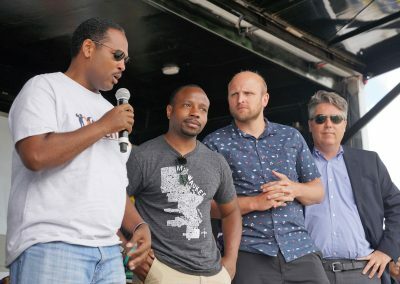 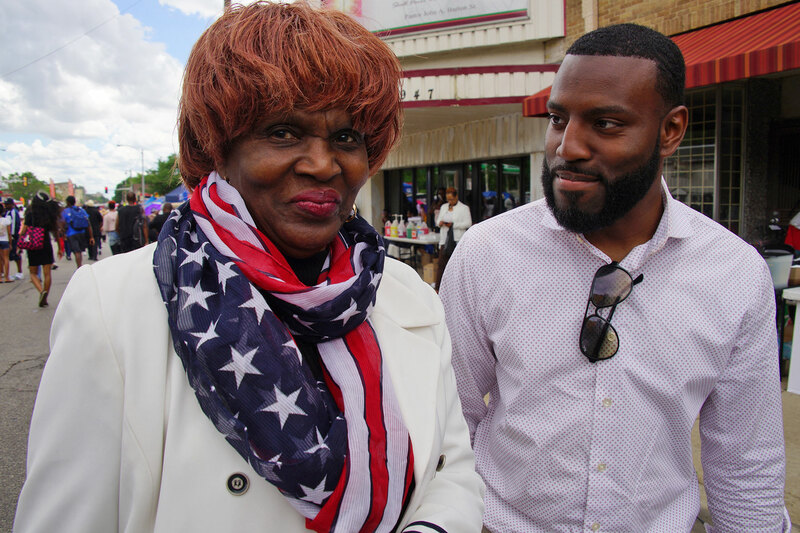 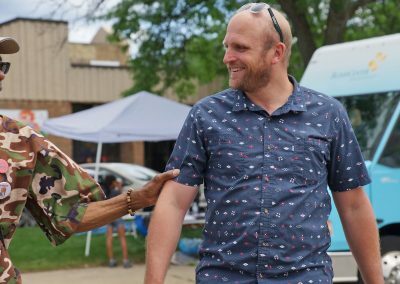 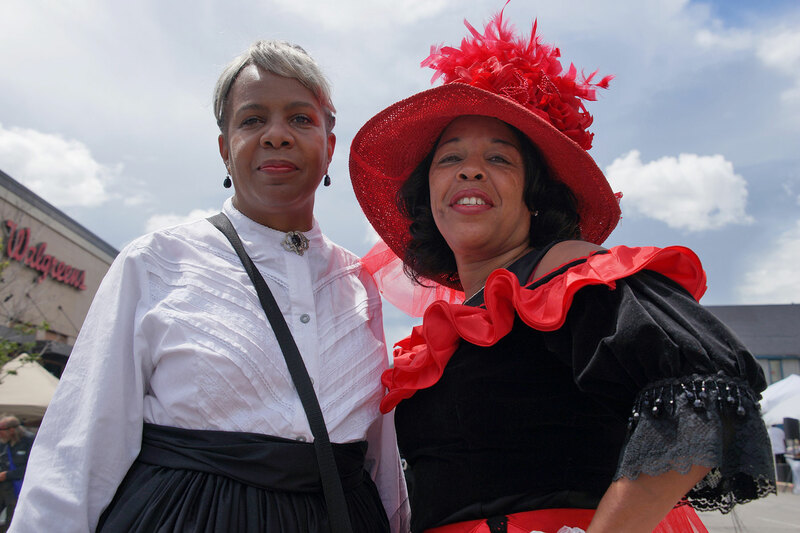 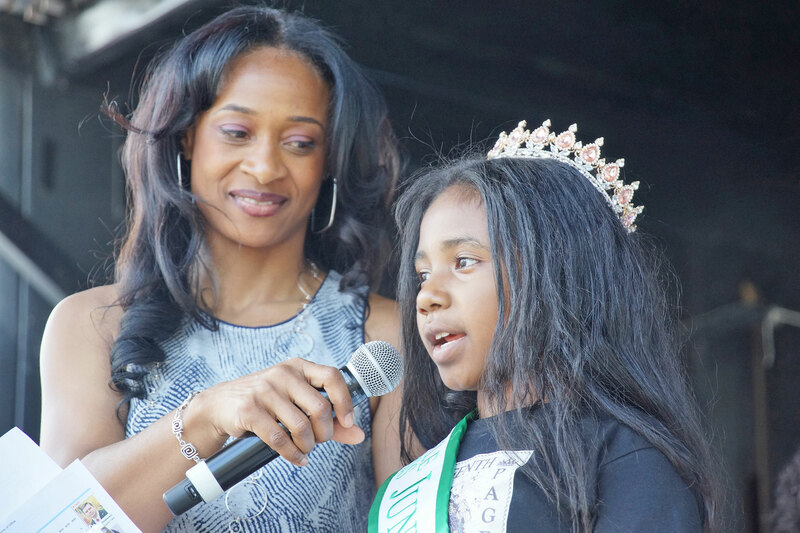 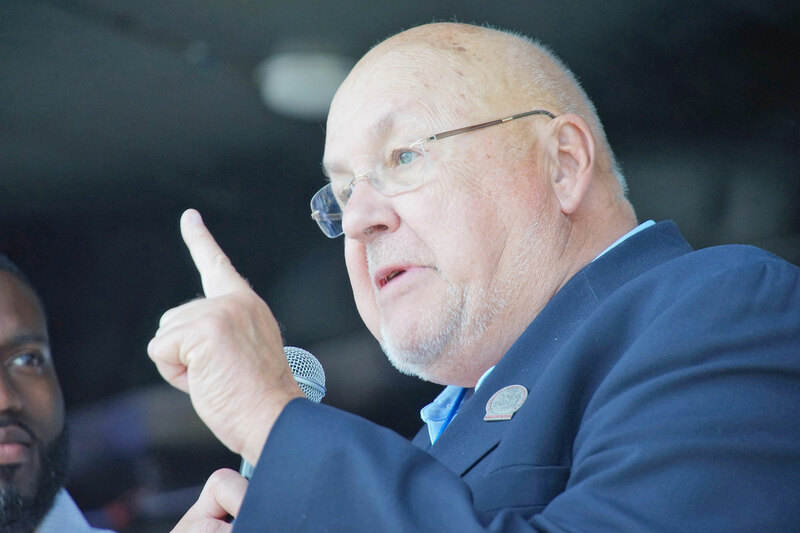 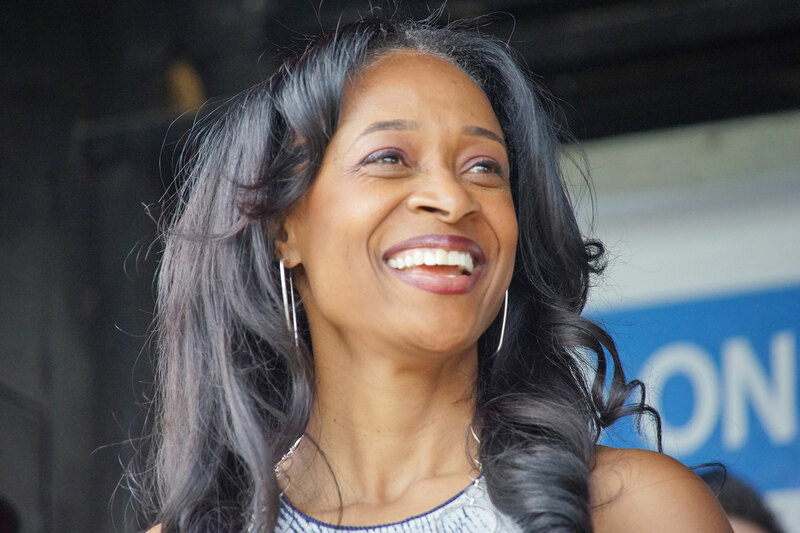 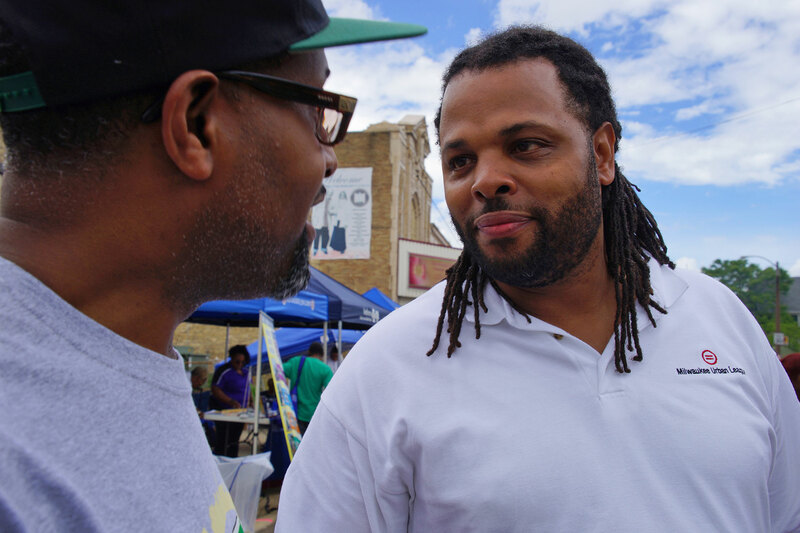 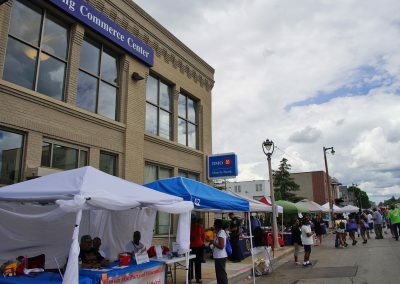 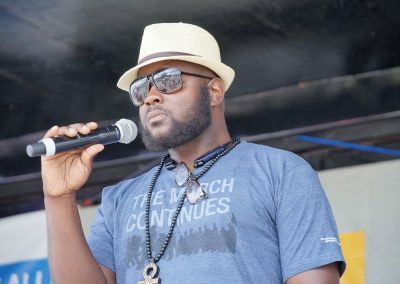 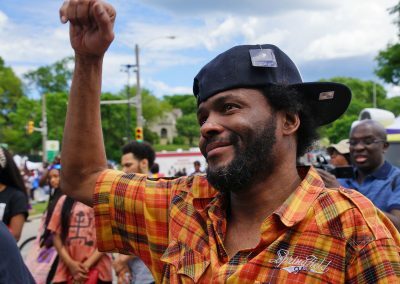 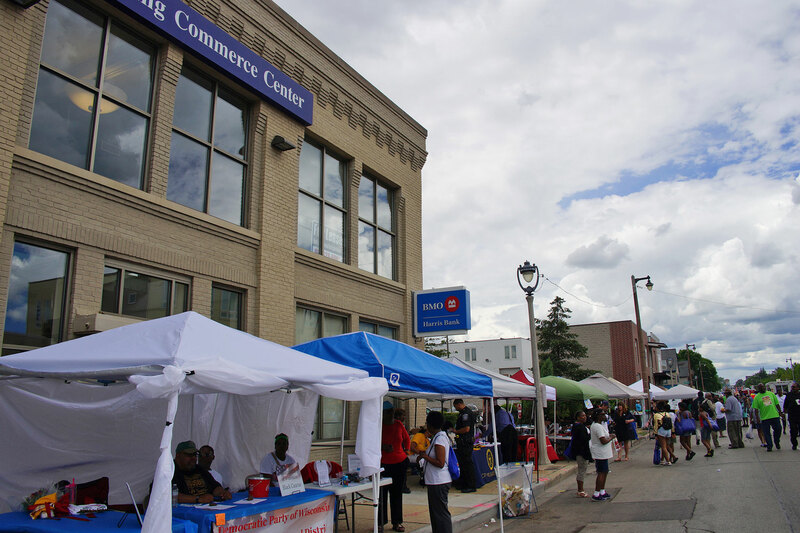 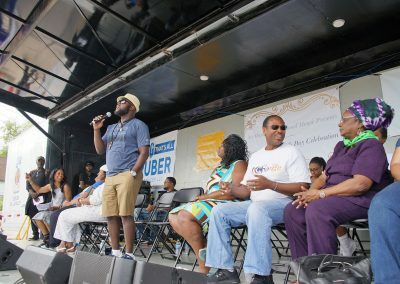 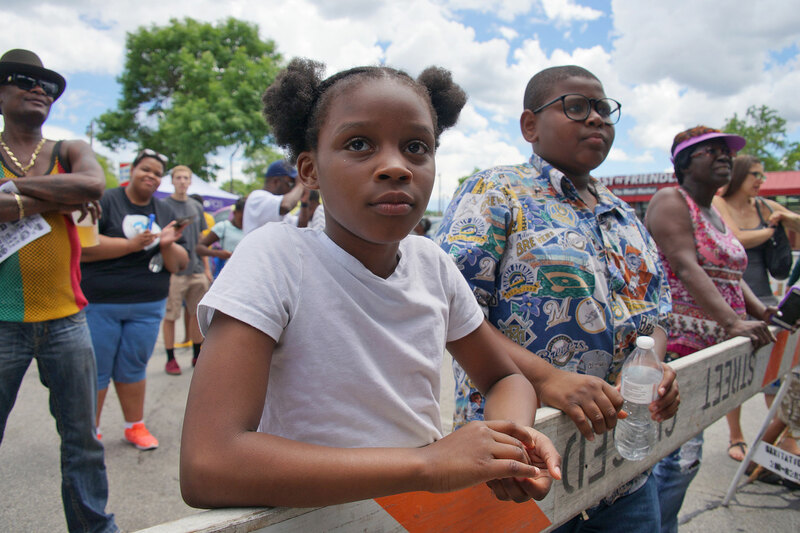 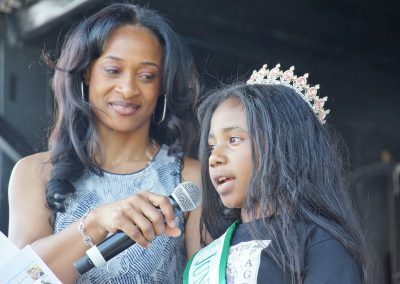 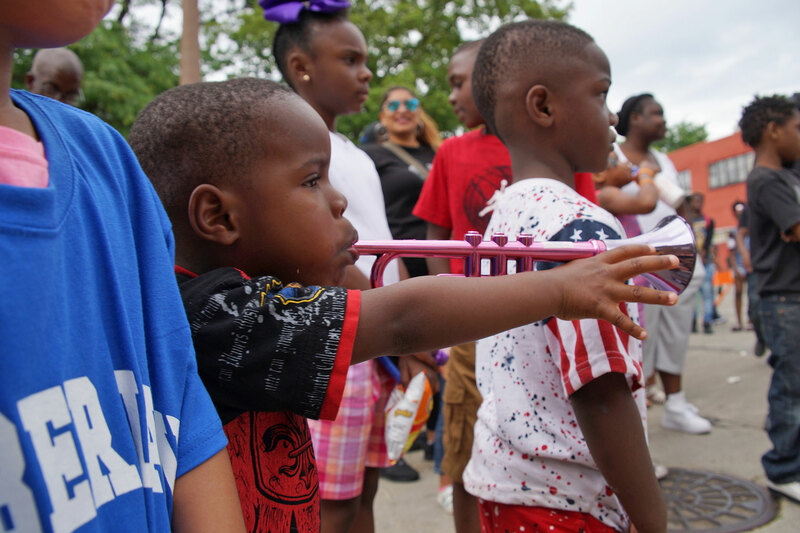 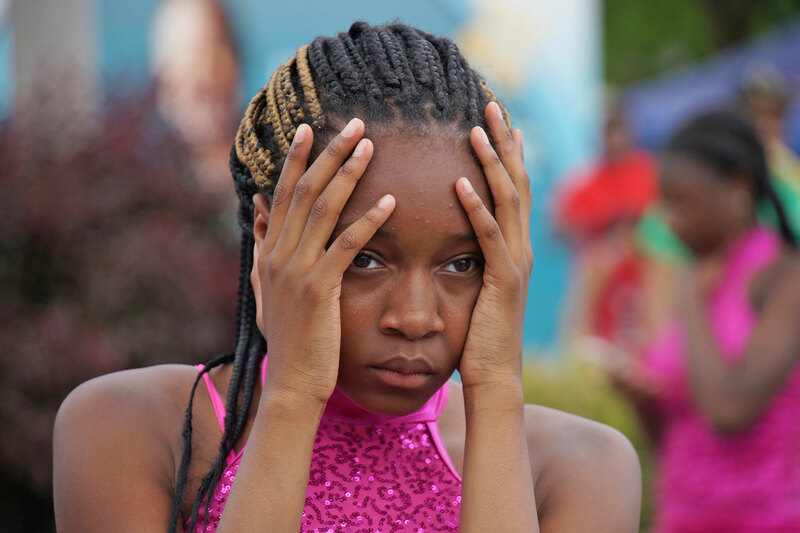 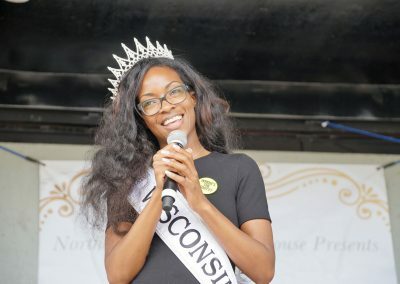 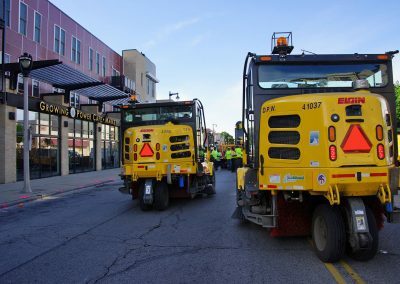 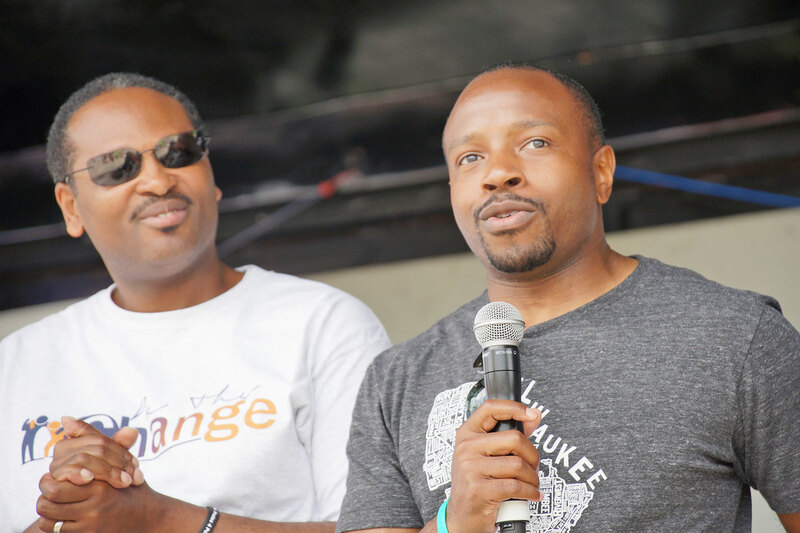 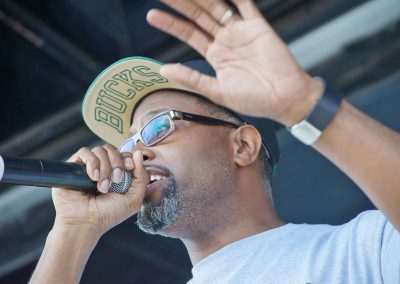 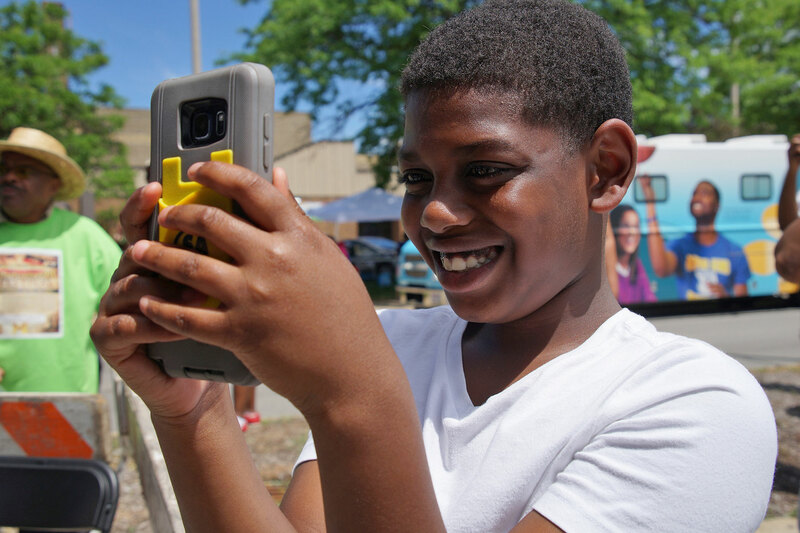 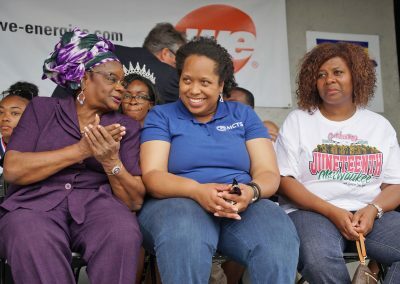 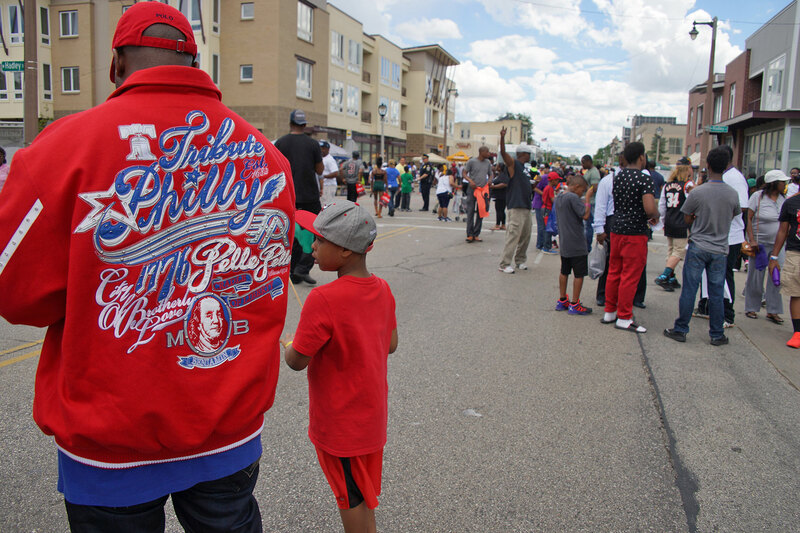 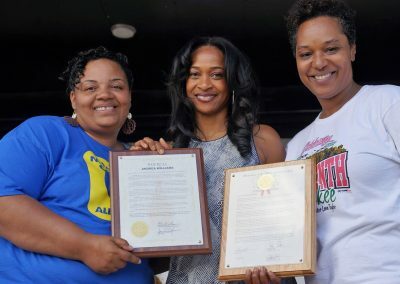 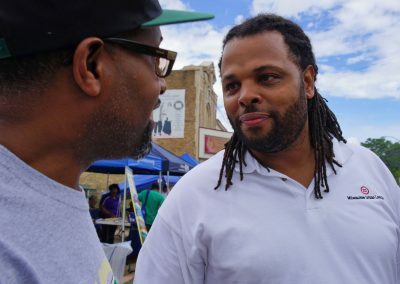 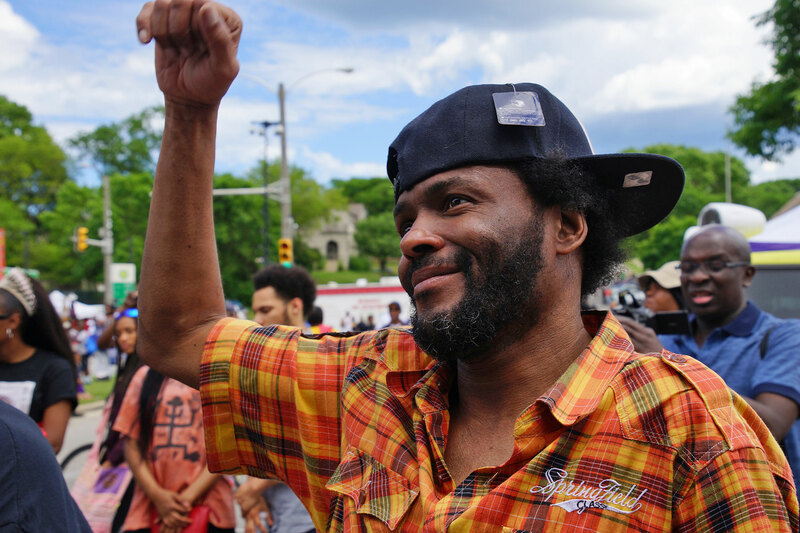 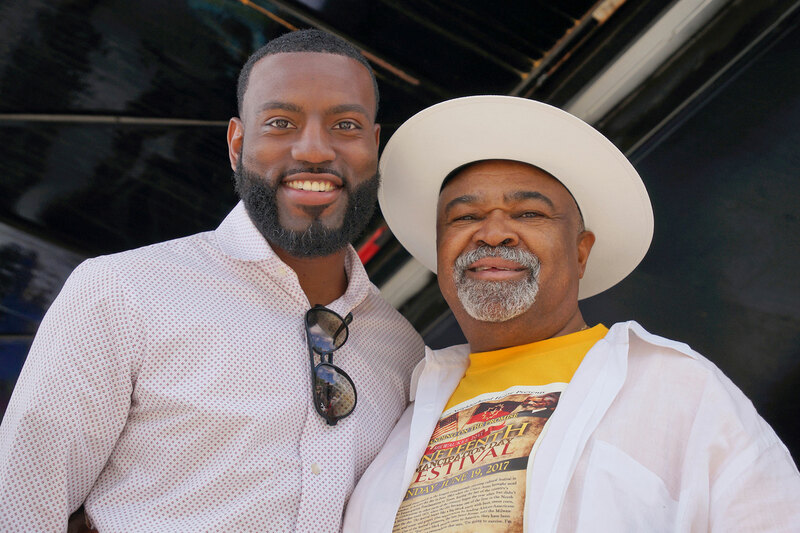 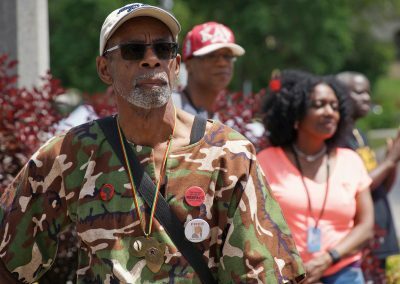 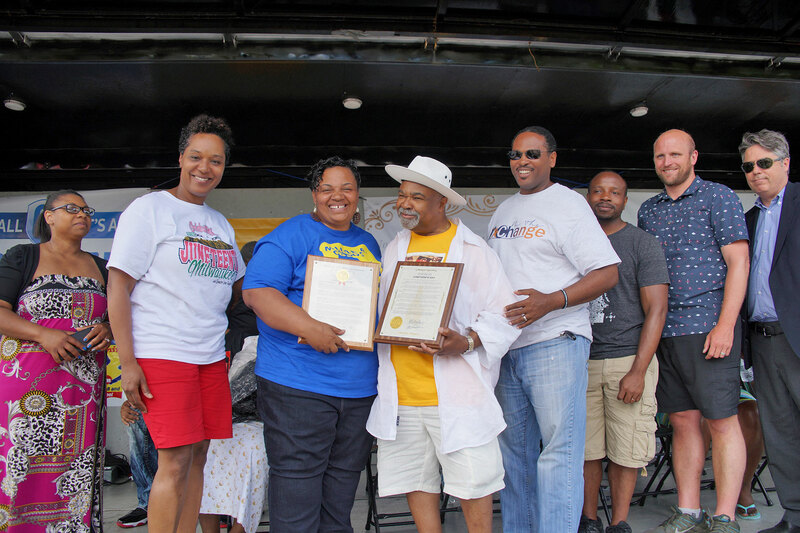 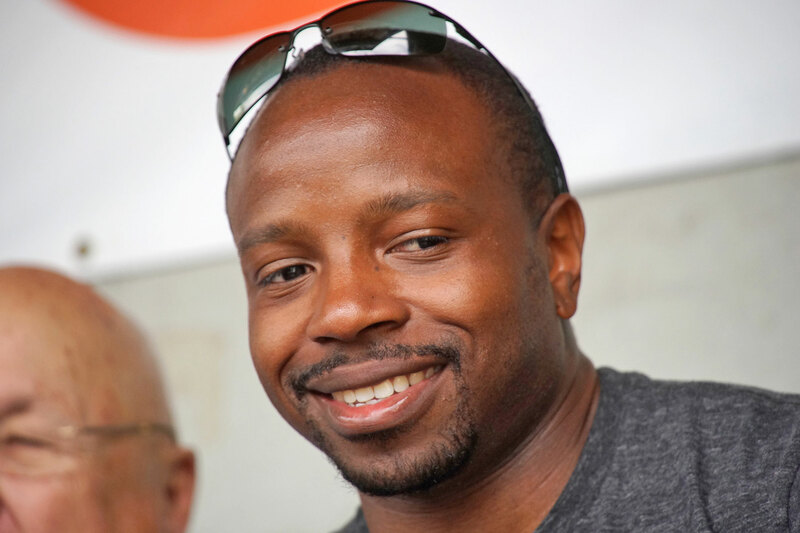 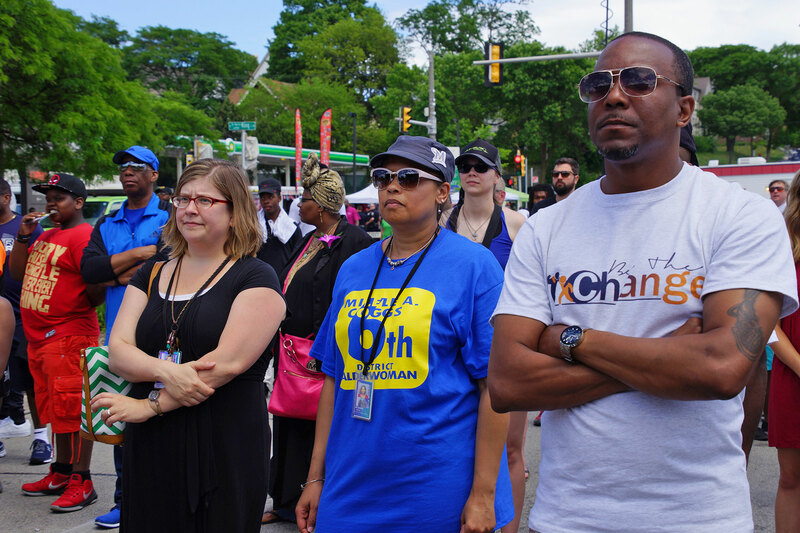 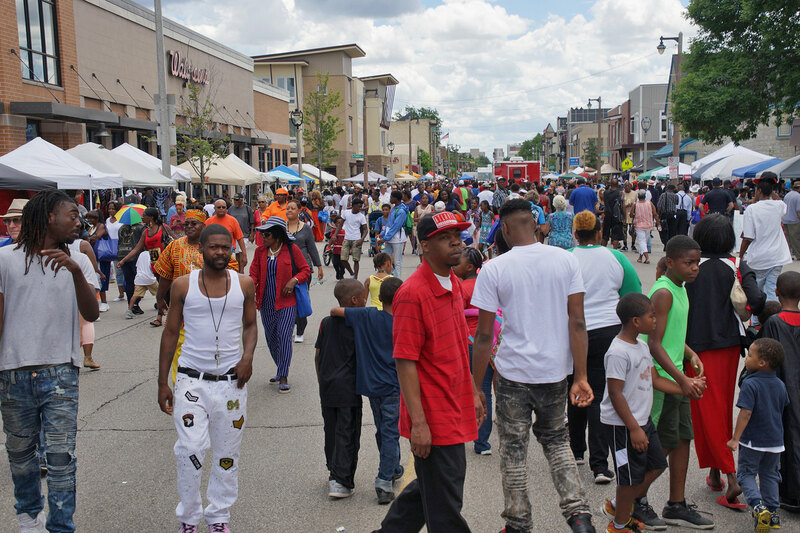 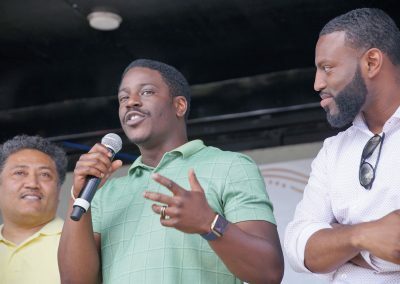 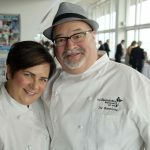 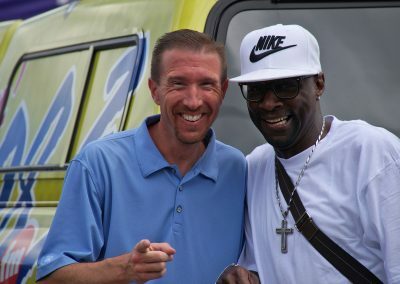 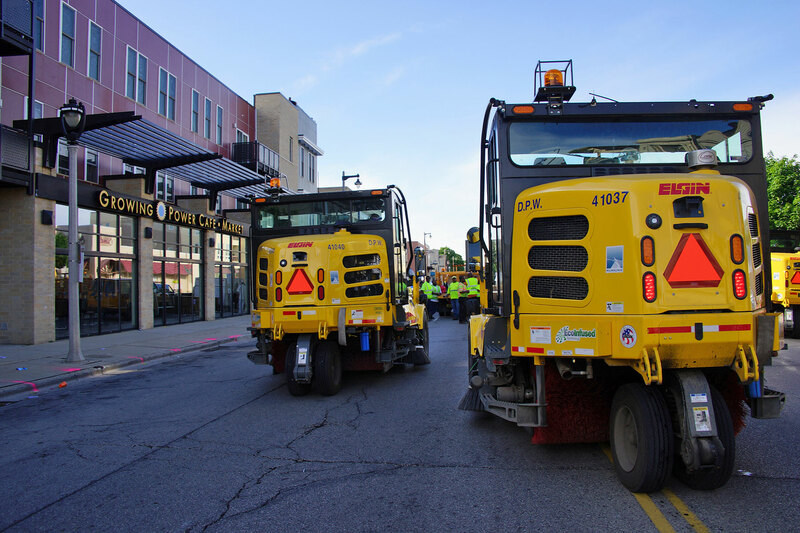 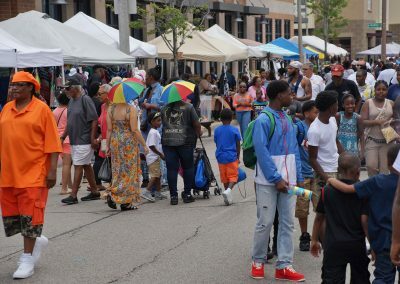 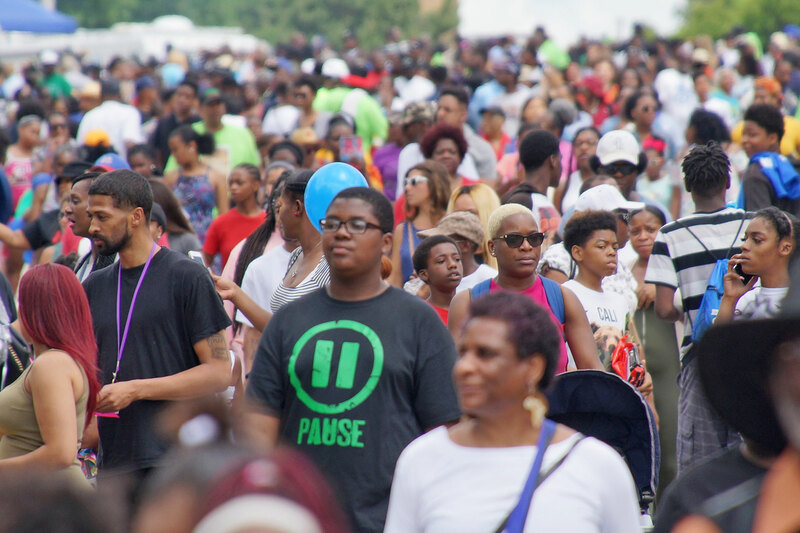 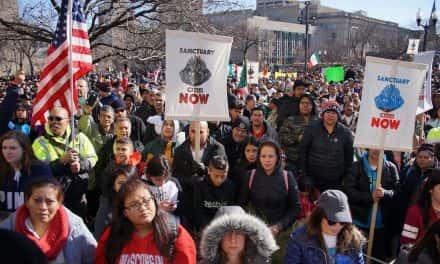 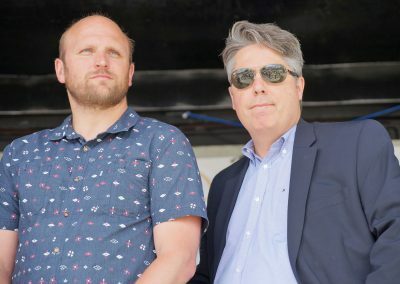 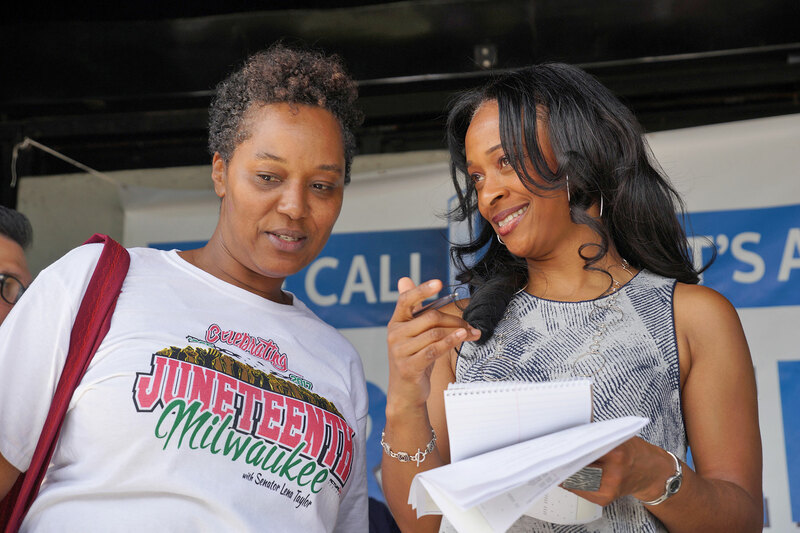 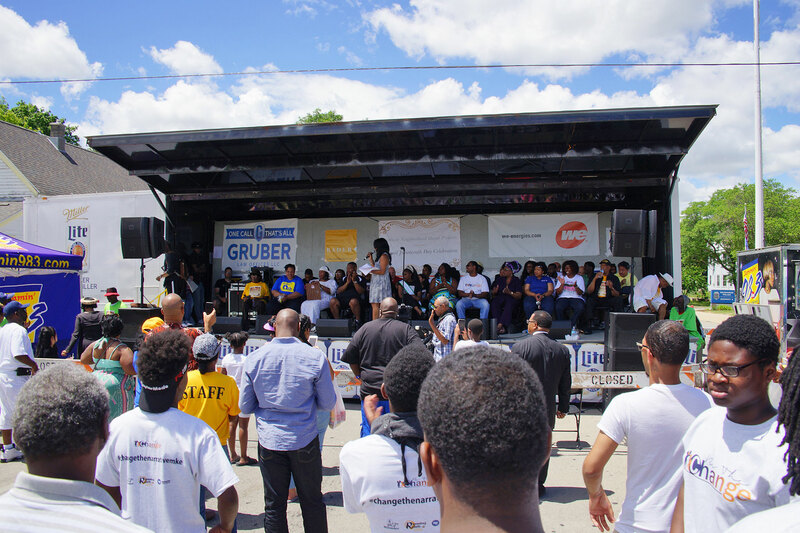 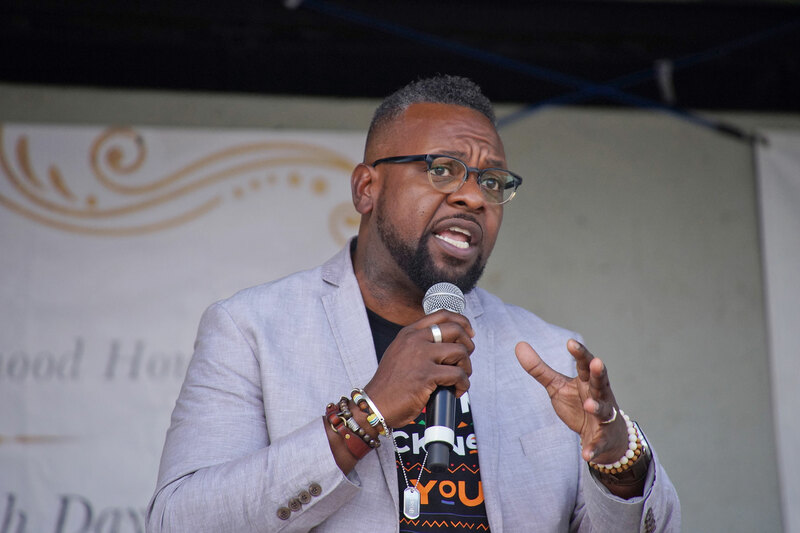 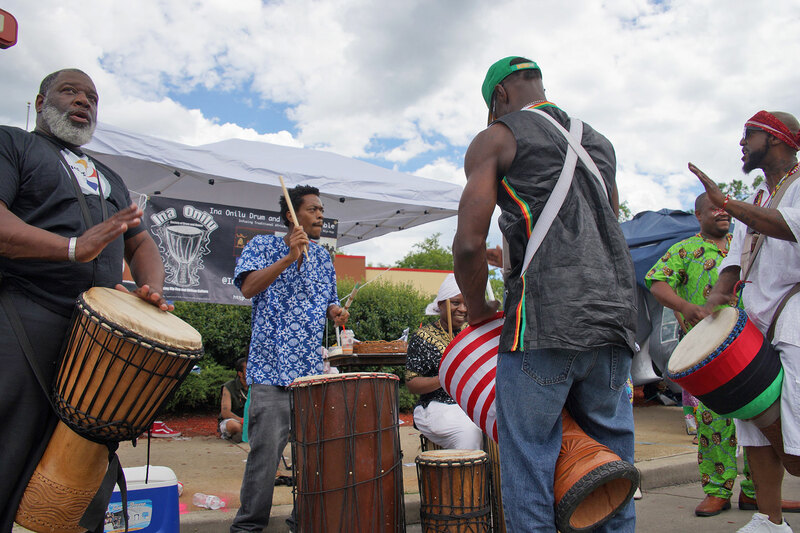 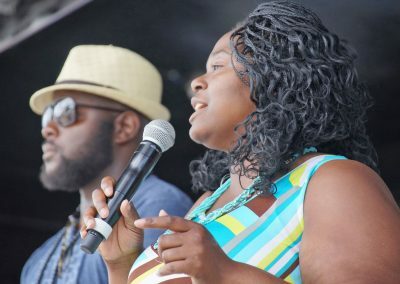 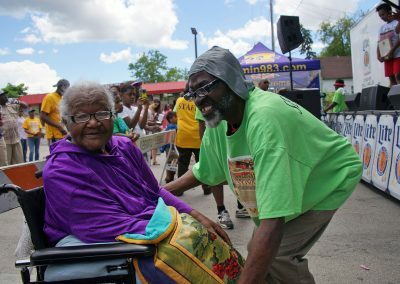 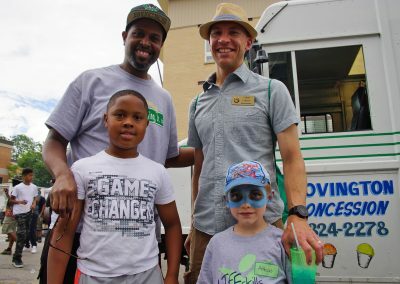 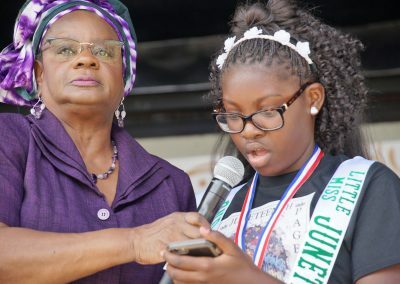 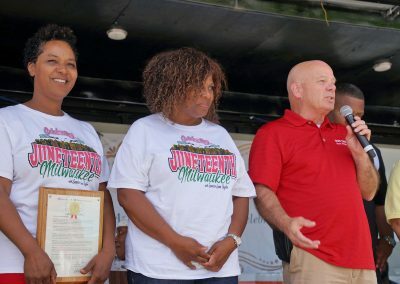 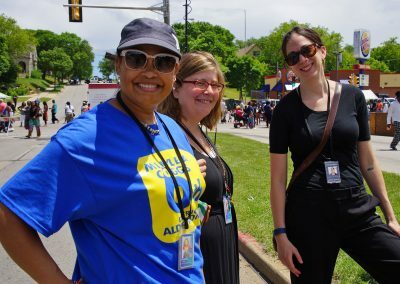 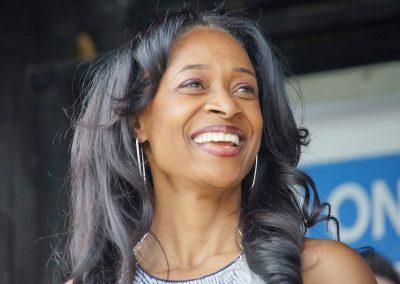 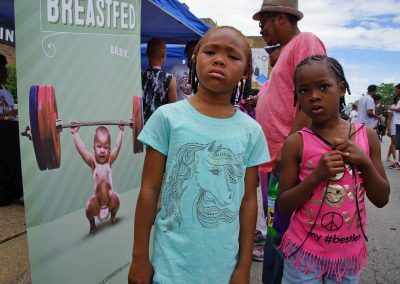 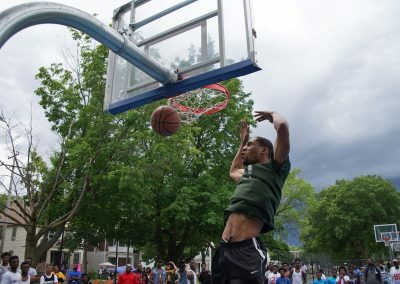 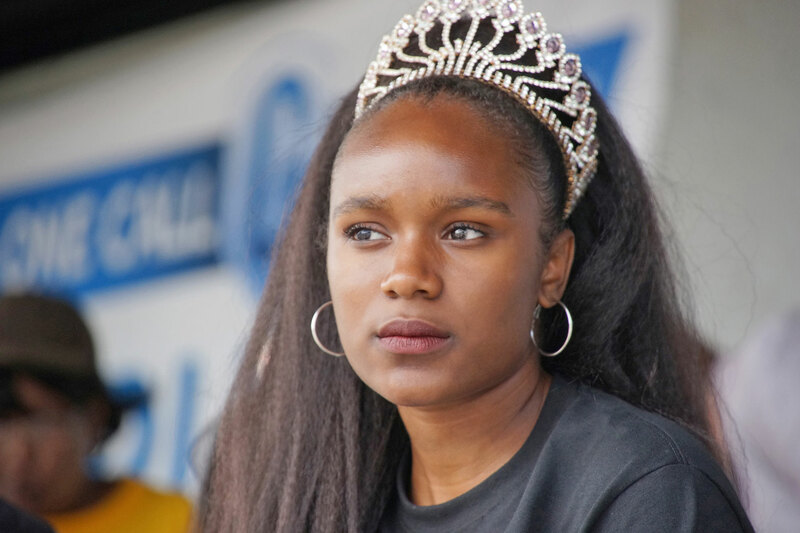 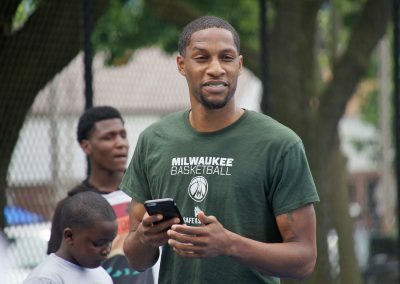 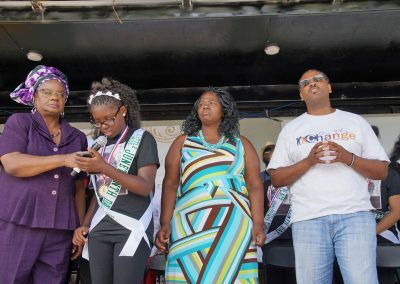 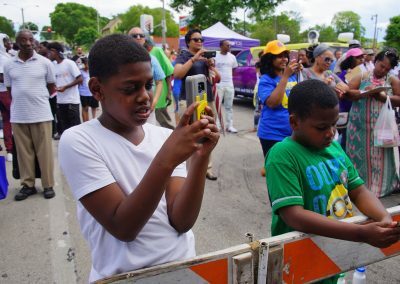 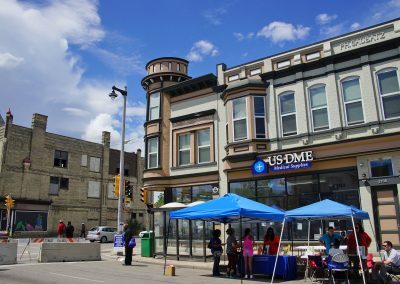 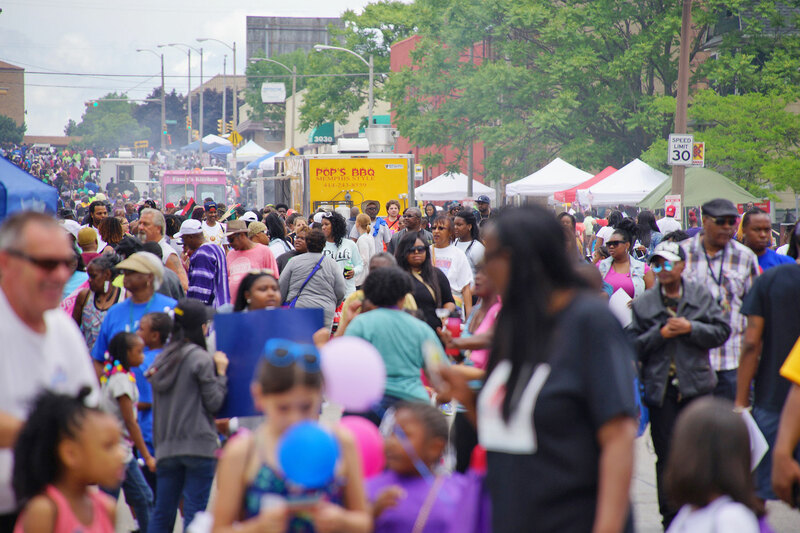 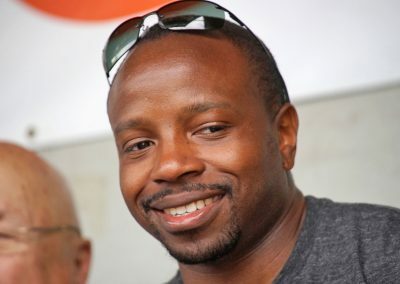 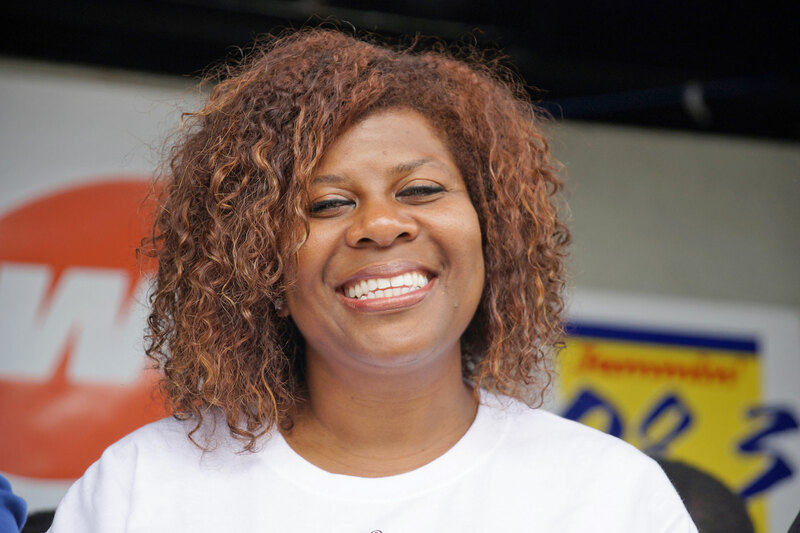 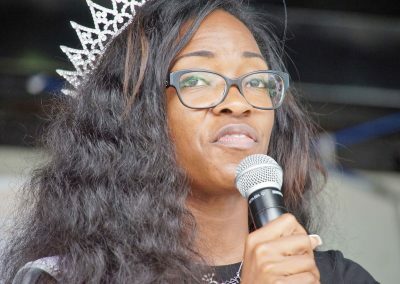 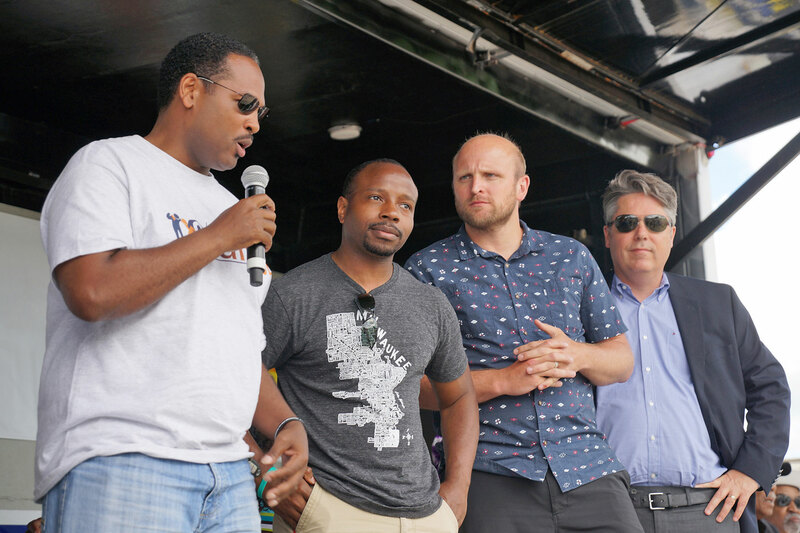 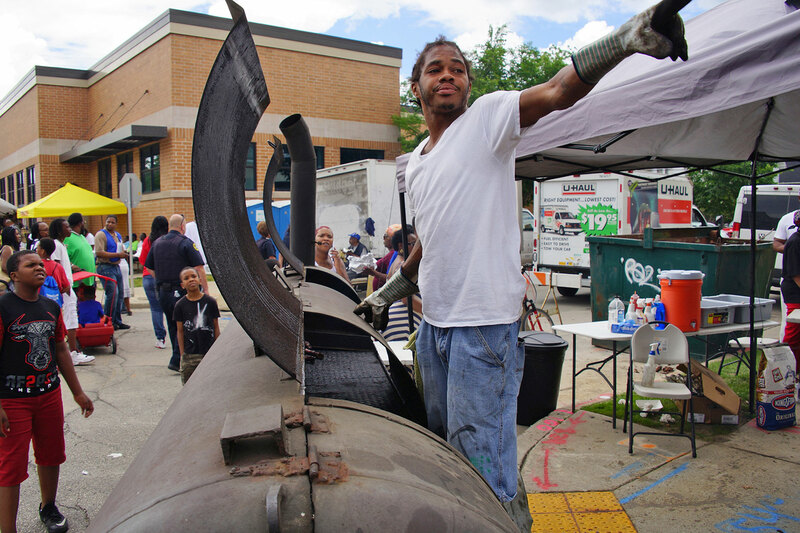 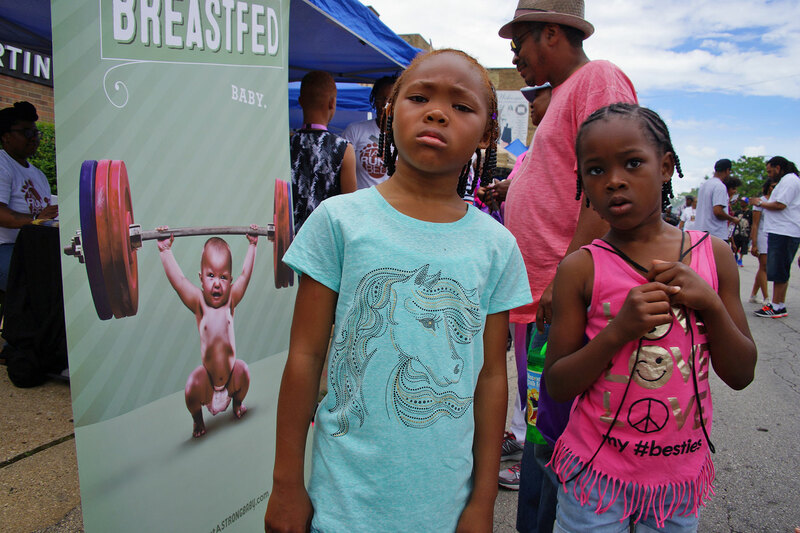 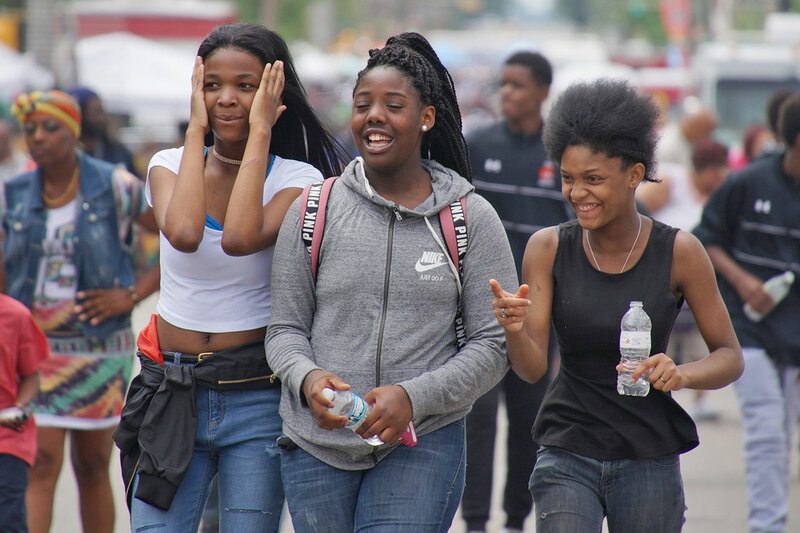 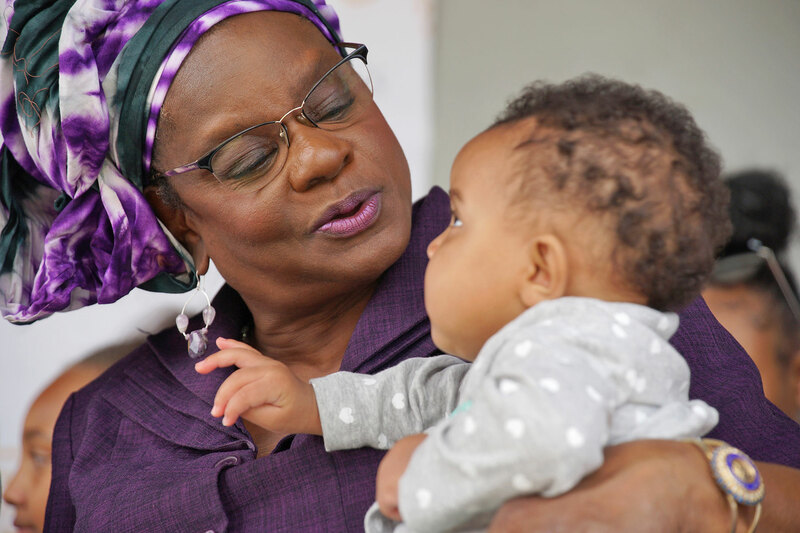 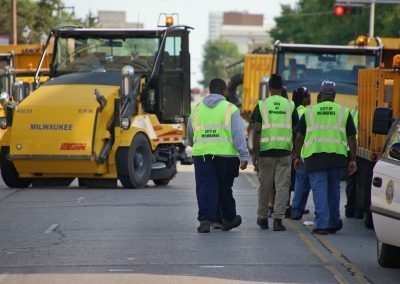 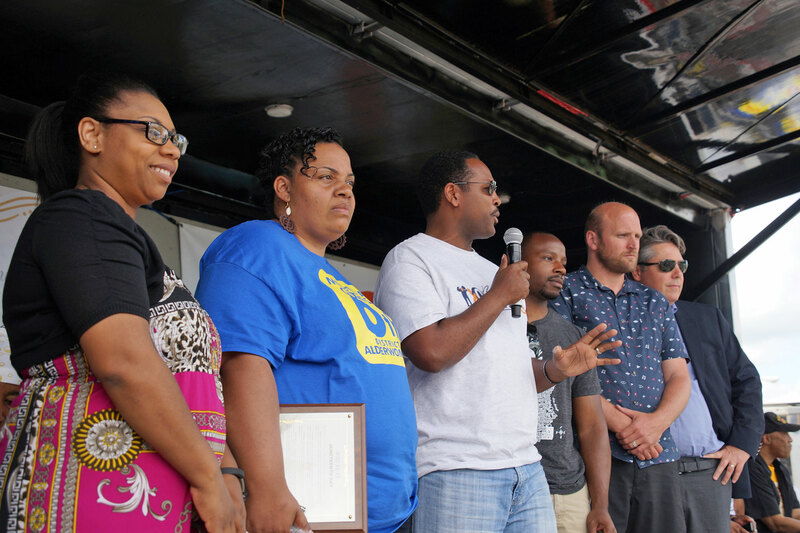 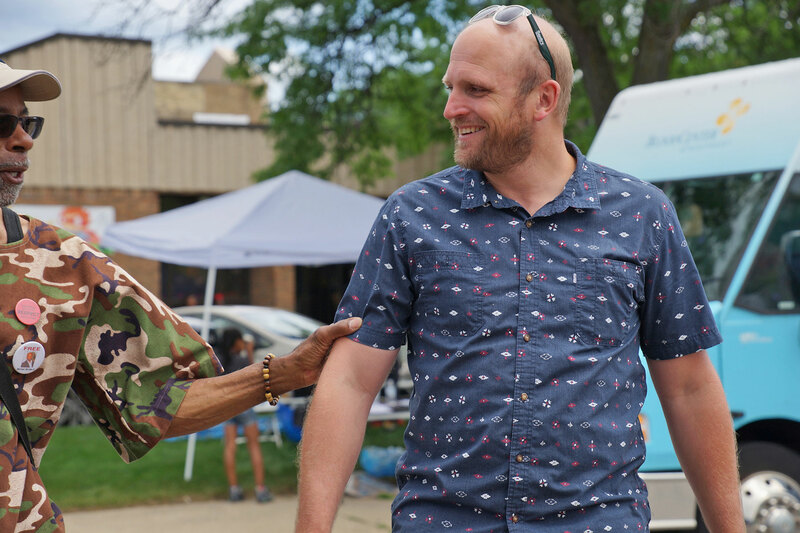 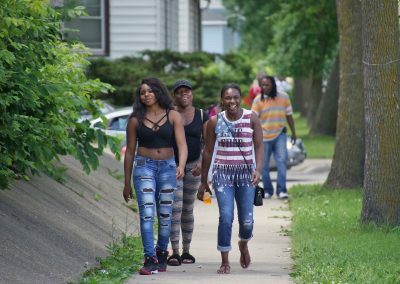 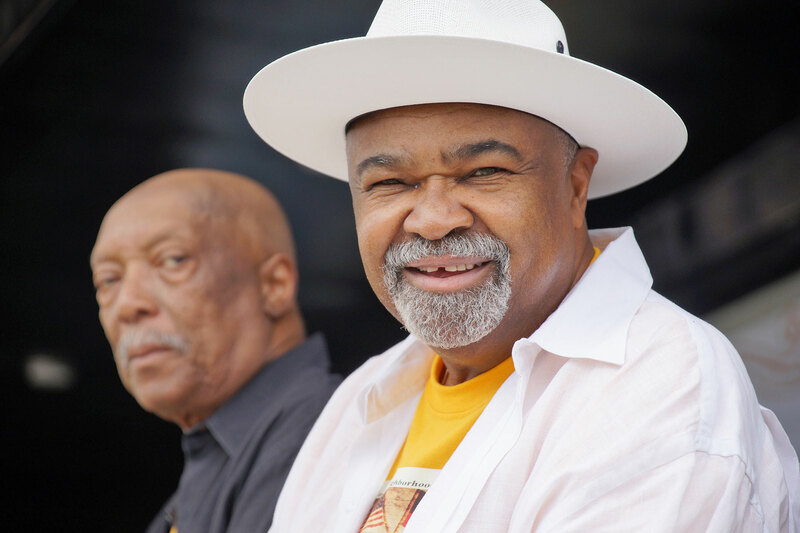 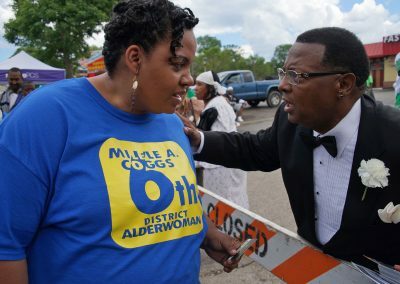 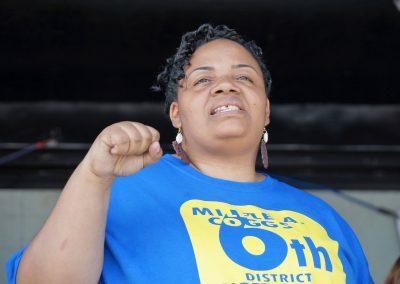 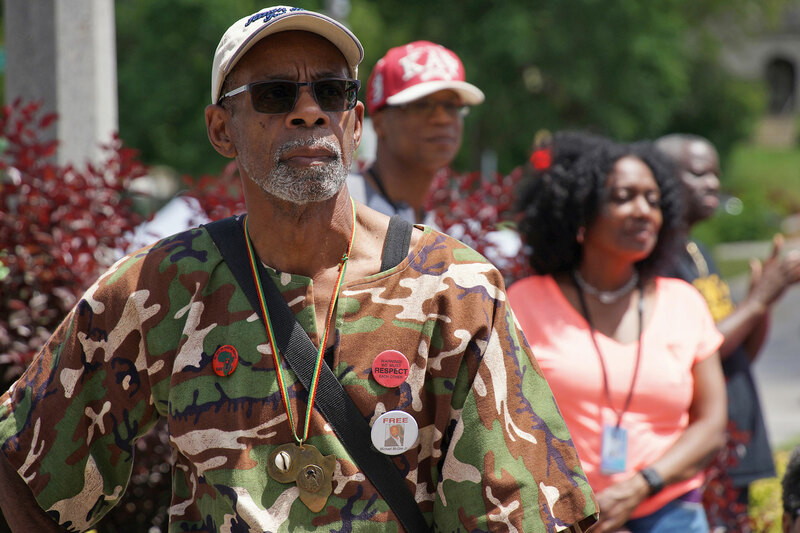 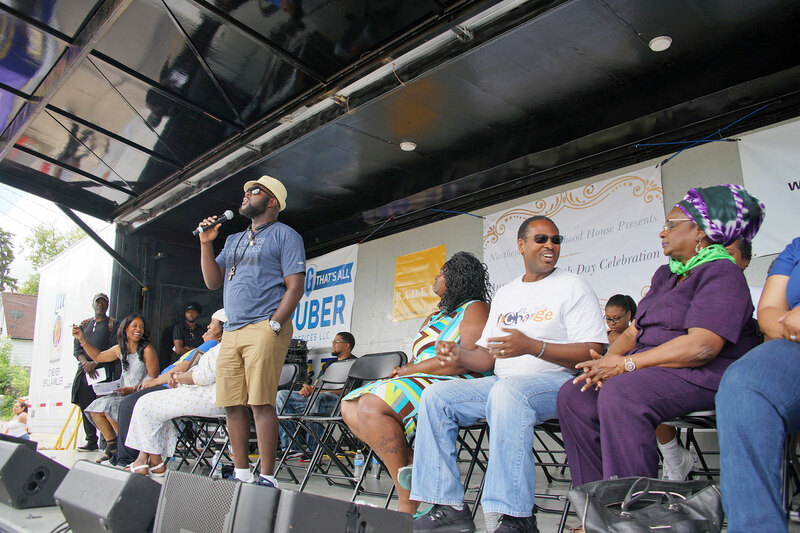 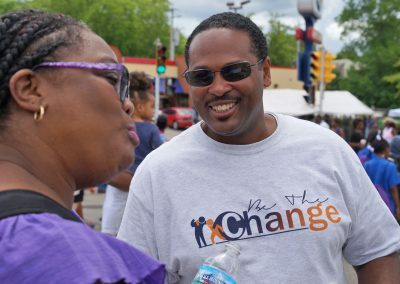 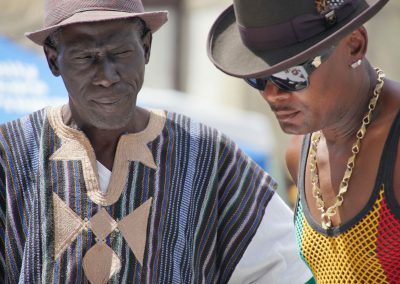 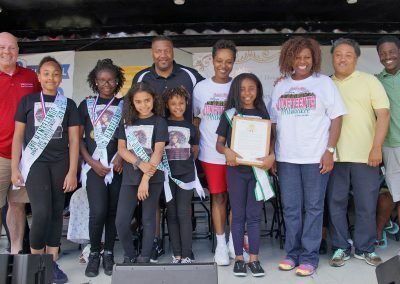 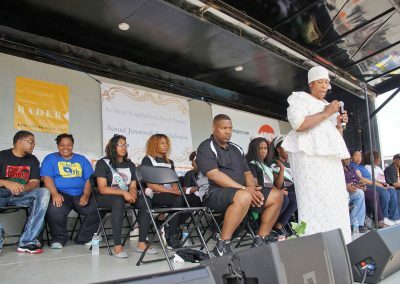 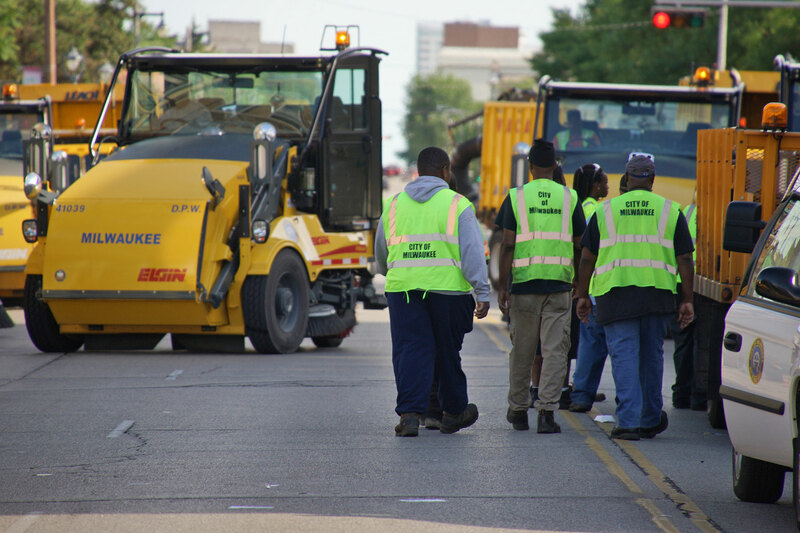 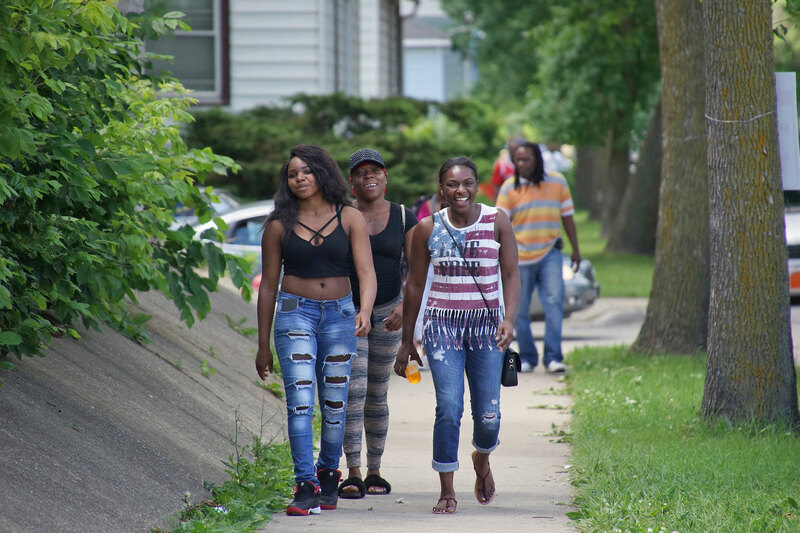 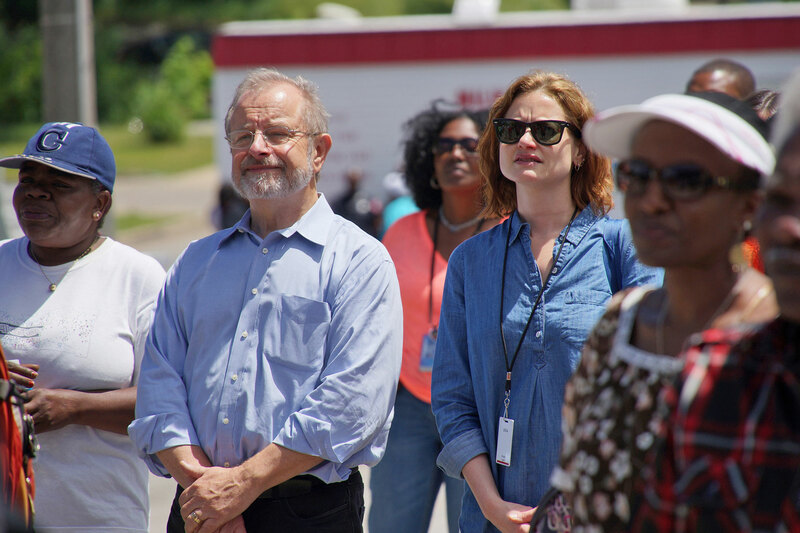 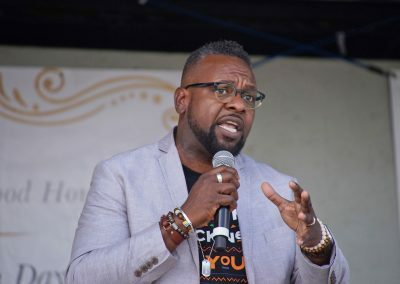 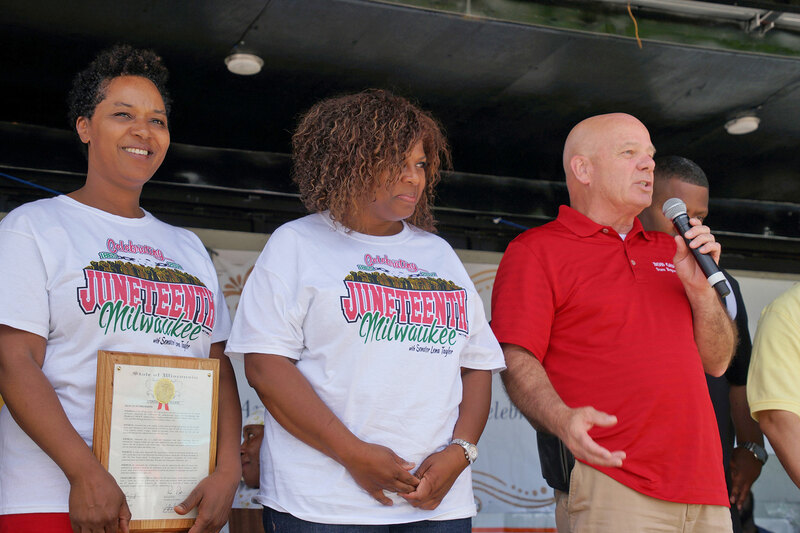 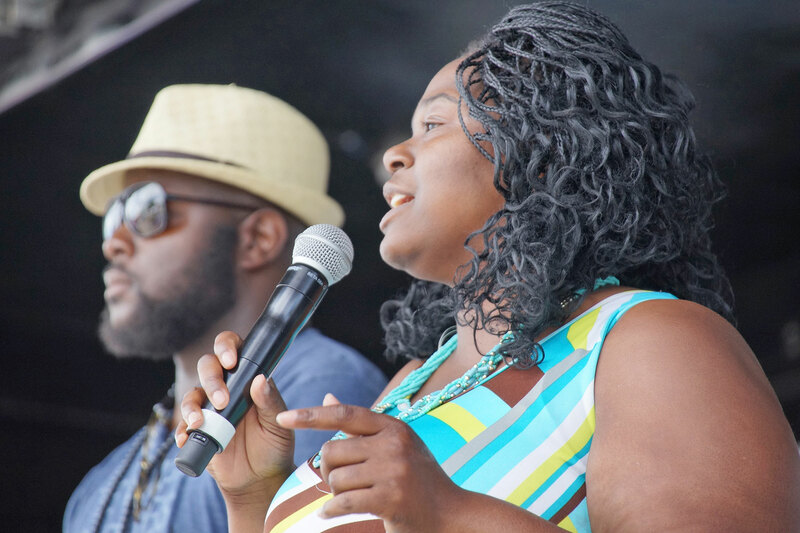 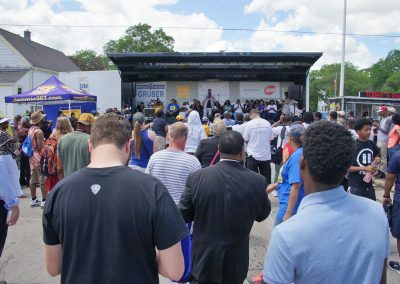 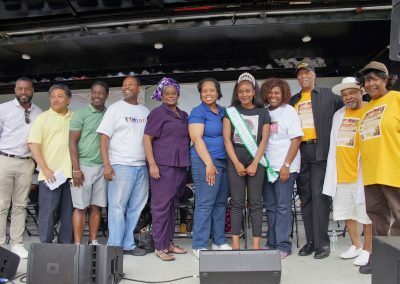 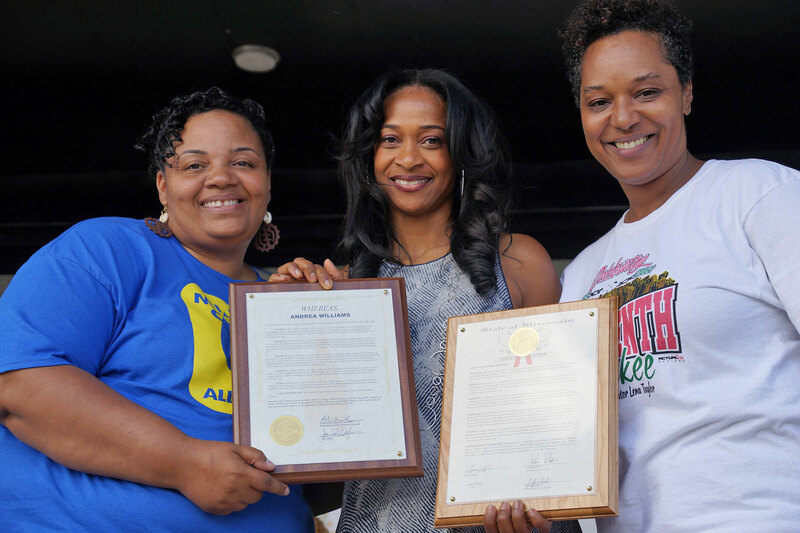 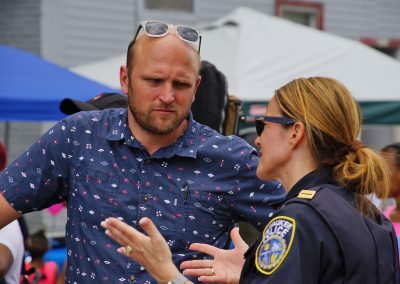 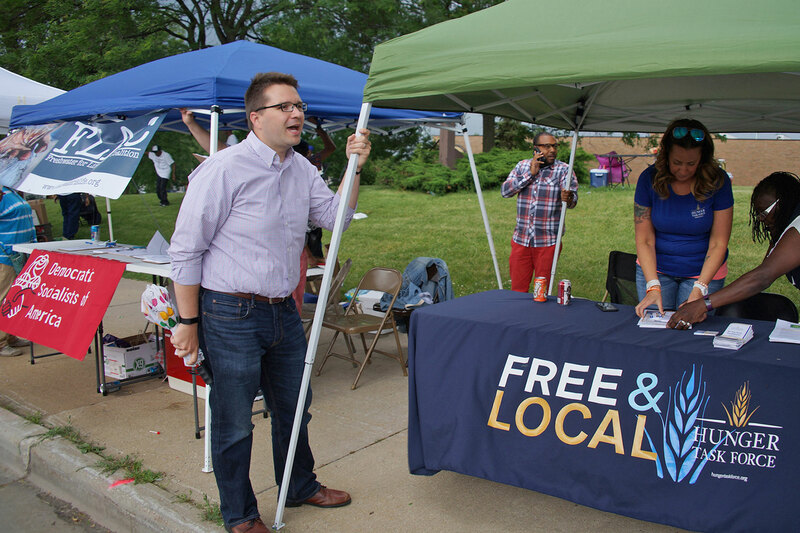 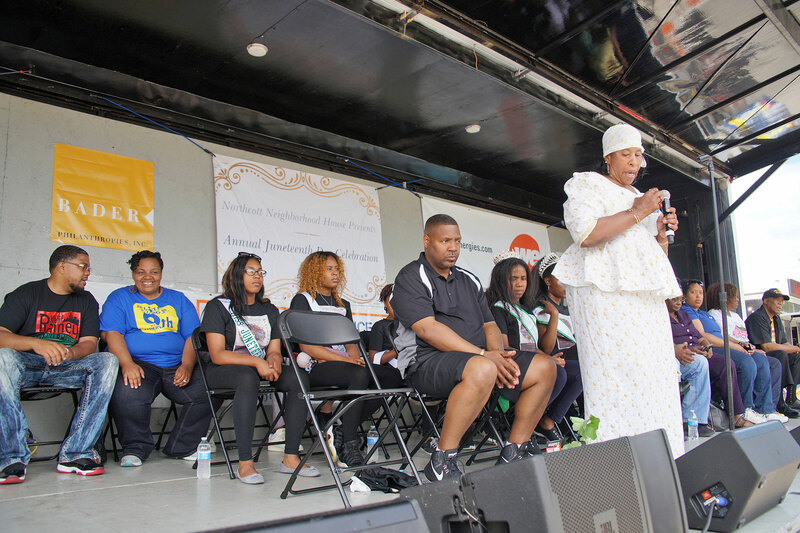 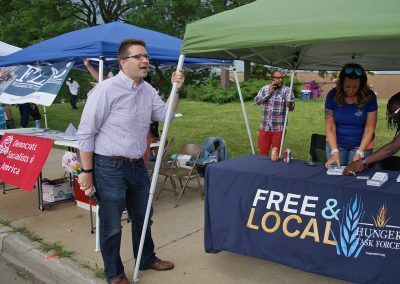 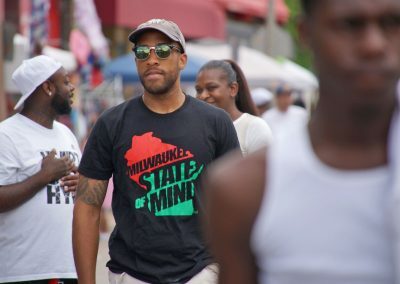 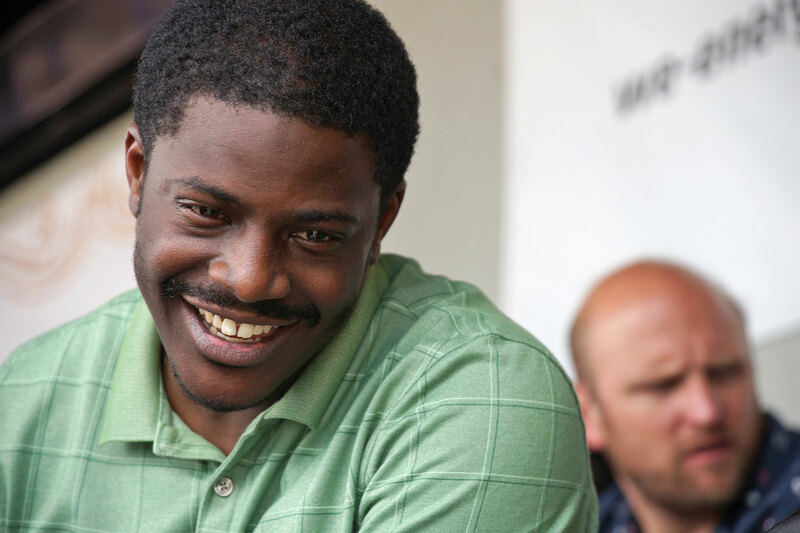 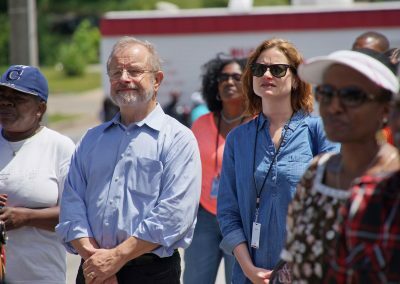 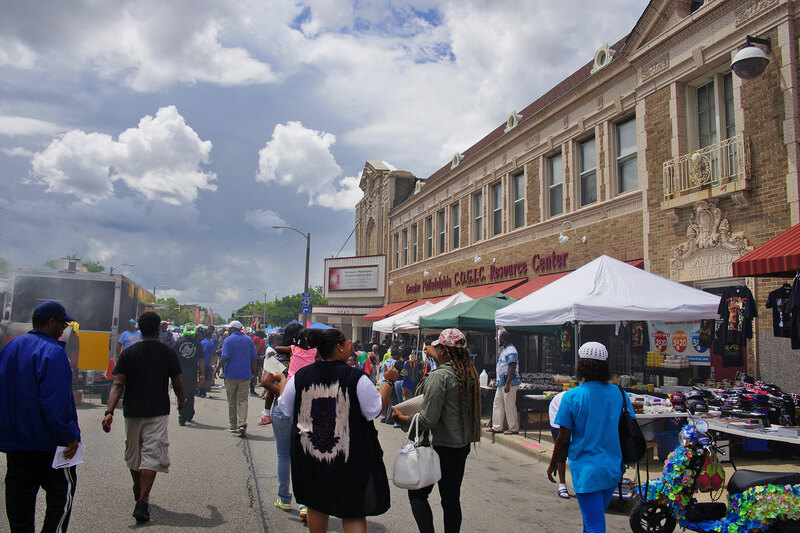 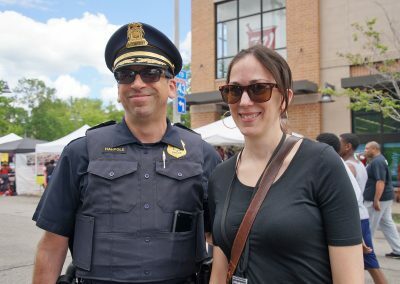 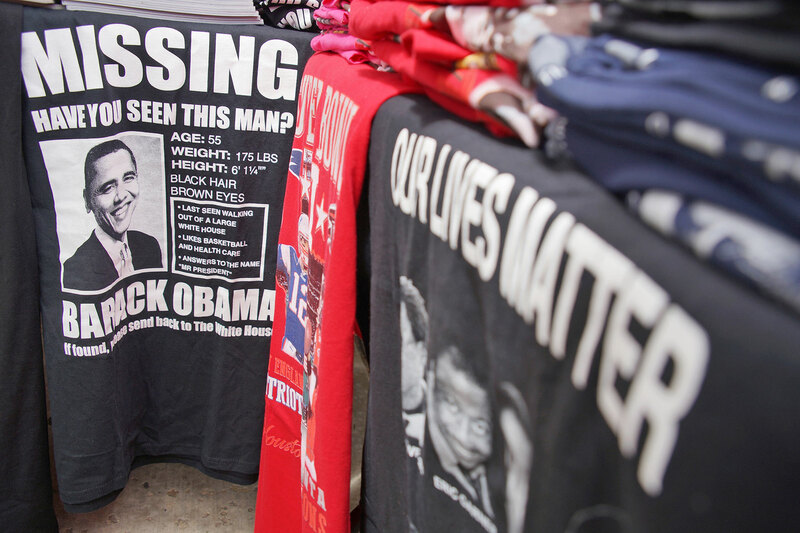 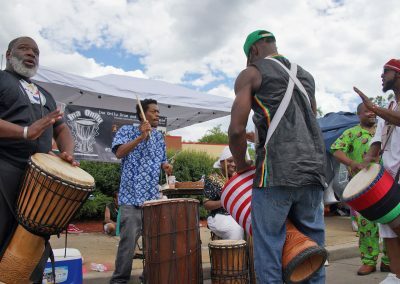 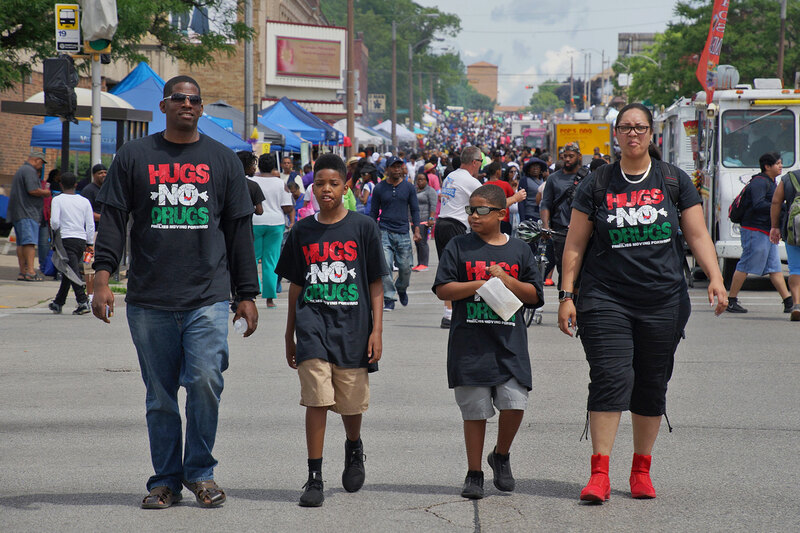 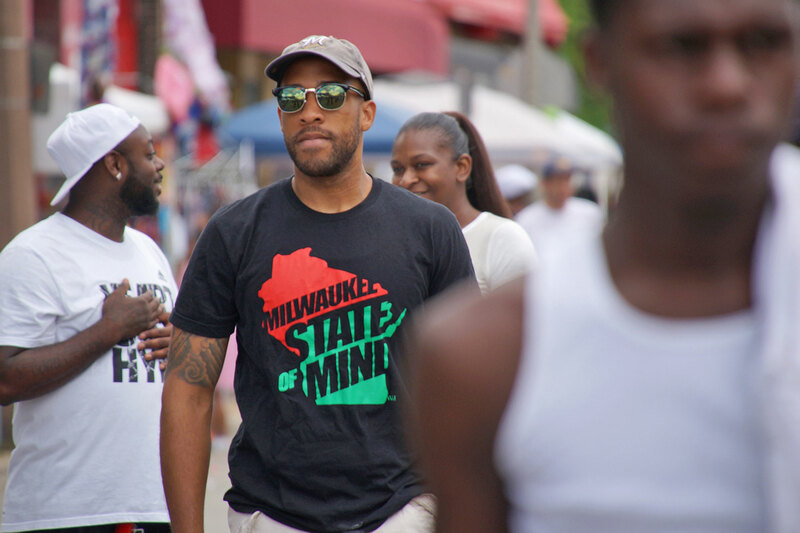 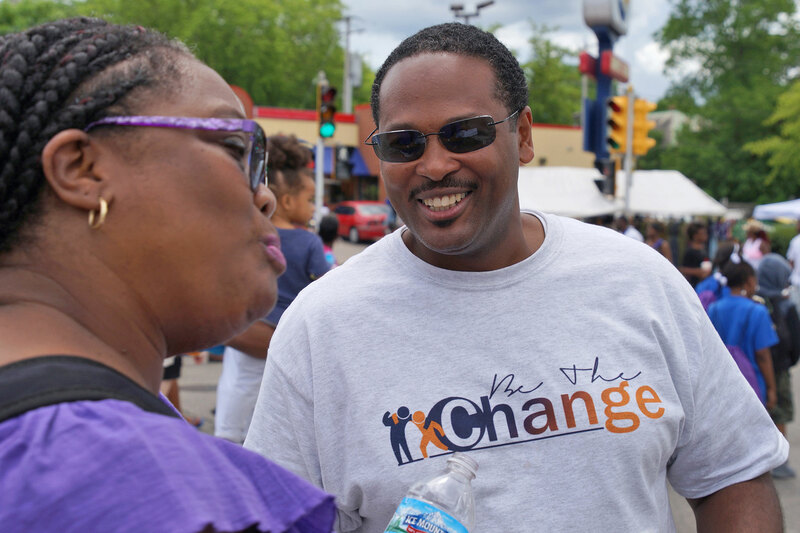 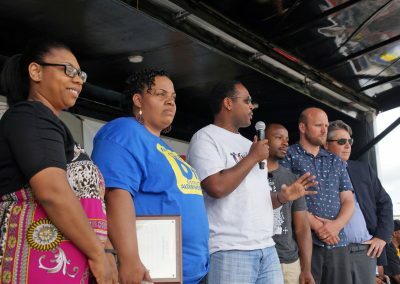 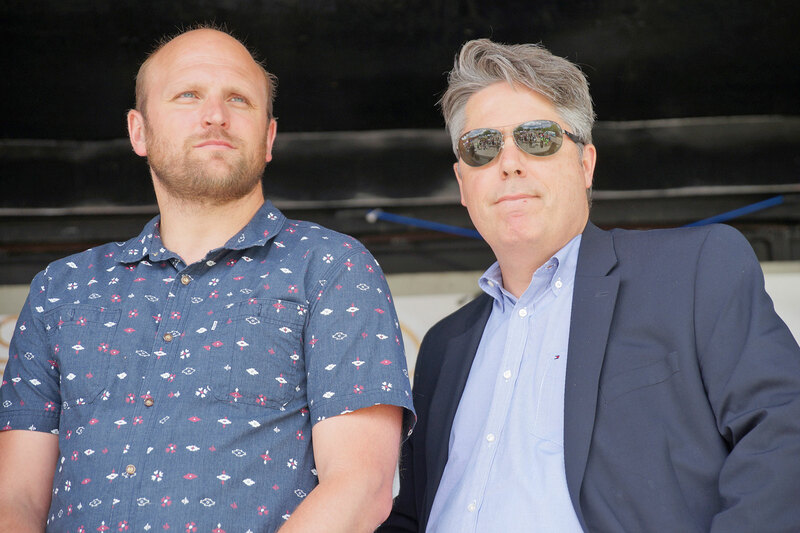 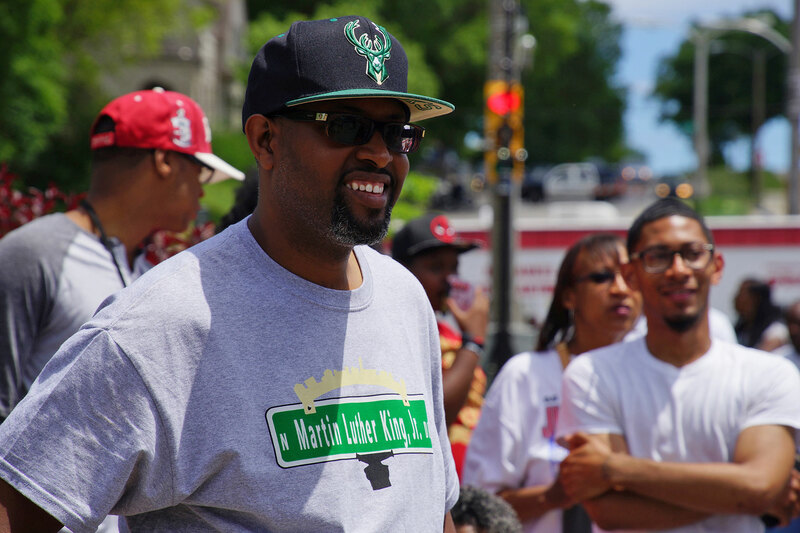 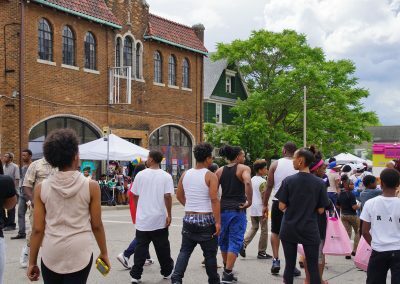 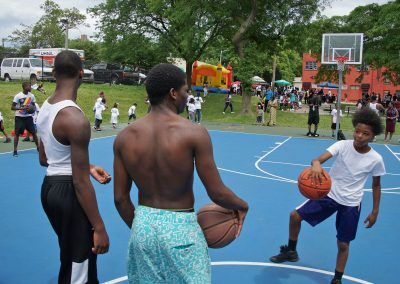 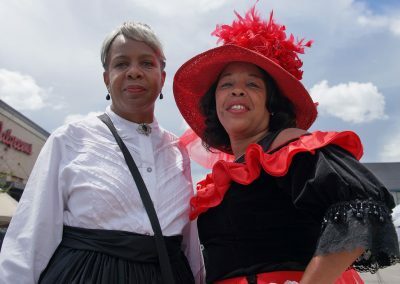 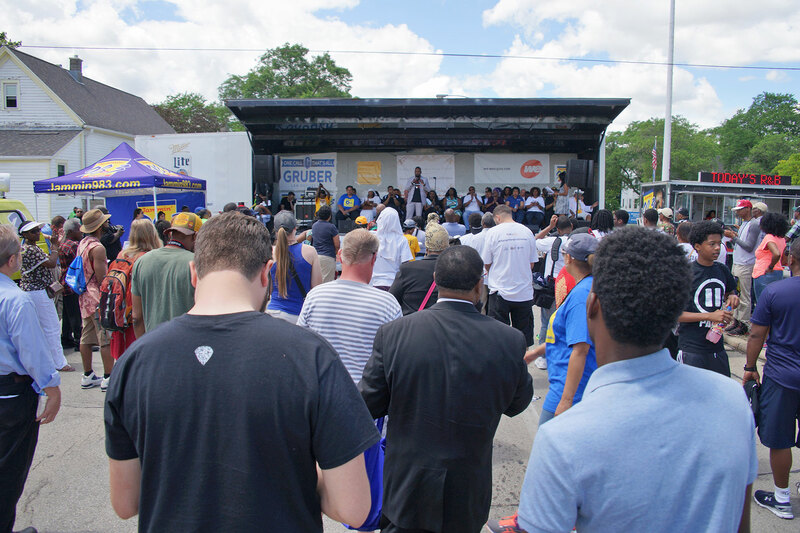 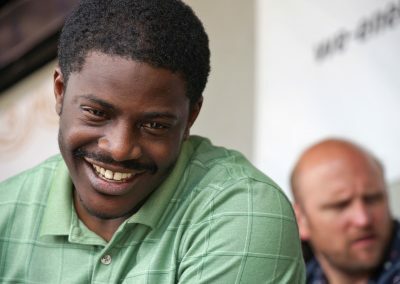 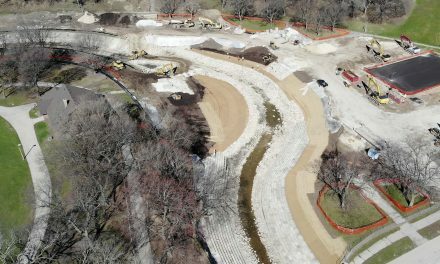 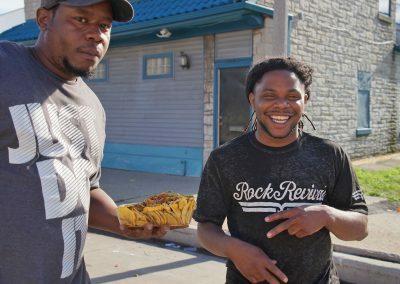 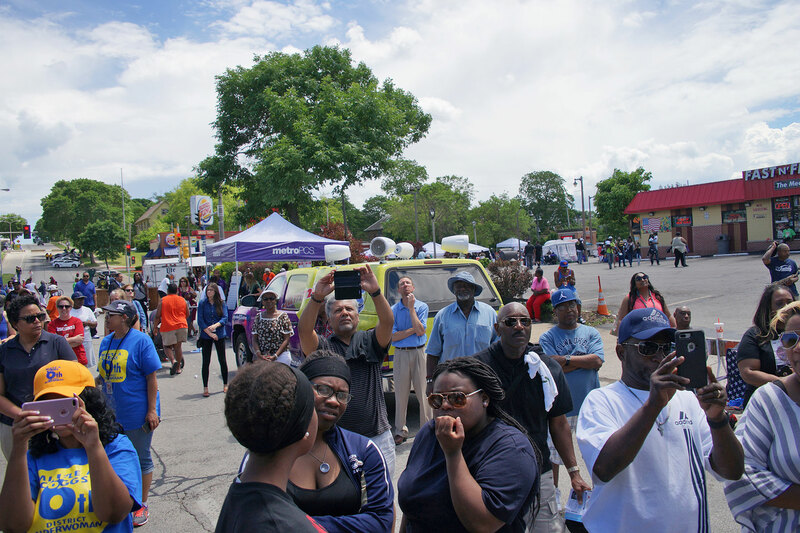 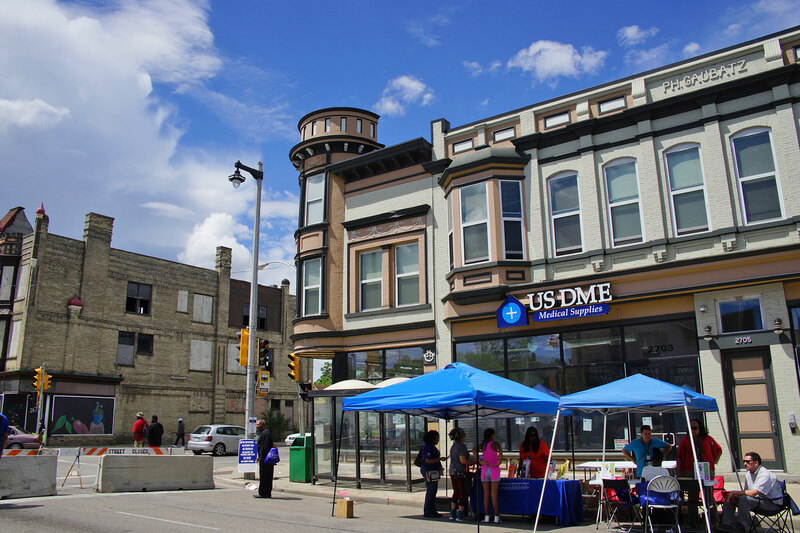 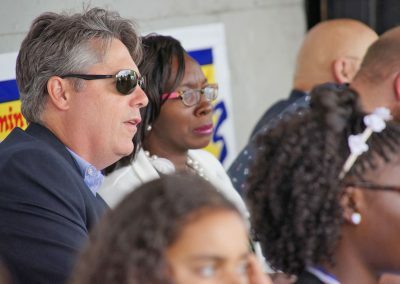 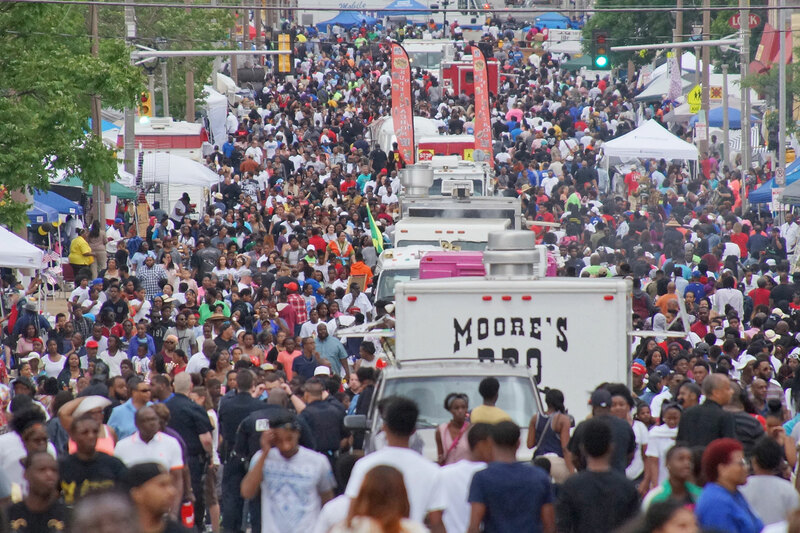 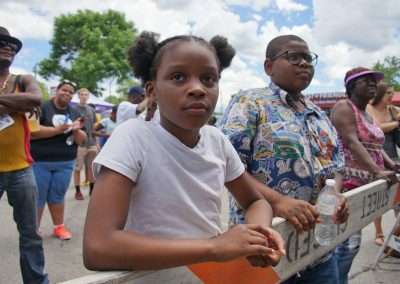 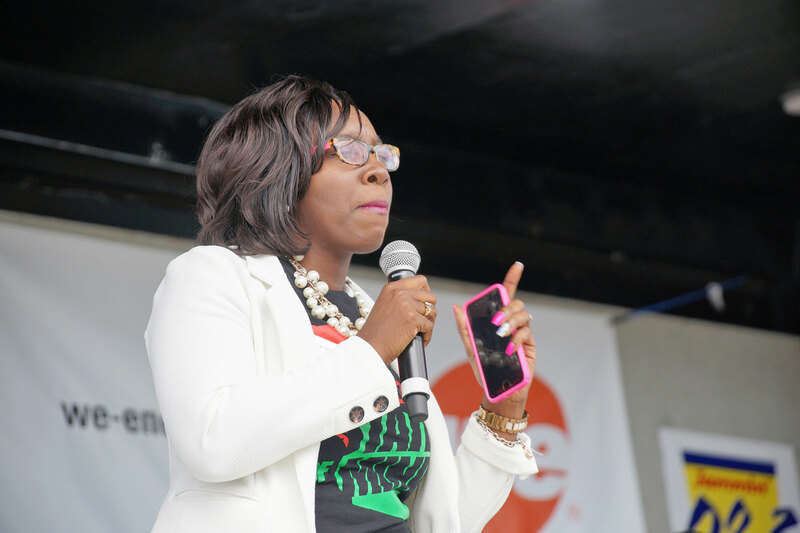 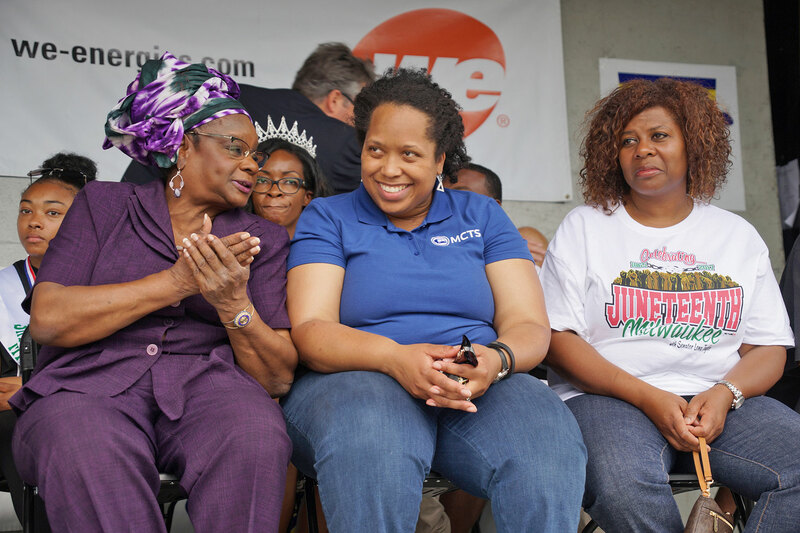 The 46th Annual Juneteenth Day Festival was held June 19 along Milwaukee’s MLK Drive, between Center and Burleigh Streets, attracting a crowd of thousands to celebrate the end of slavery that still lacks a national federal holiday. 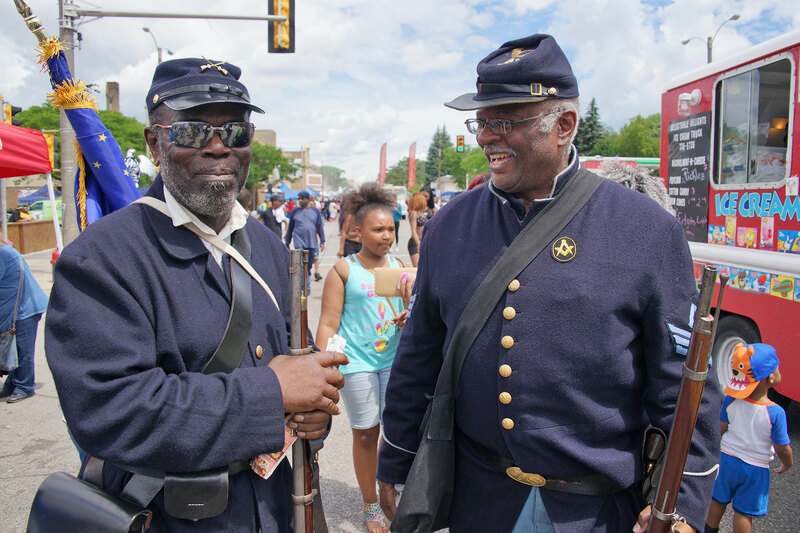 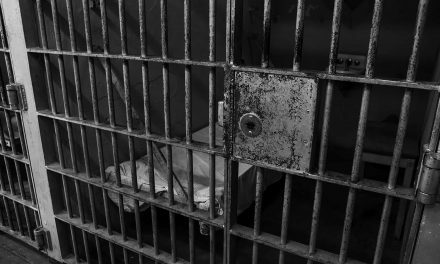 Dating back to 1865, it was on June 19th that Union soldiers, led by Major General Gordon Granger, landed at Galveston, Texas with news that the war had ended and the enslaved were free. 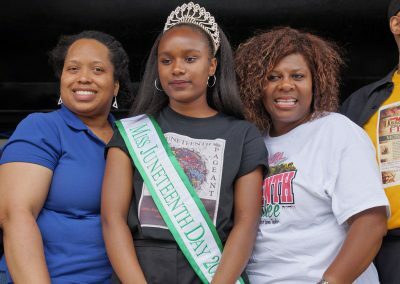 In the early years, little interest existed outside the African American community for participation in the Juneteenth celebrations. 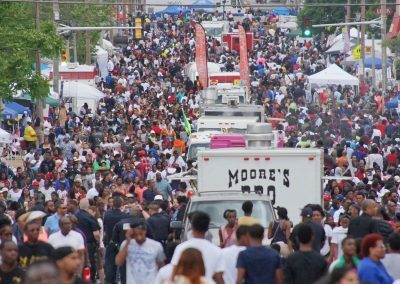 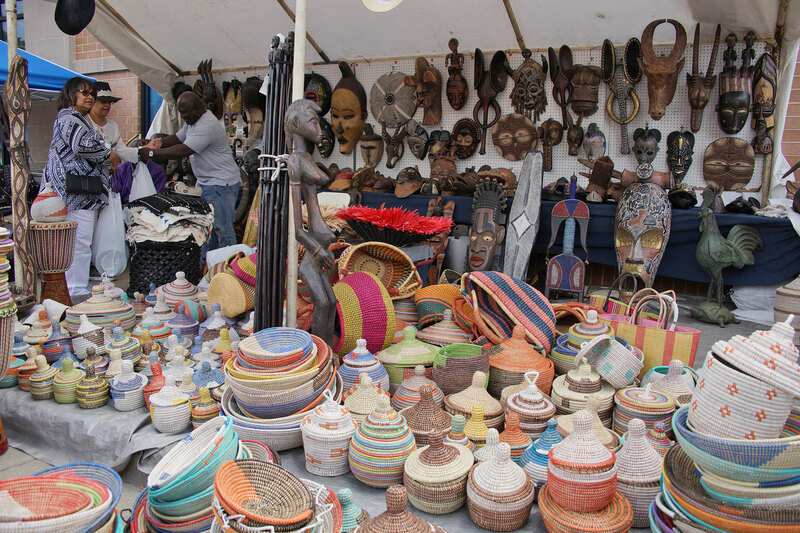 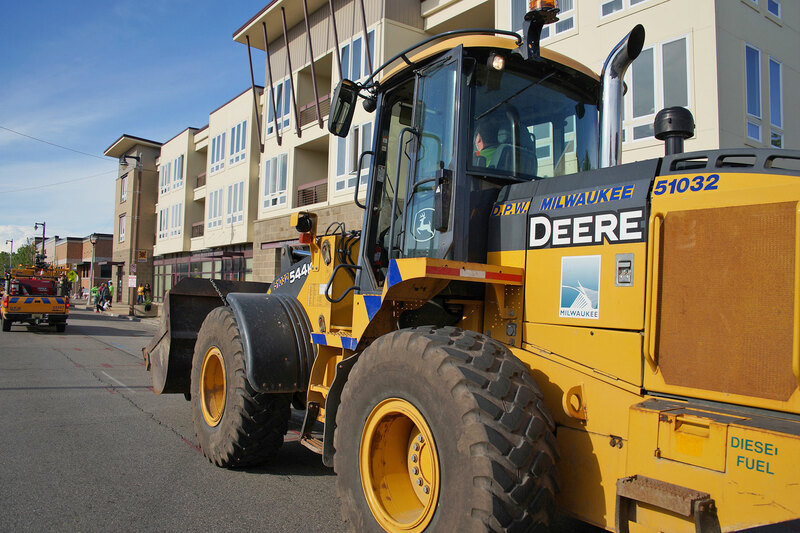 In some cases, there was hostile resistance by forbidding the use of municipal property for the festivities. 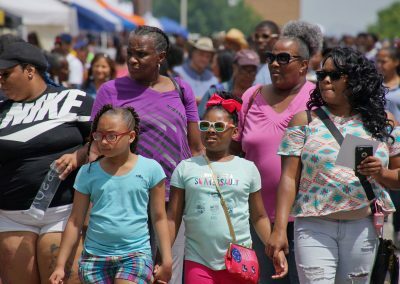 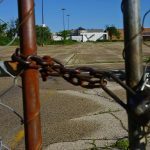 Economic and cultural forces caused a decline in Juneteenth activities, starting in the early 1900s. 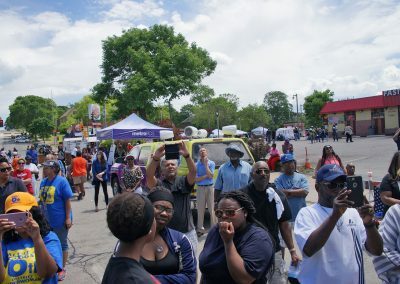 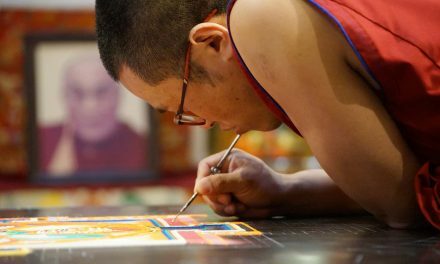 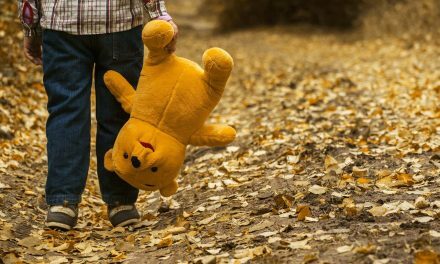 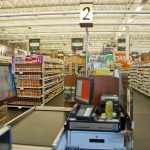 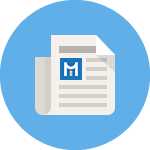 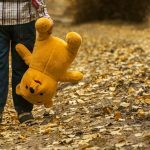 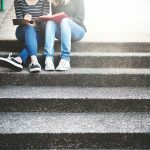 Companies did not to grant time off to employees to celebrate this date, so unless June 19th fell on a weekend, there were very few participants available. 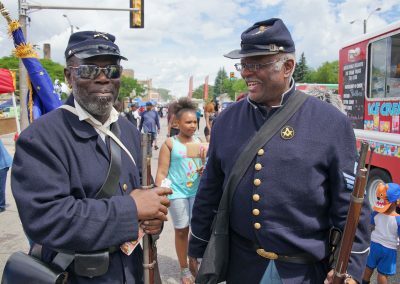 July 4th was the already established Independence holiday, and a rise in patriotism exclusively promoted that celebration. 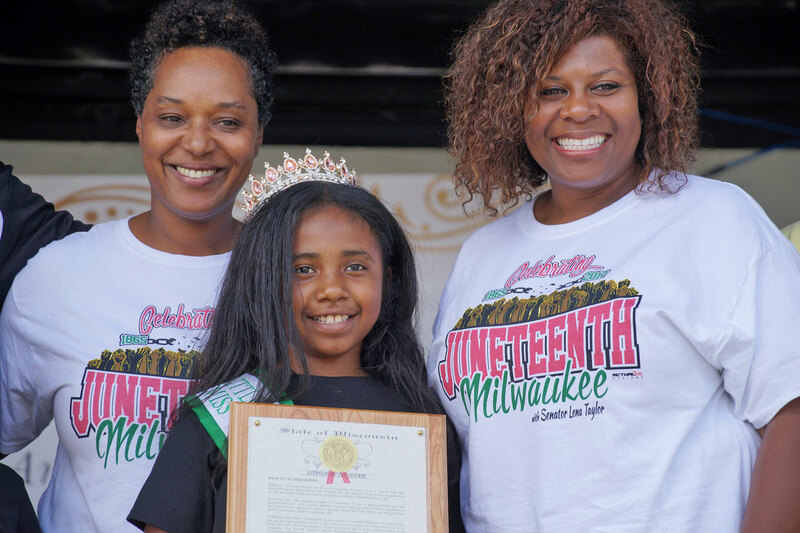 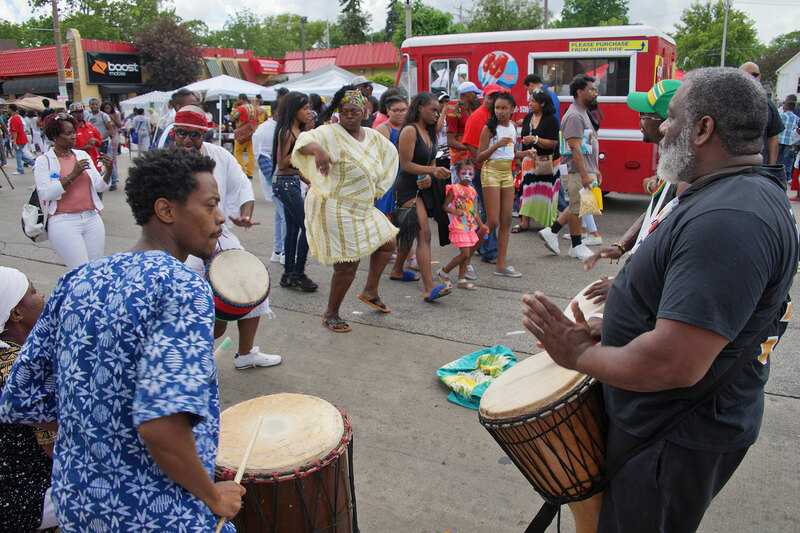 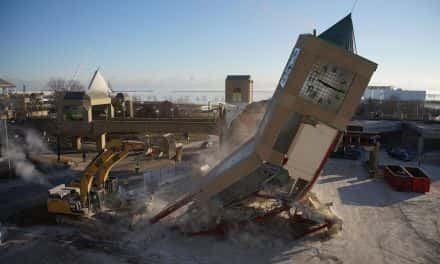 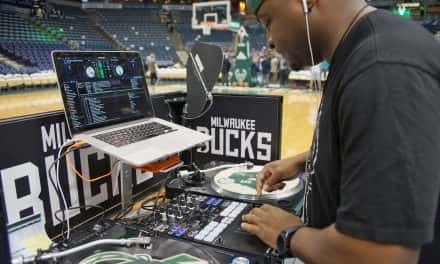 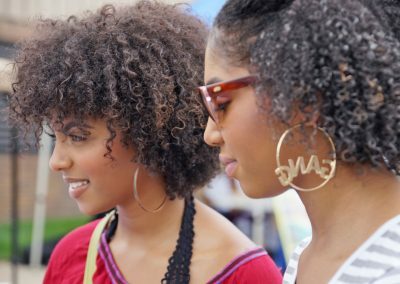 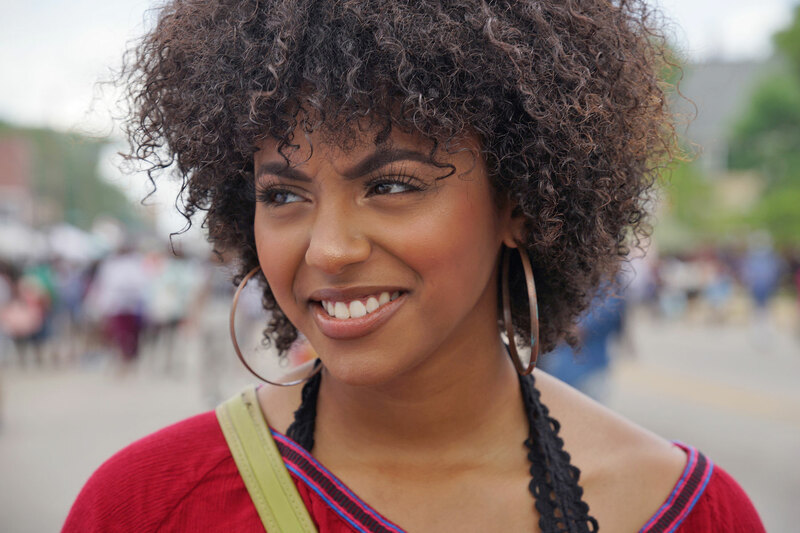 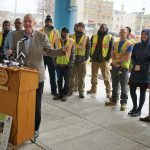 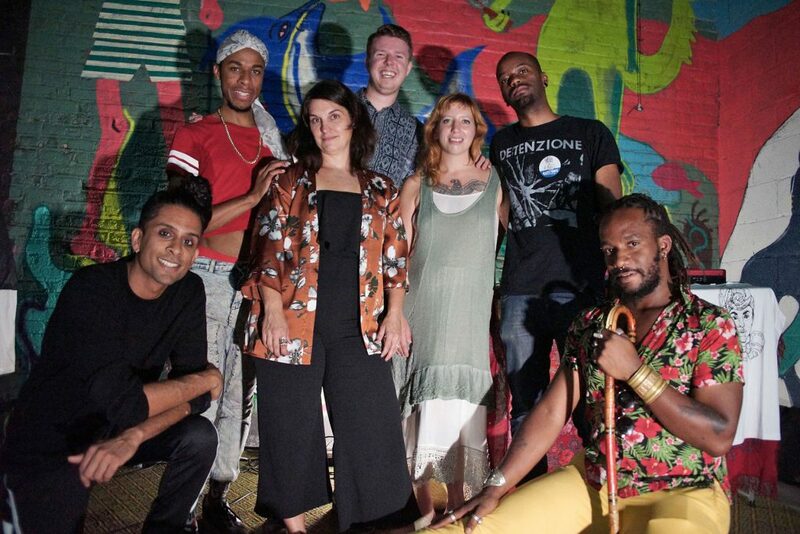 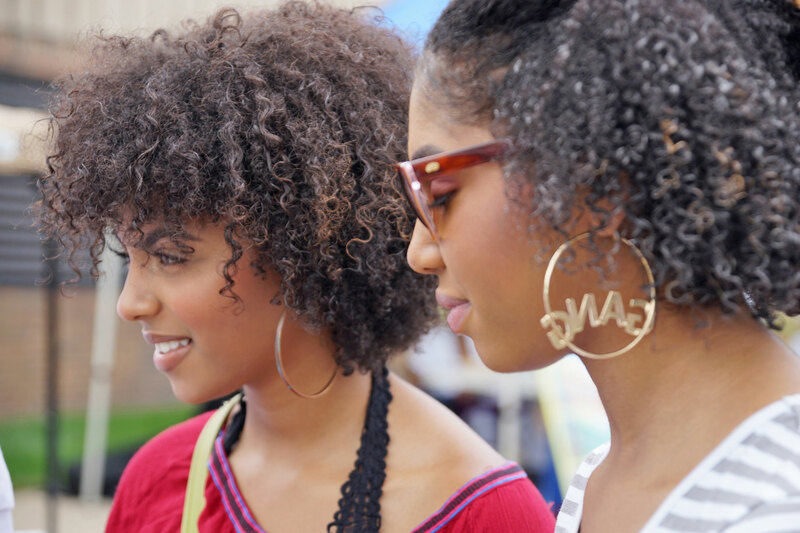 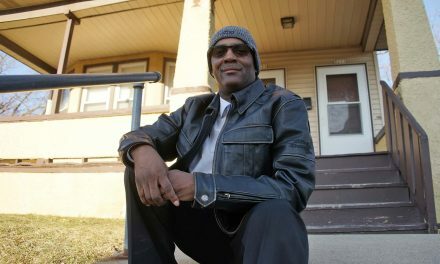 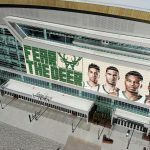 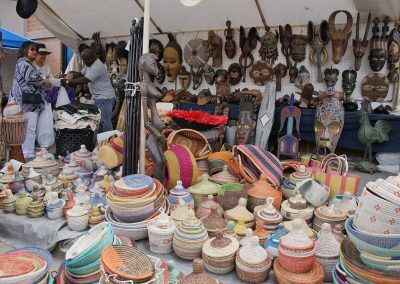 Founded in 1971 after the housing marches of the late 1960s, Milwaukee celebrates one of the biggest Juneteenth Day festivals in America. 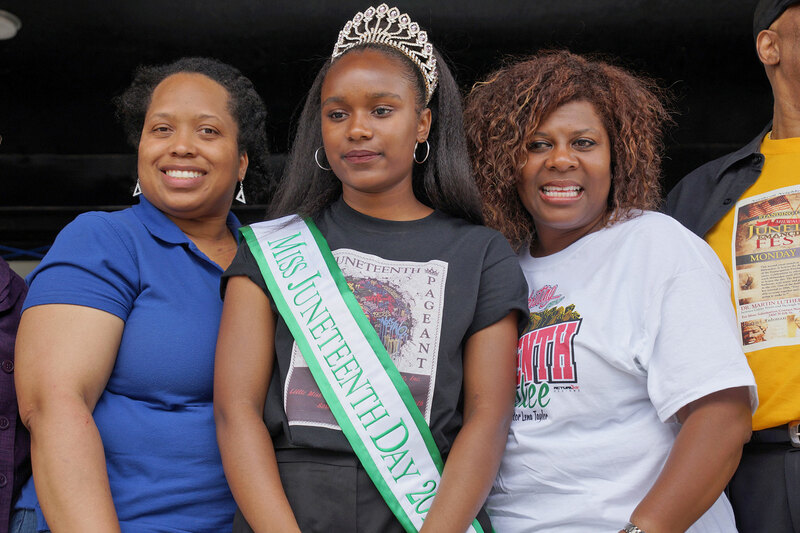 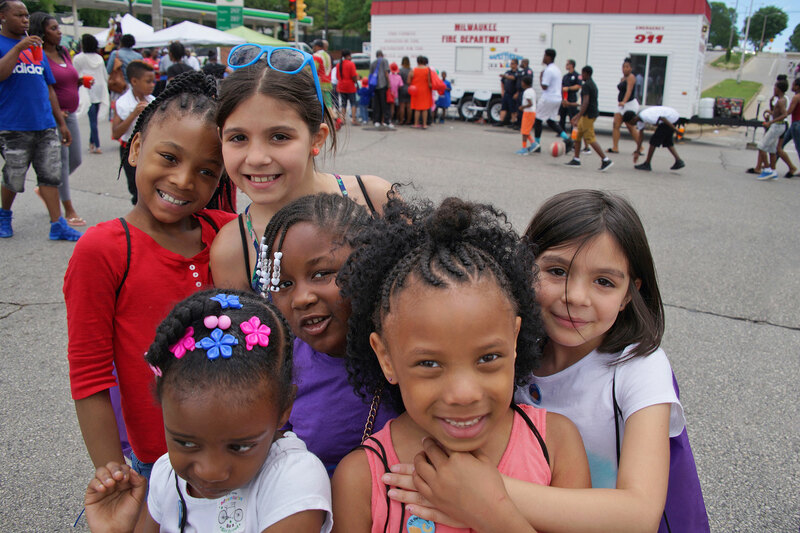 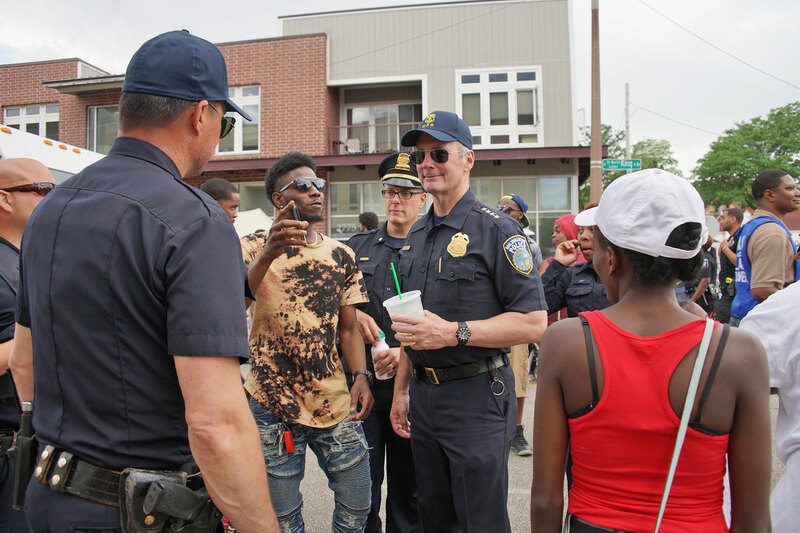 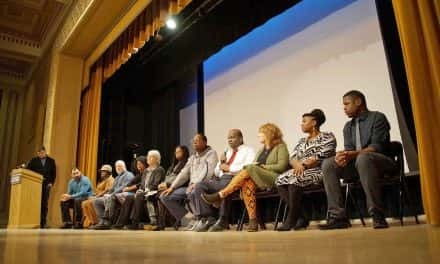 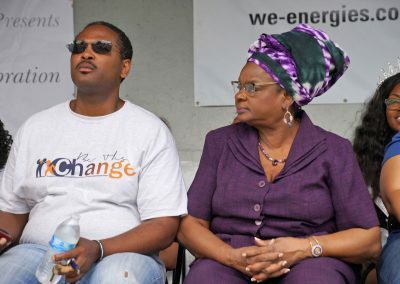 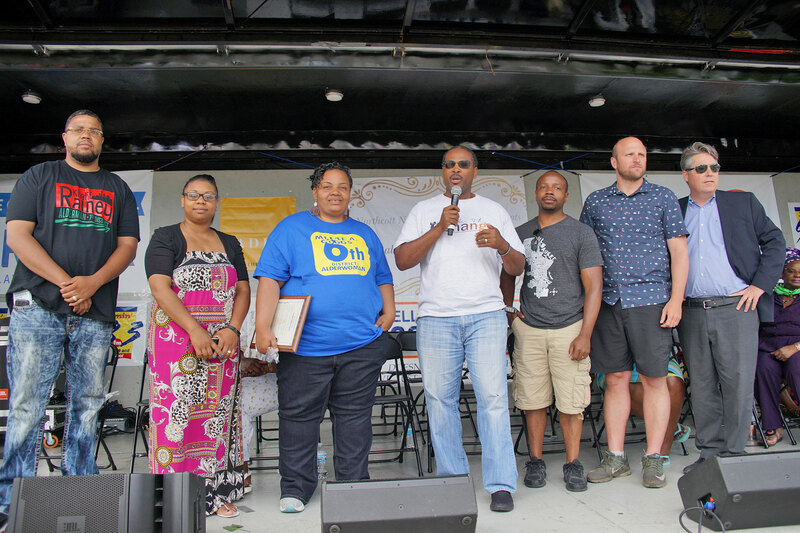 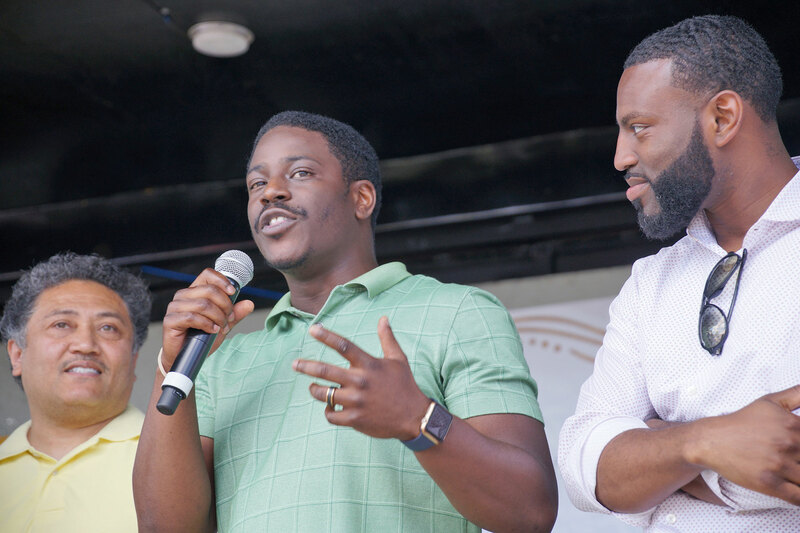 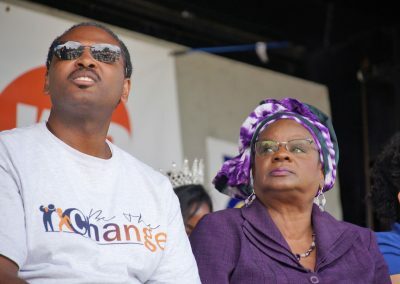 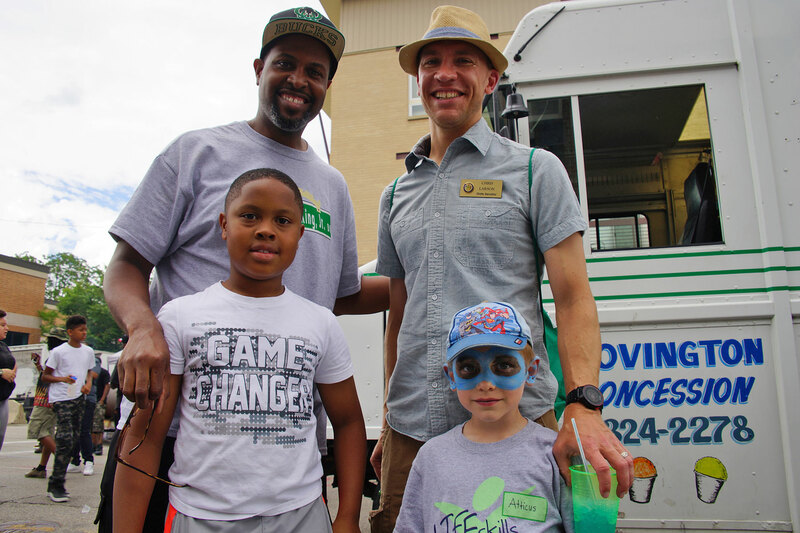 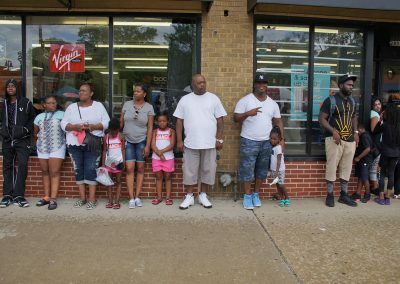 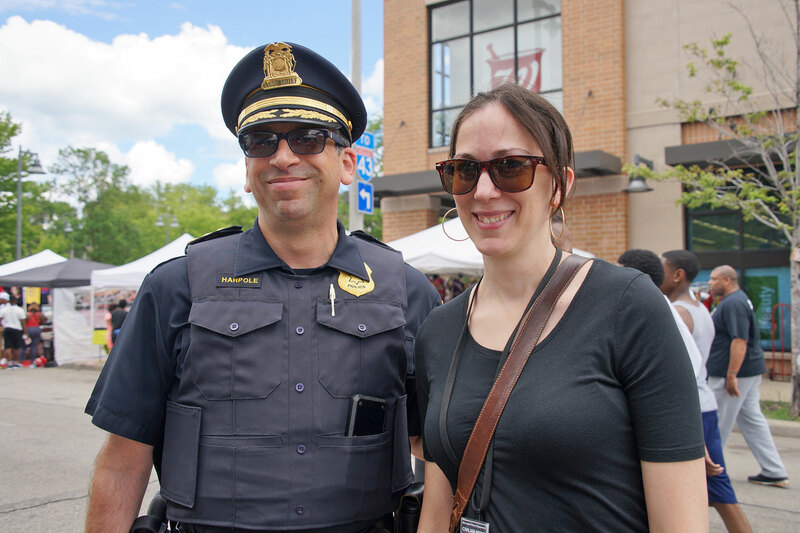 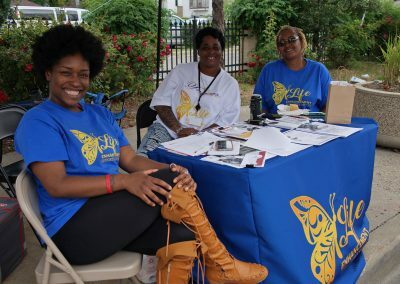 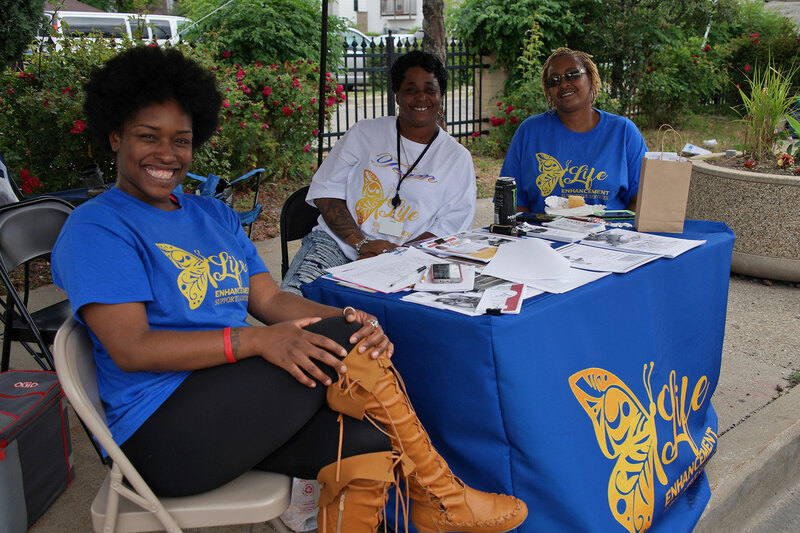 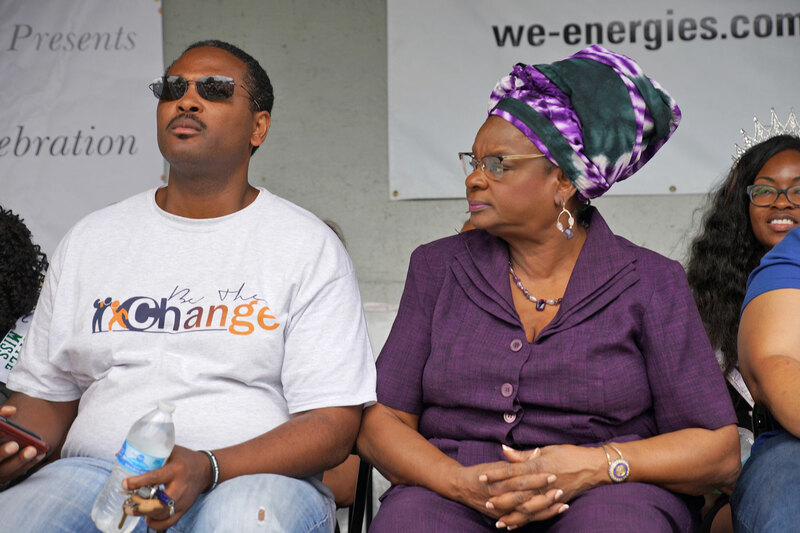 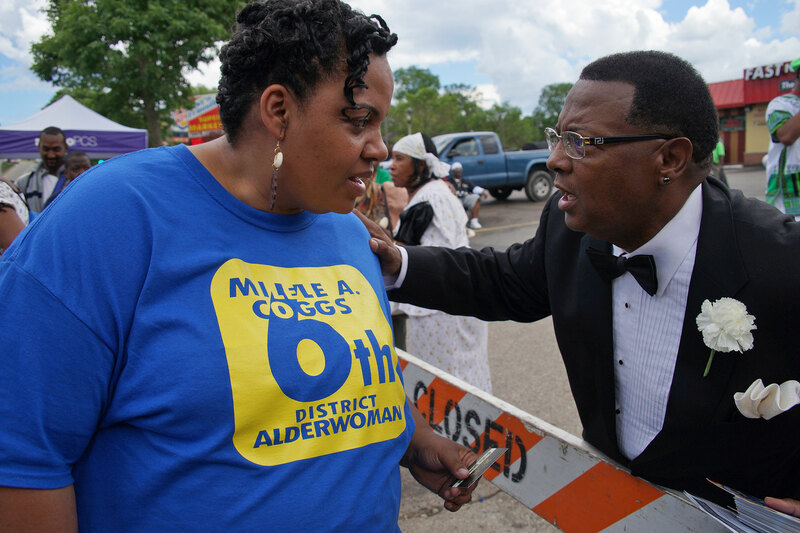 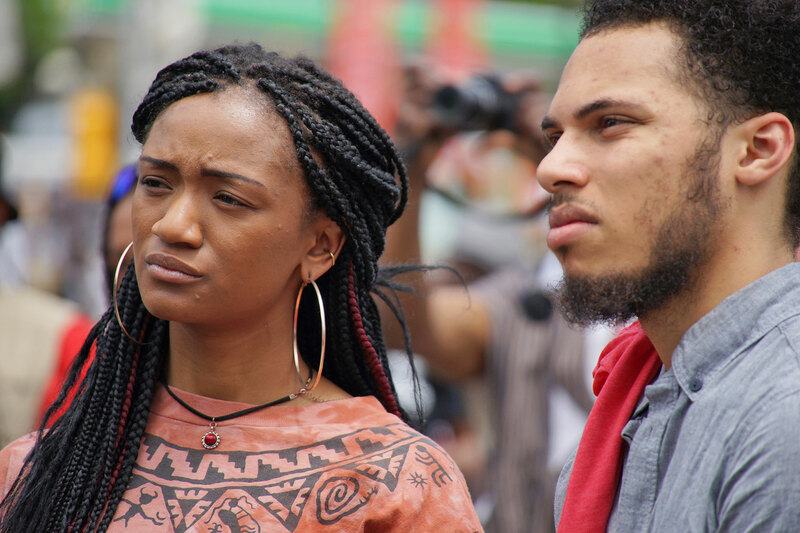 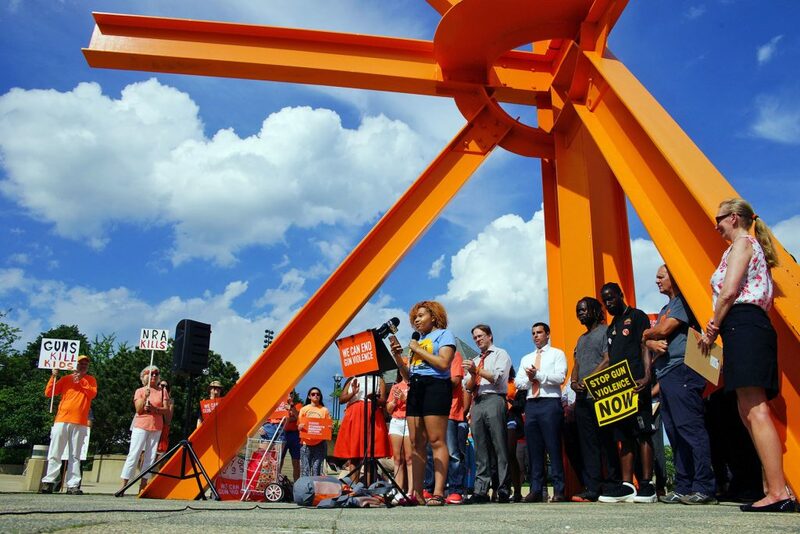 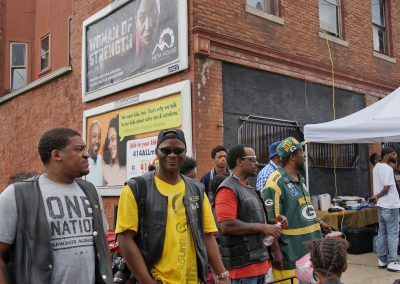 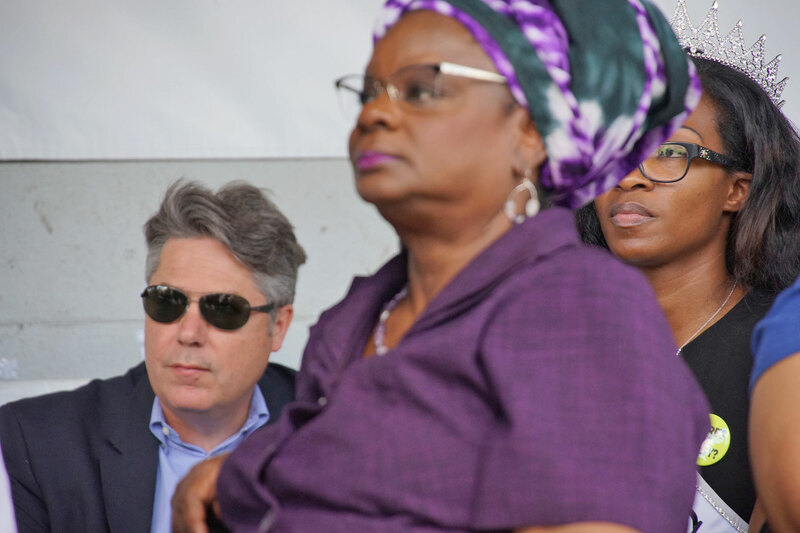 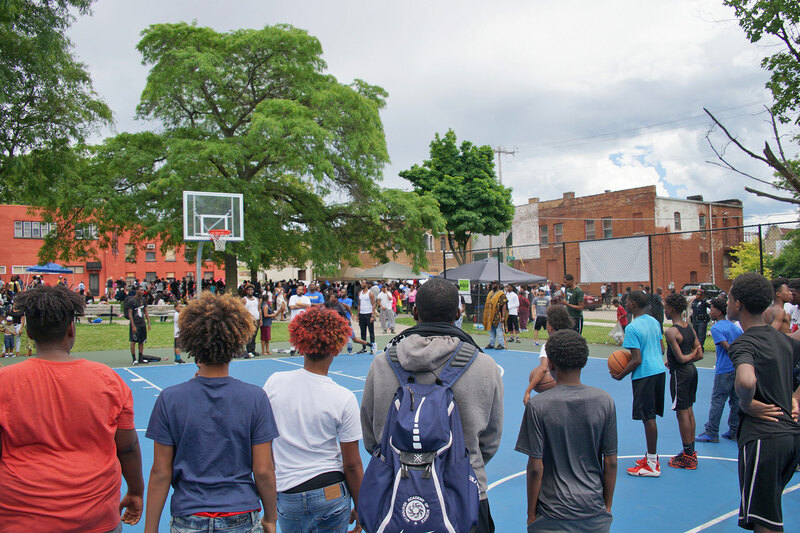 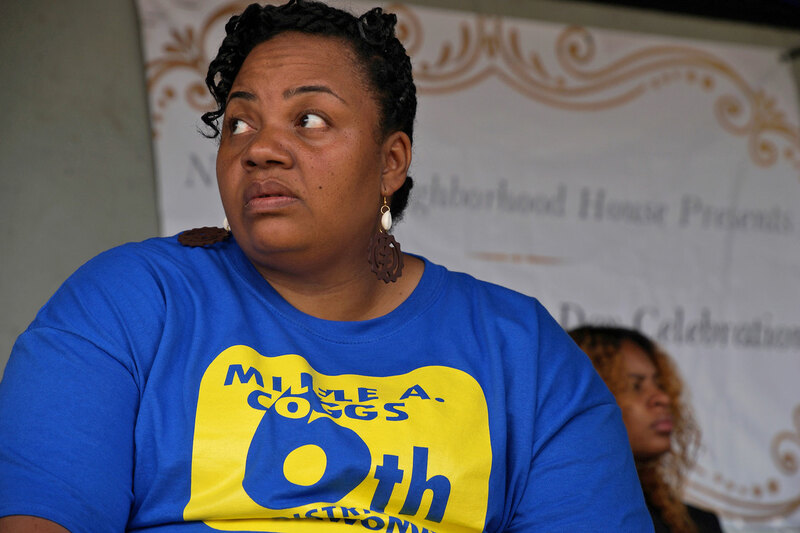 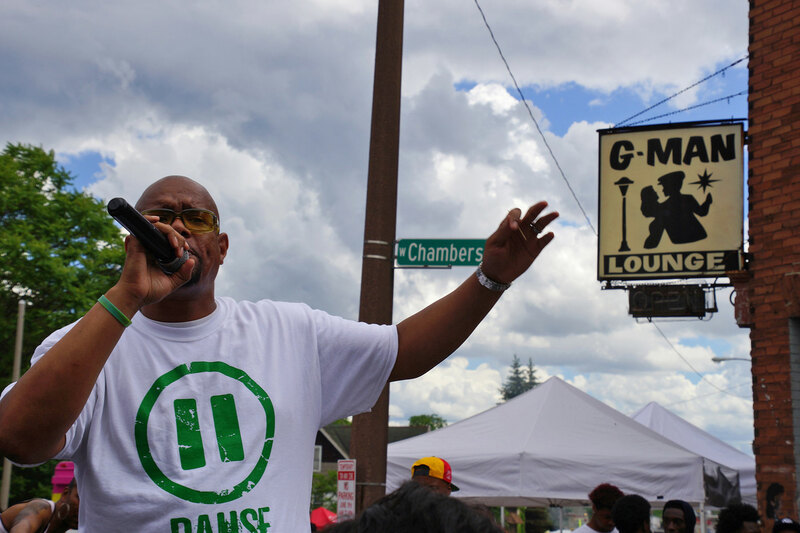 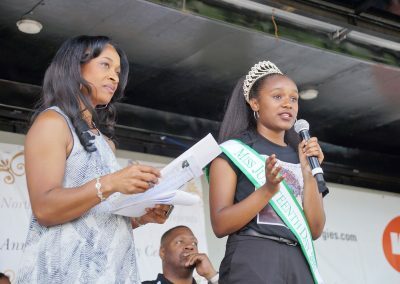 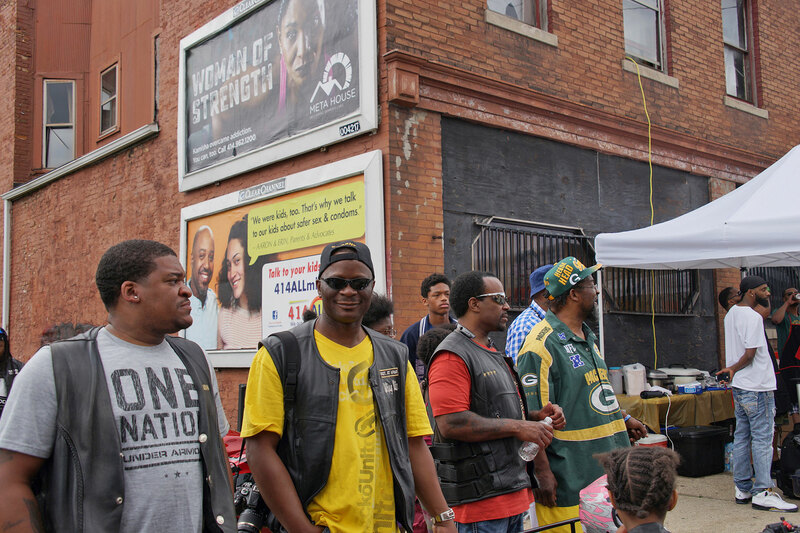 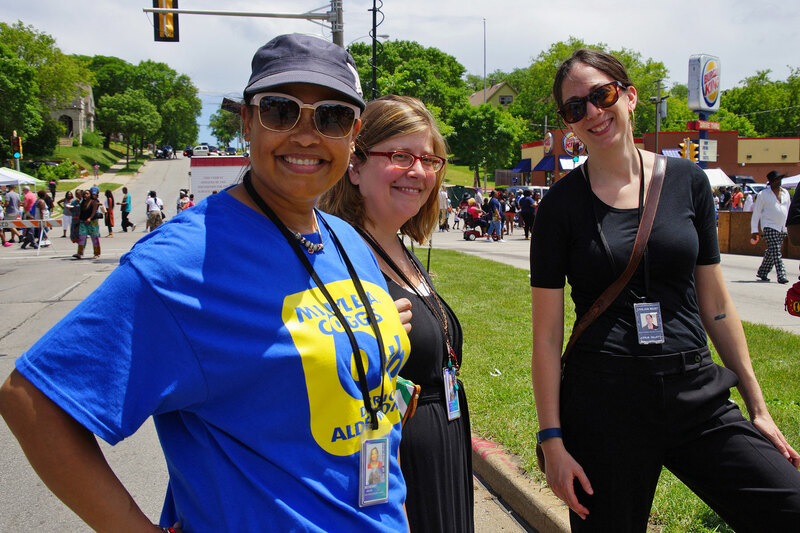 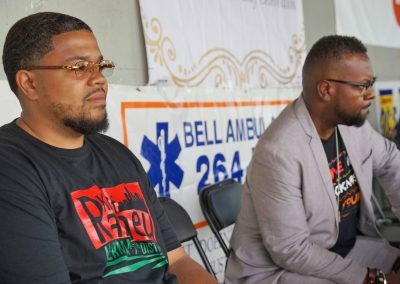 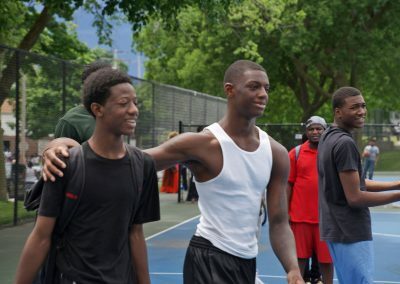 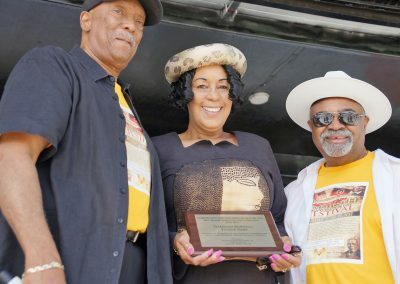 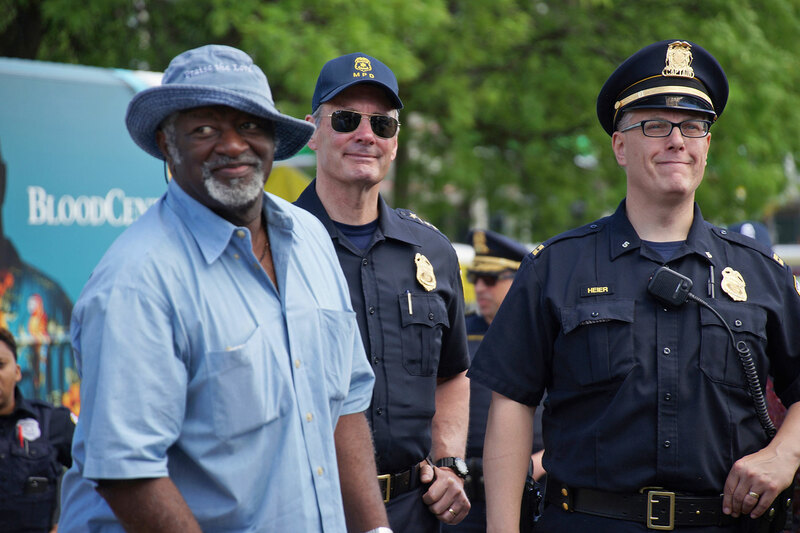 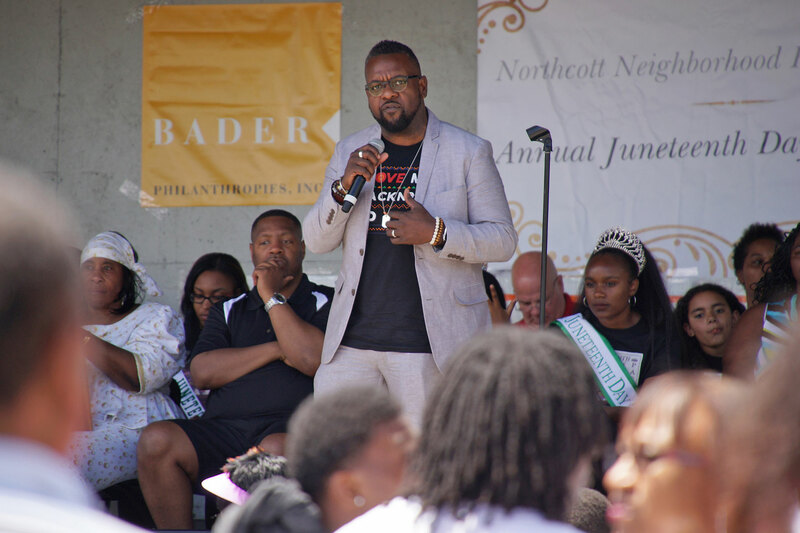 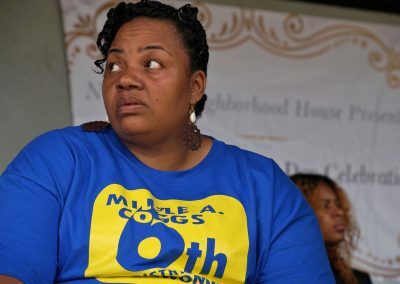 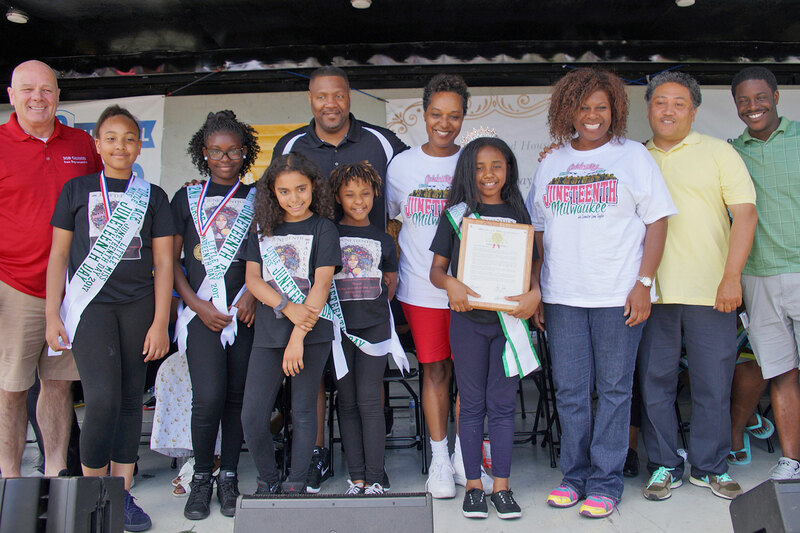 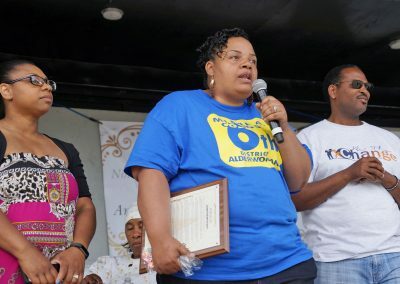 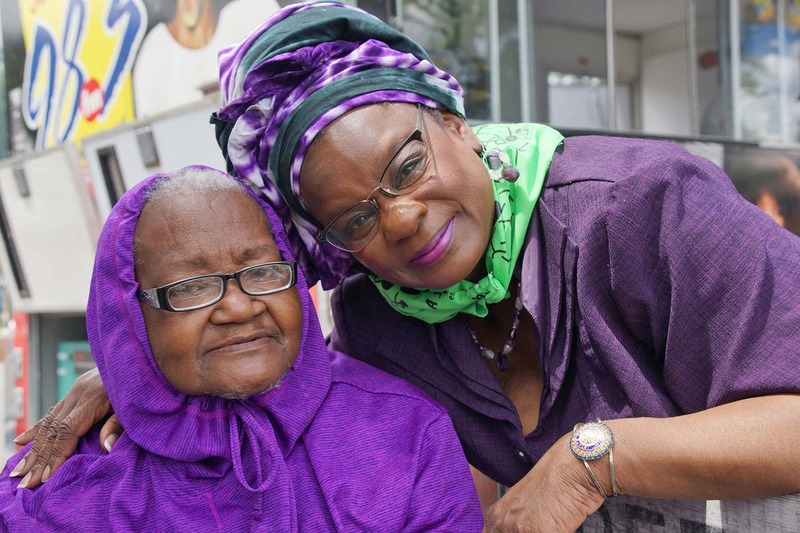 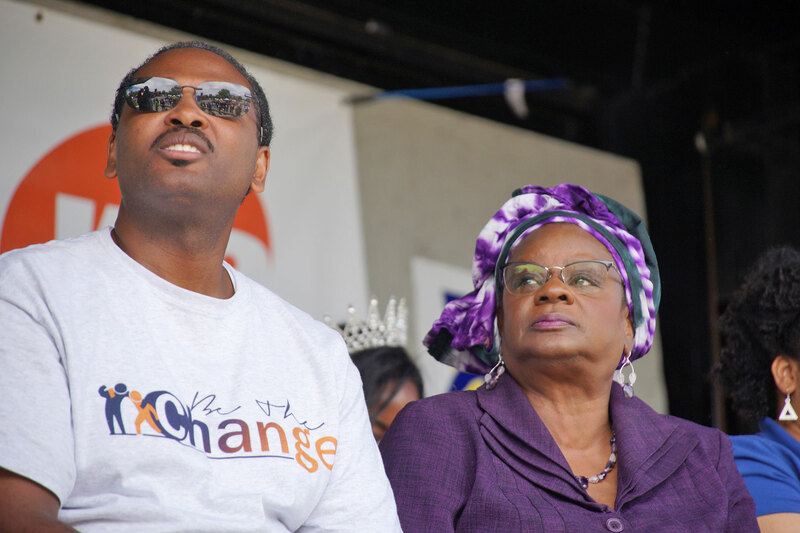 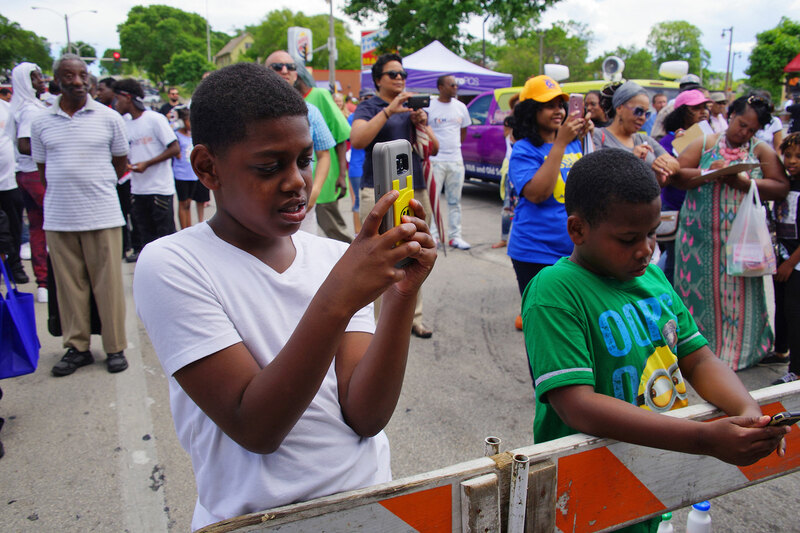 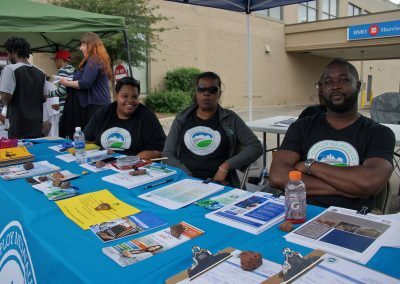 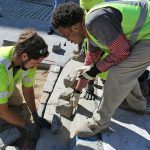 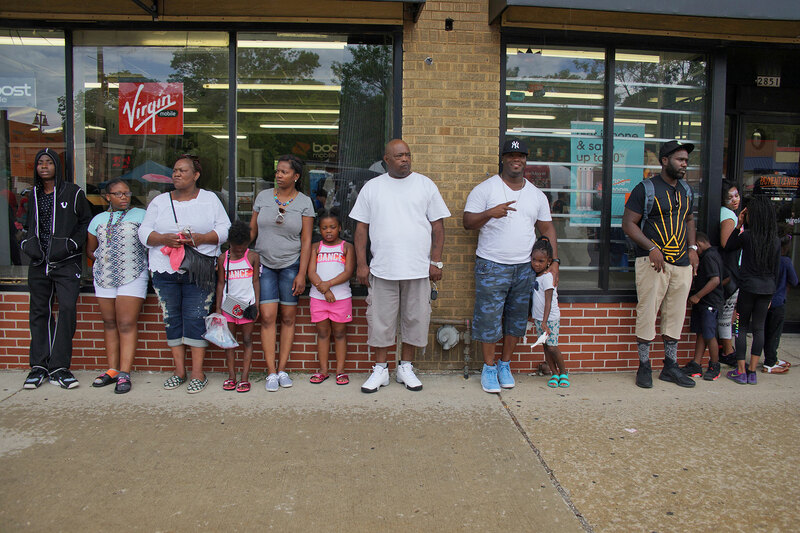 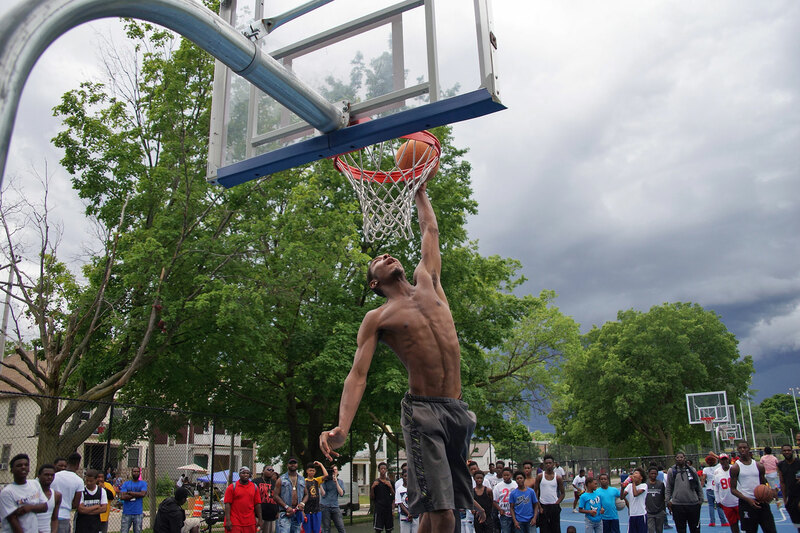 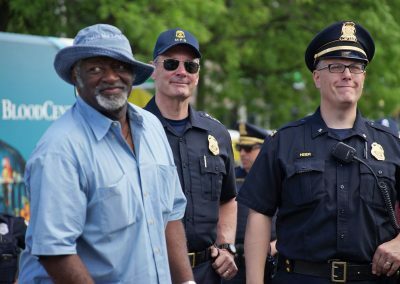 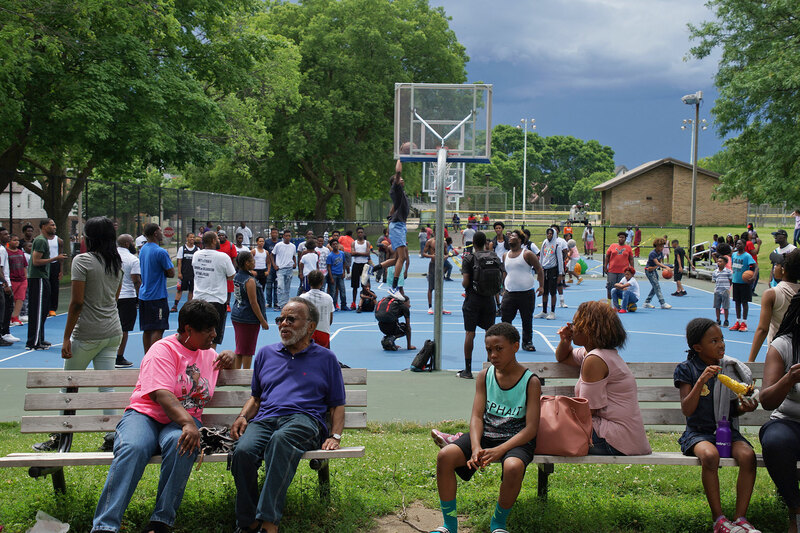 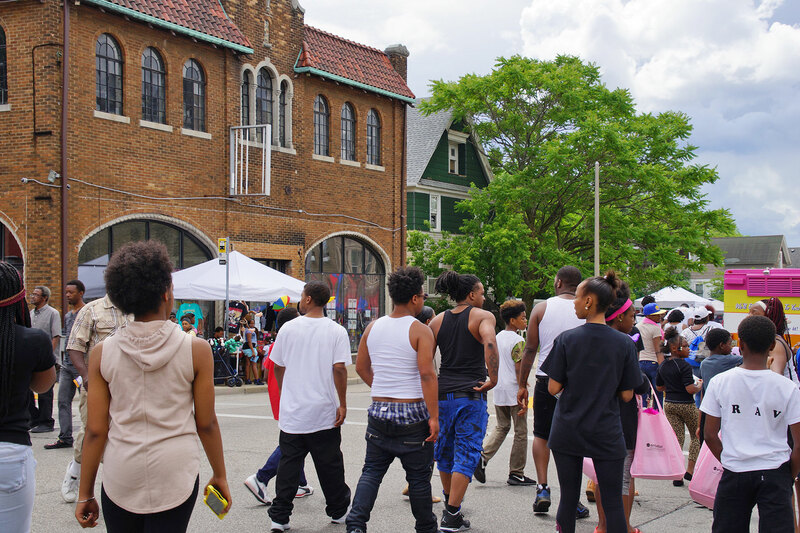 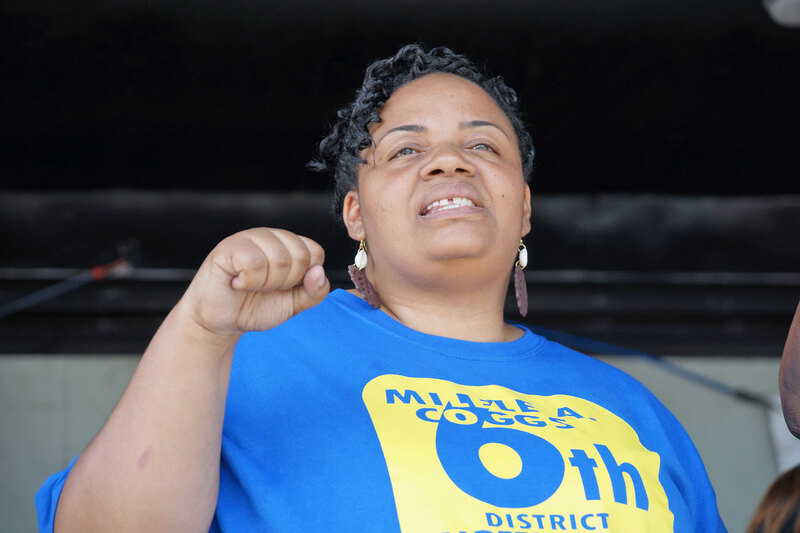 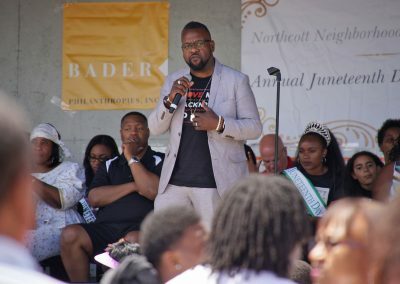 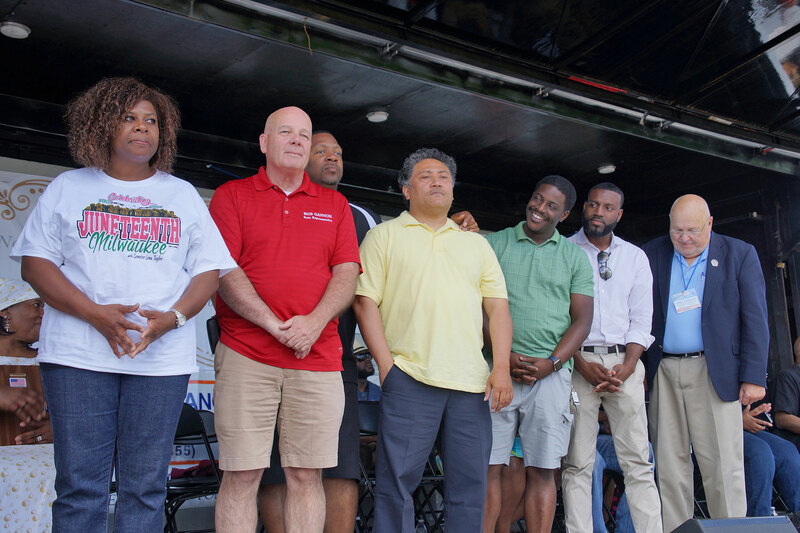 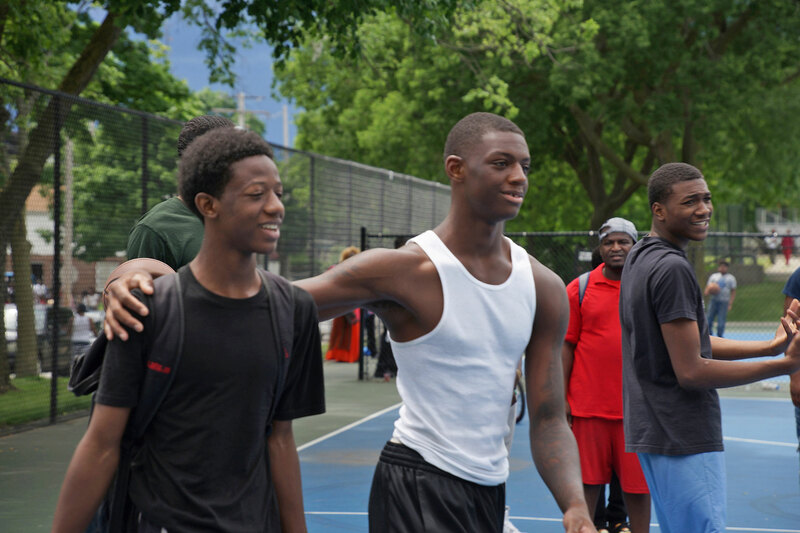 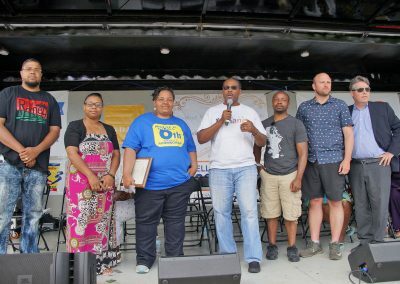 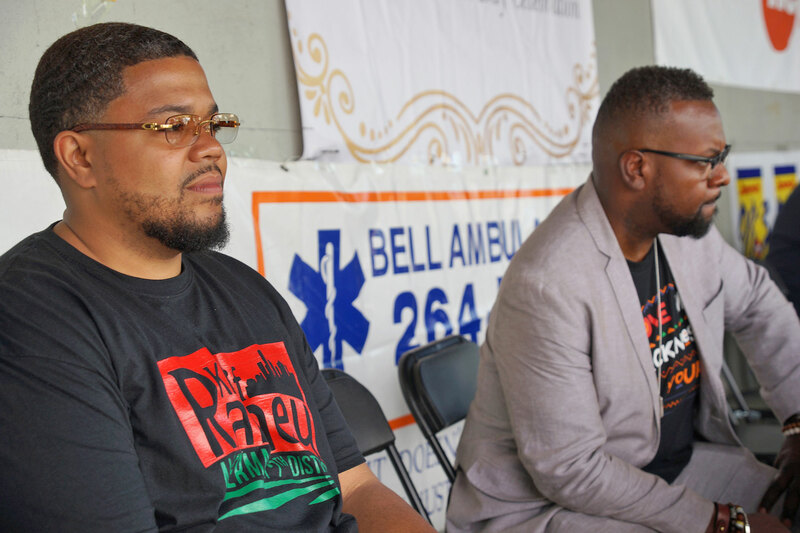 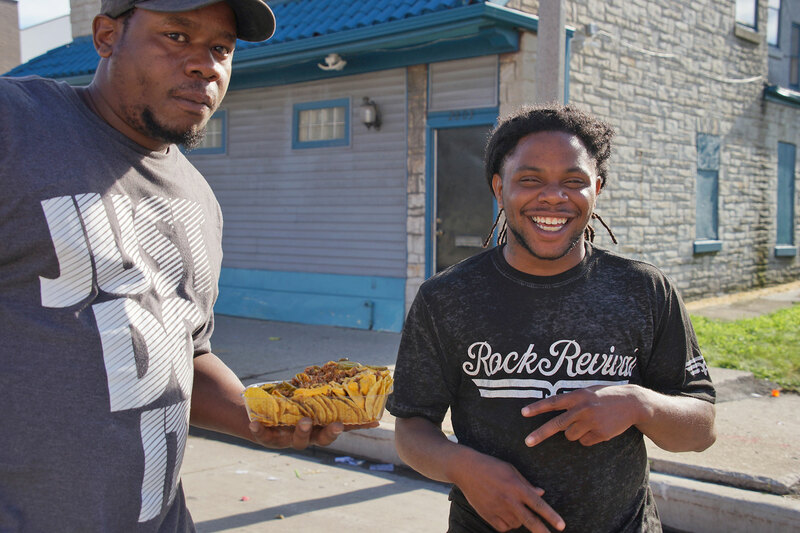 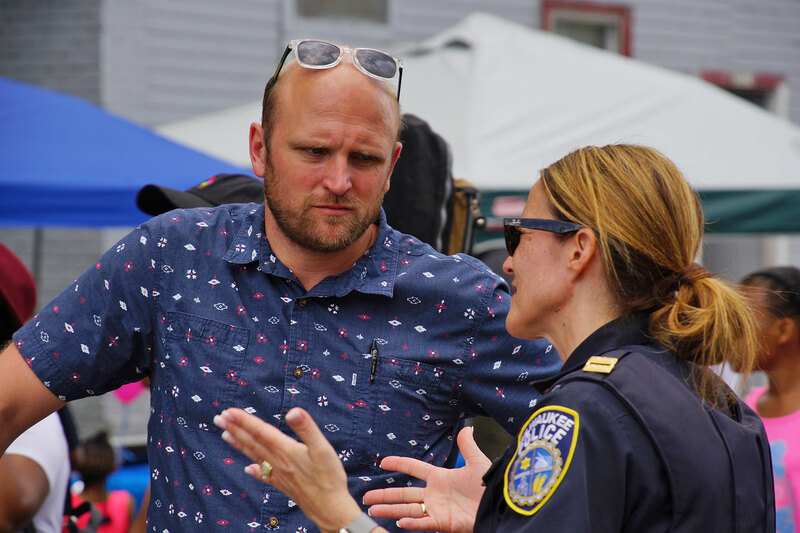 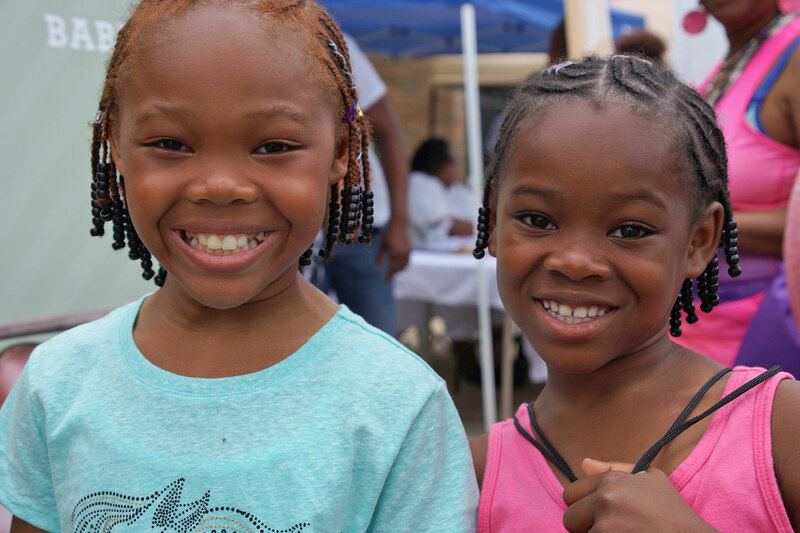 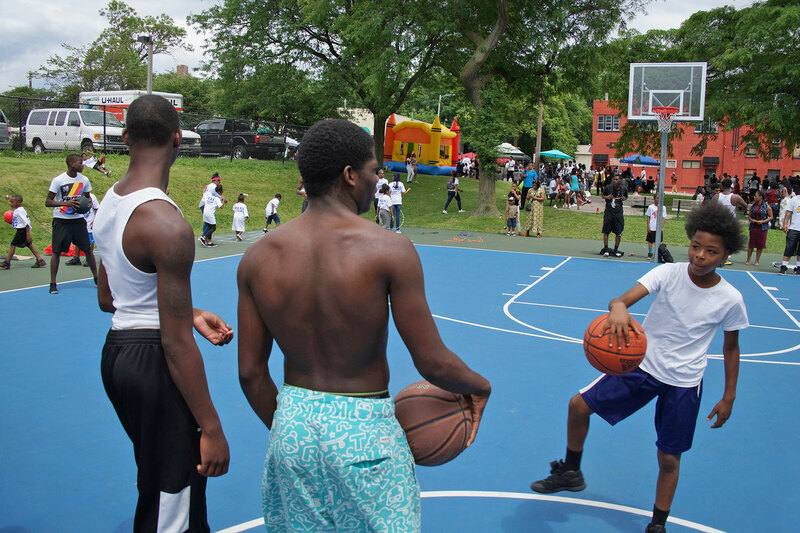 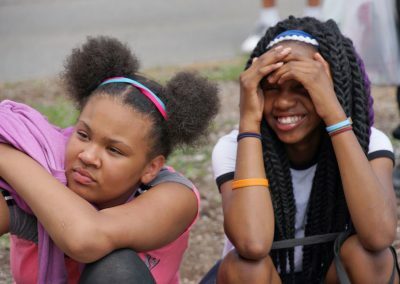 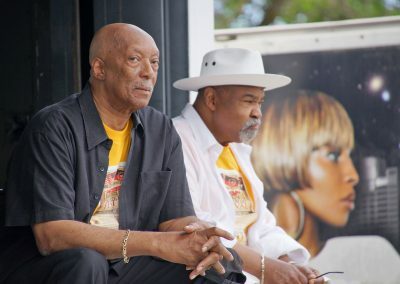 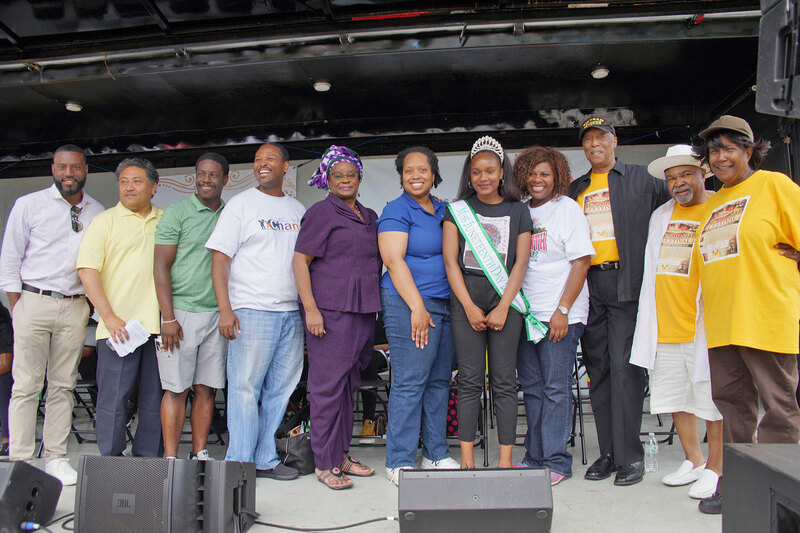 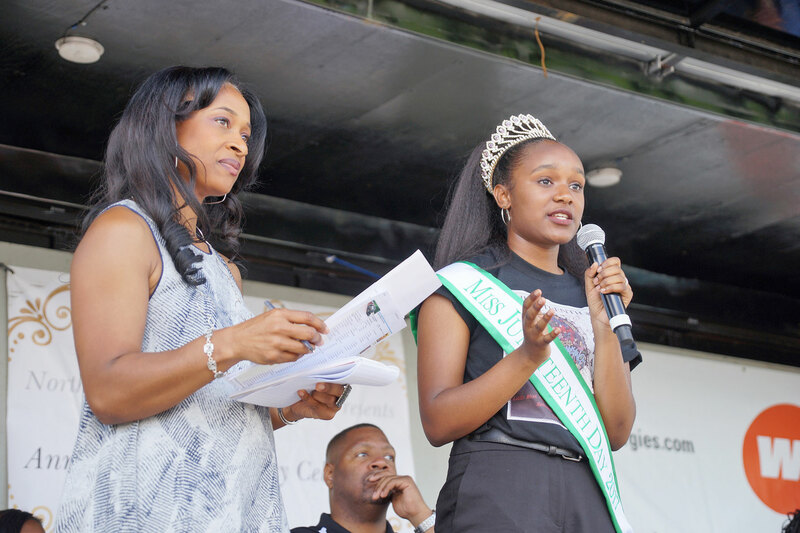 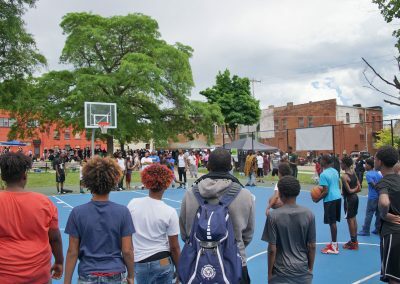 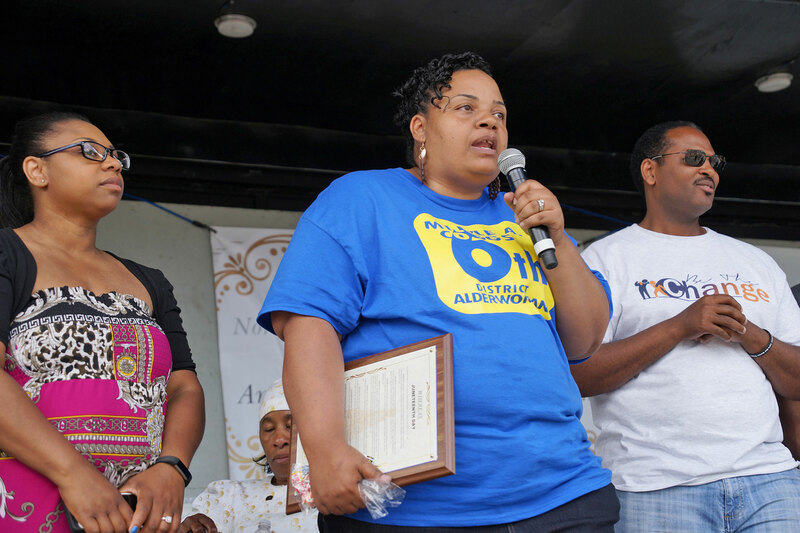 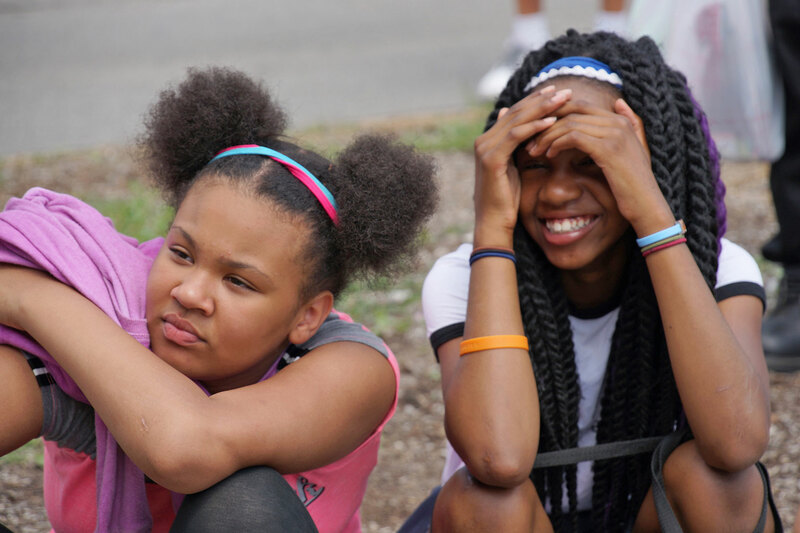 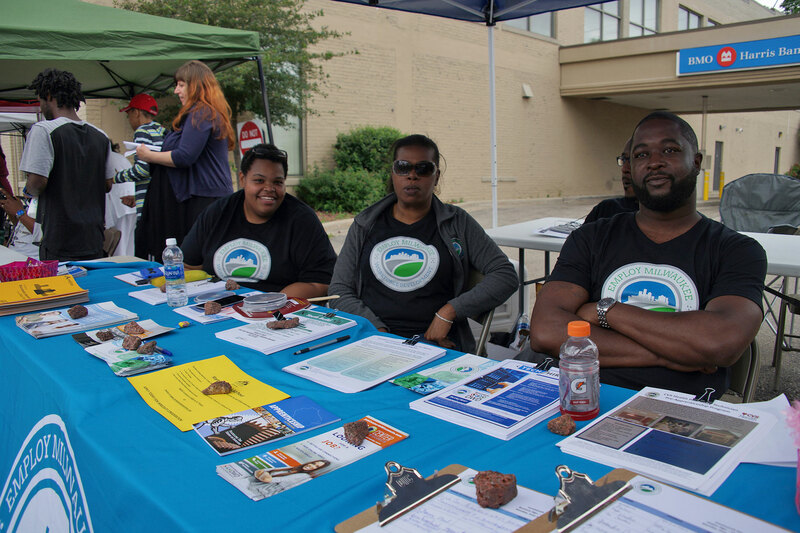 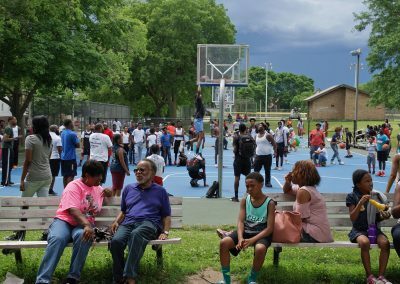 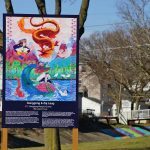 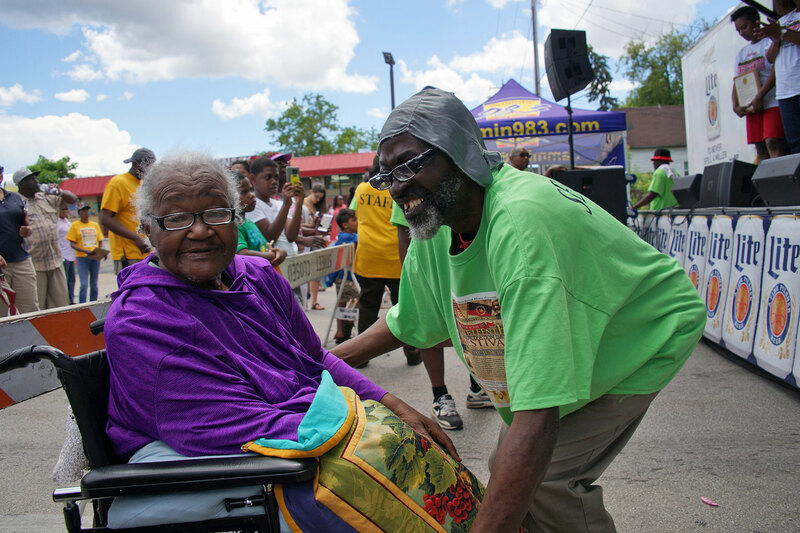 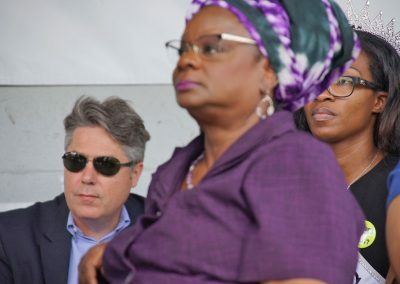 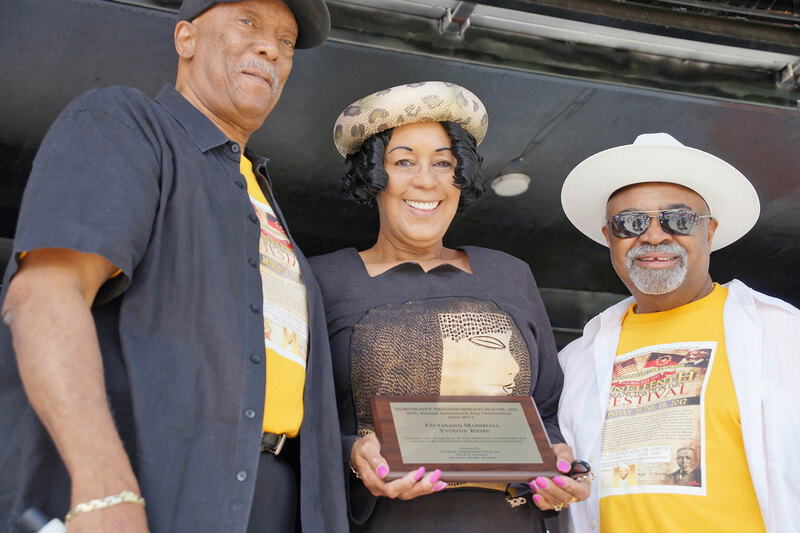 These images capture moments from the Juneteenth Day event, as members of the African American community attended in support of their neighborhood and cultural history.